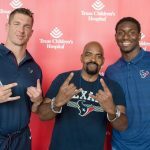 Greetings Houston Texans fans! 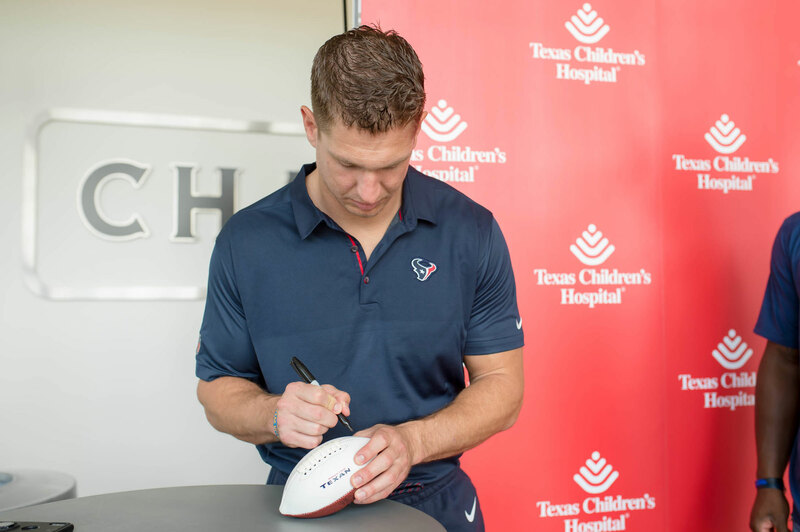 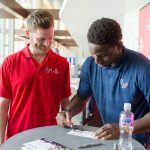 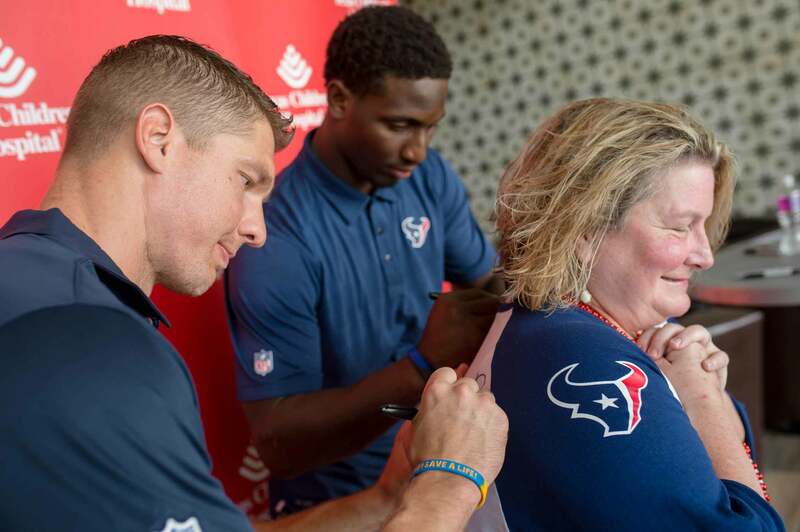 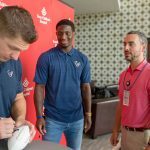 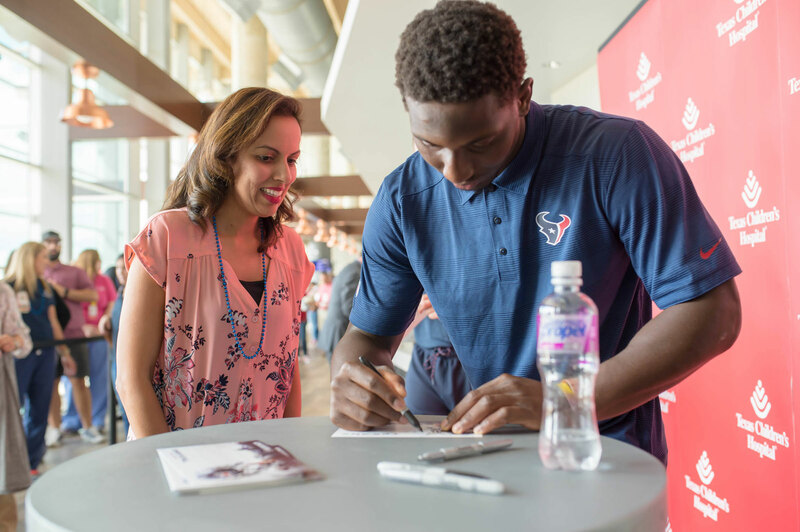 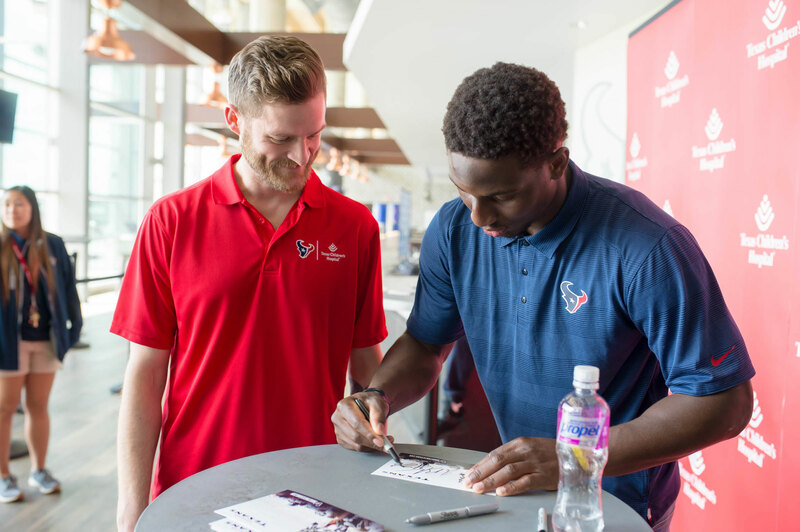 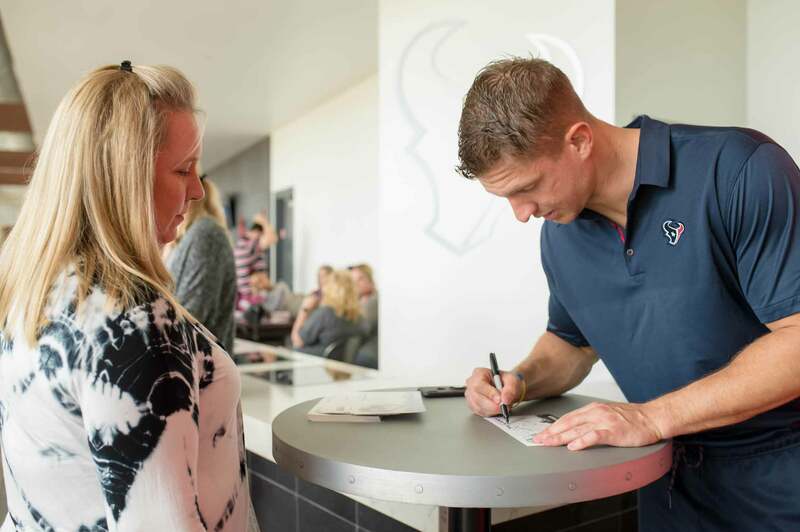 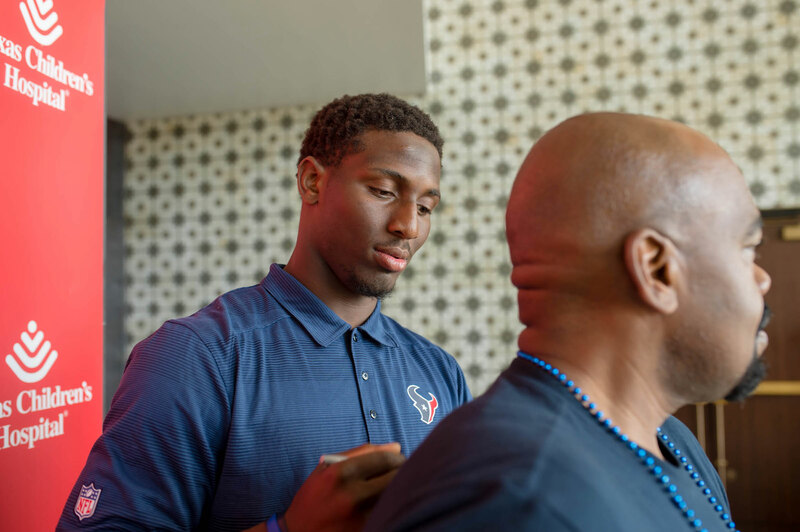 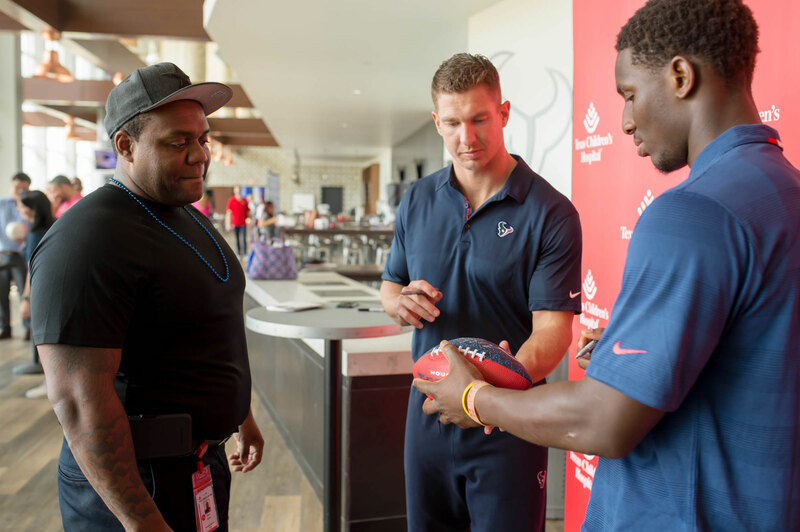 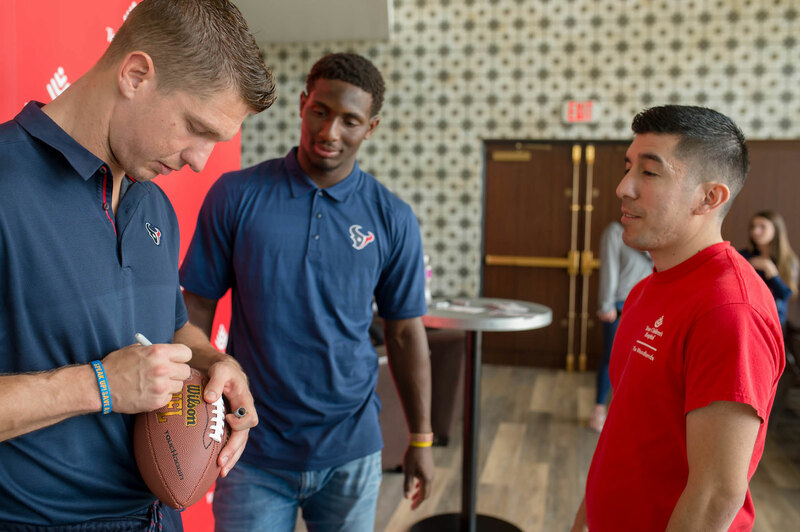 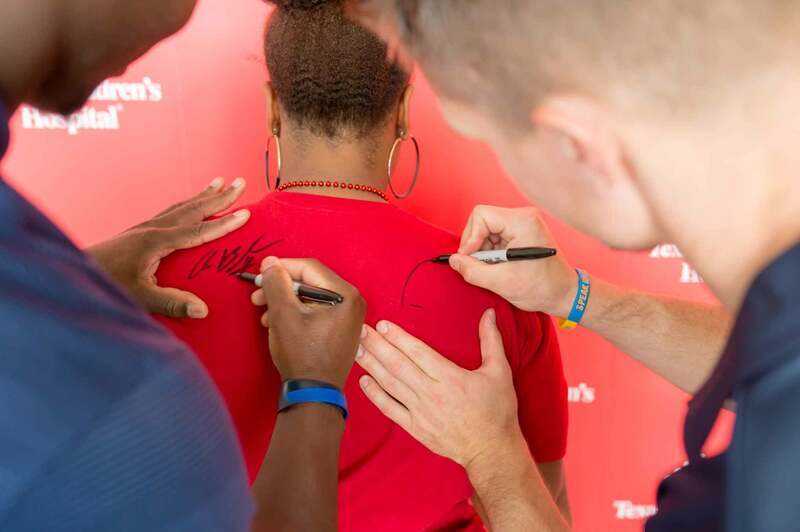 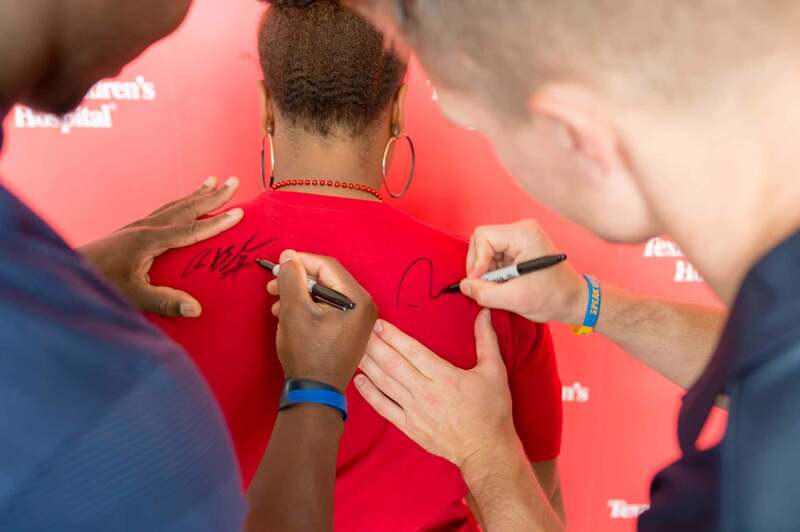 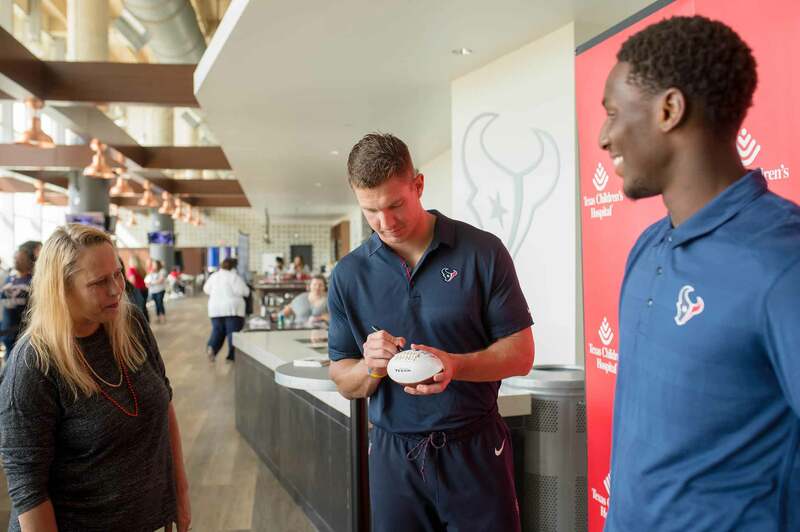 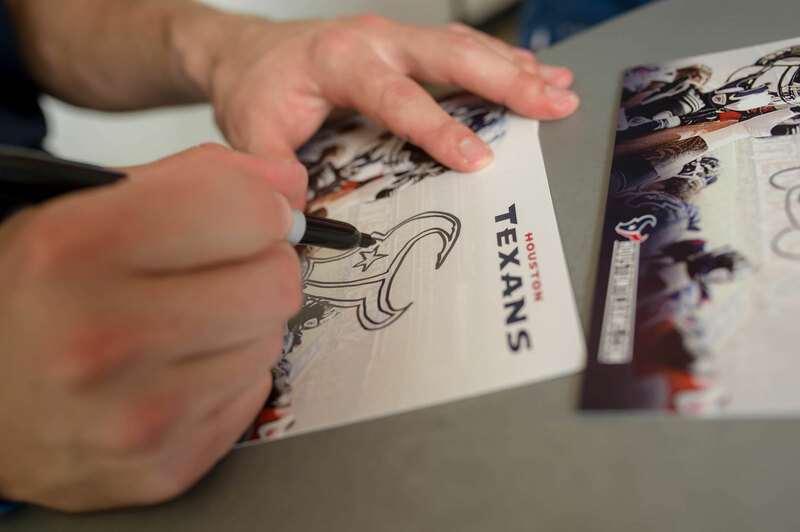 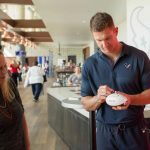 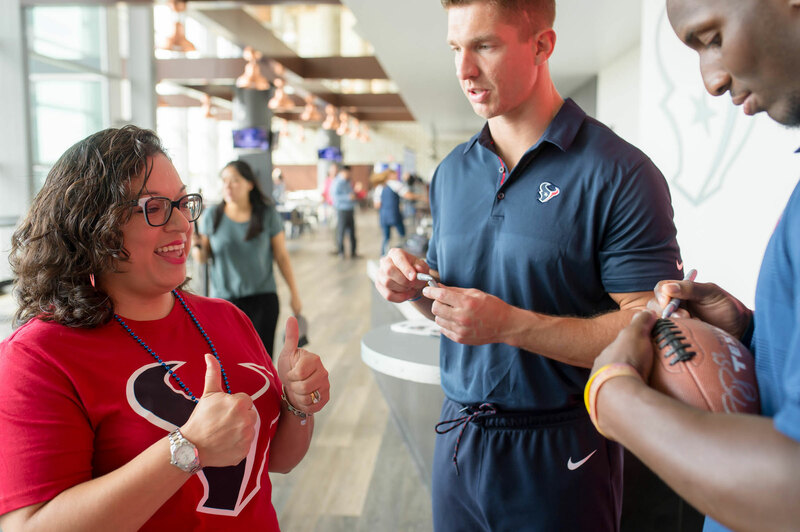 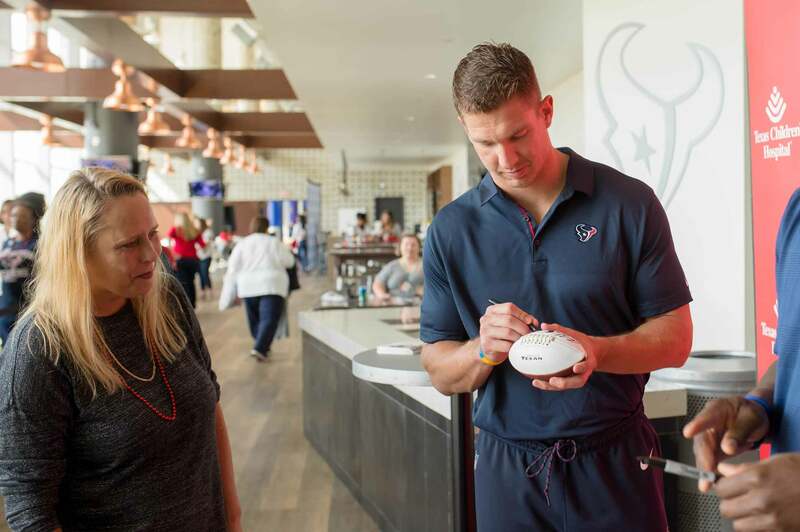 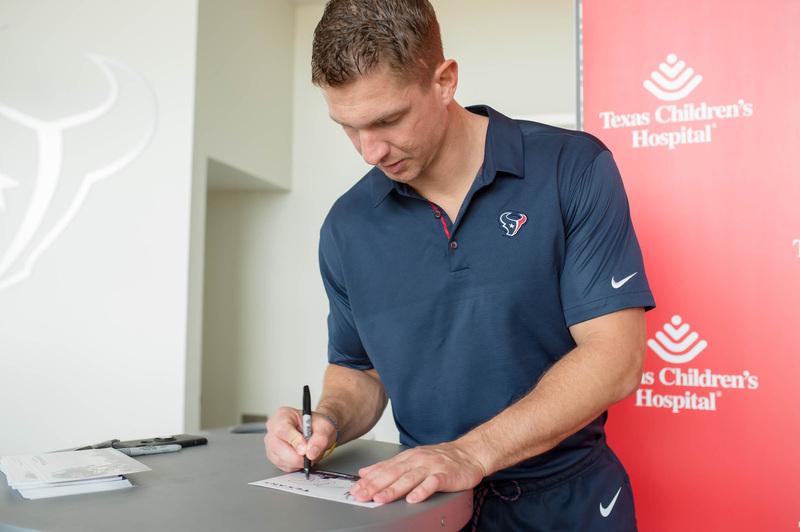 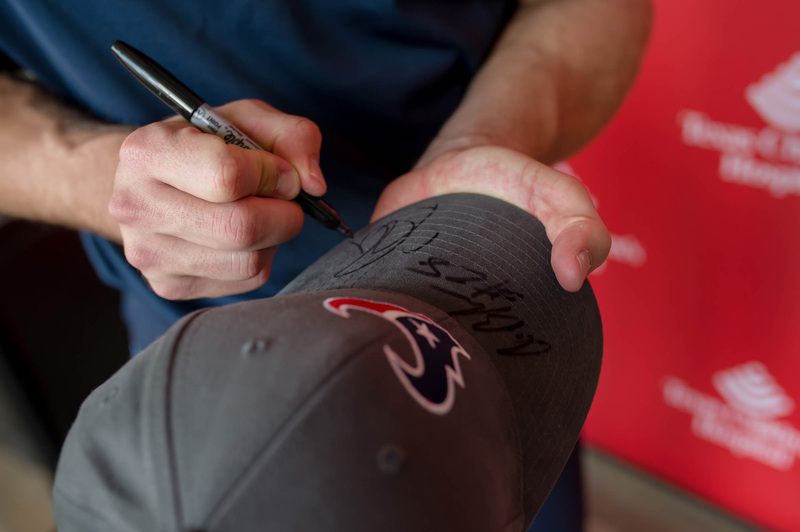 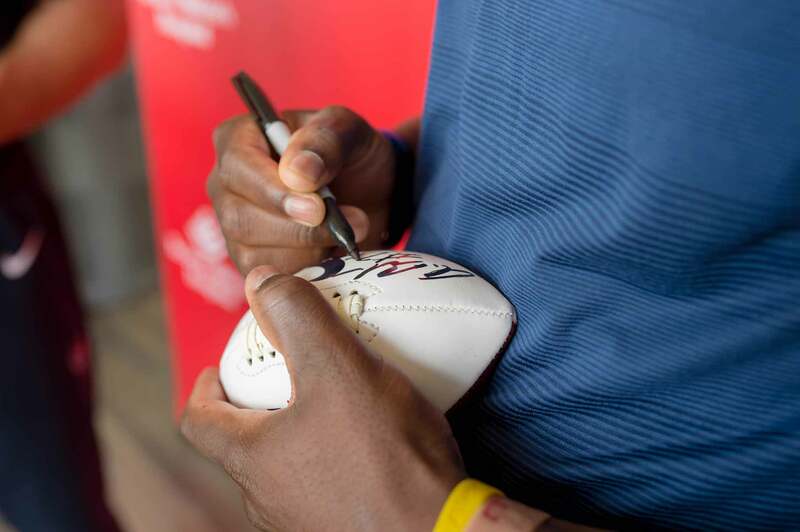 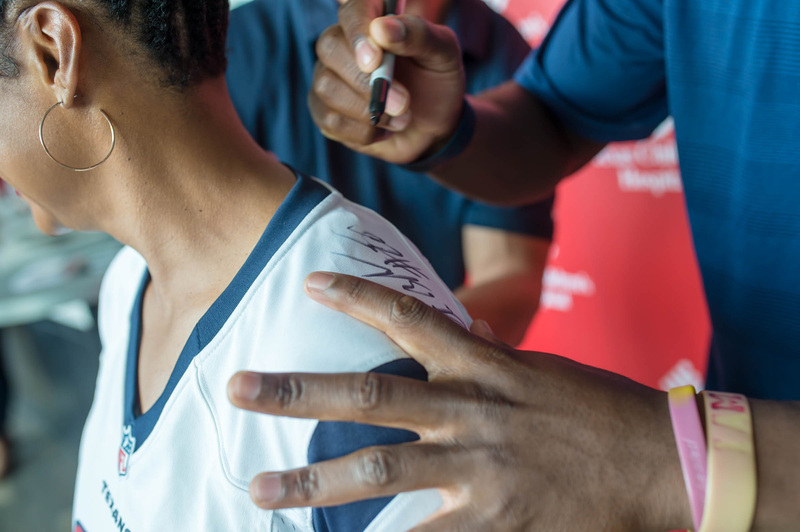 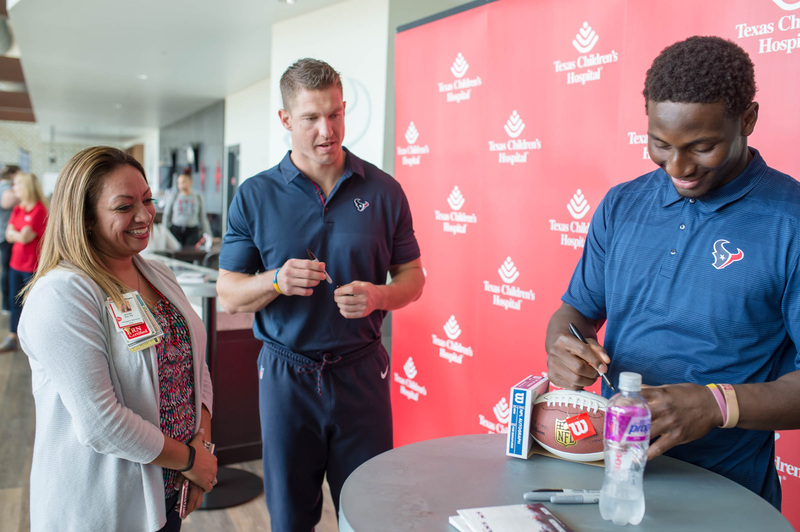 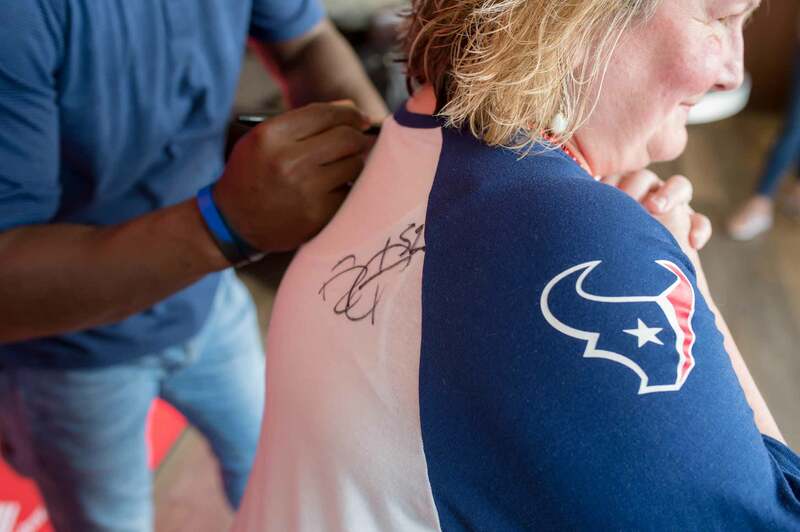 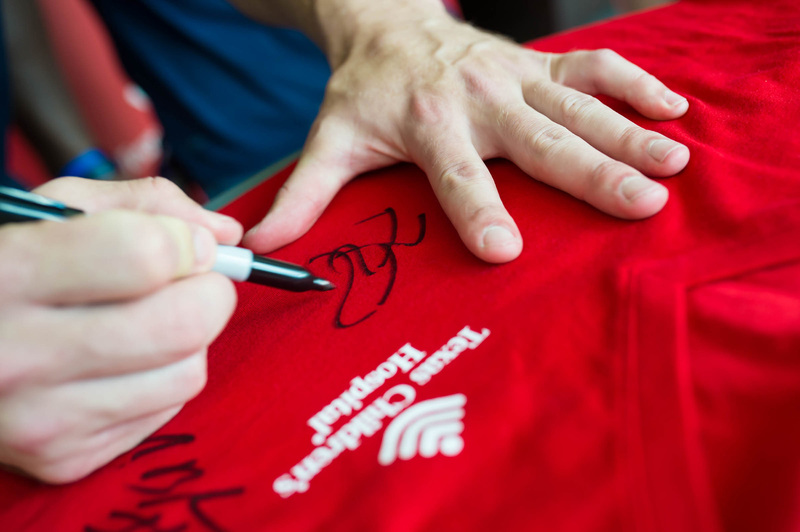 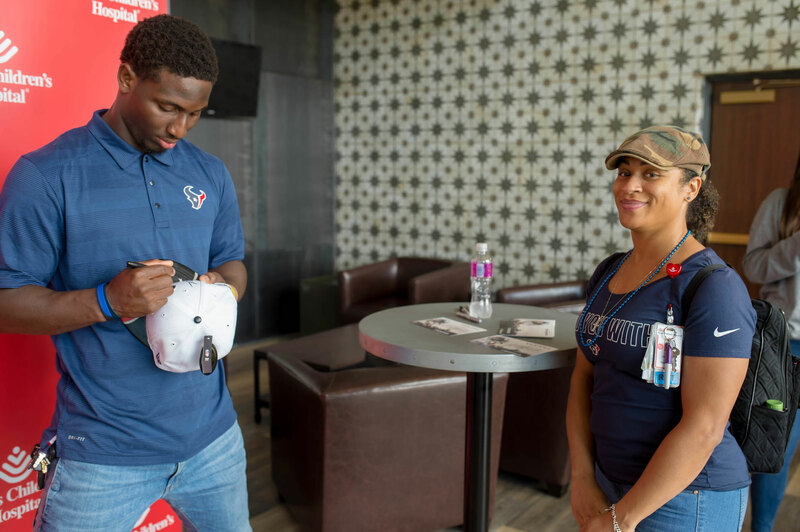 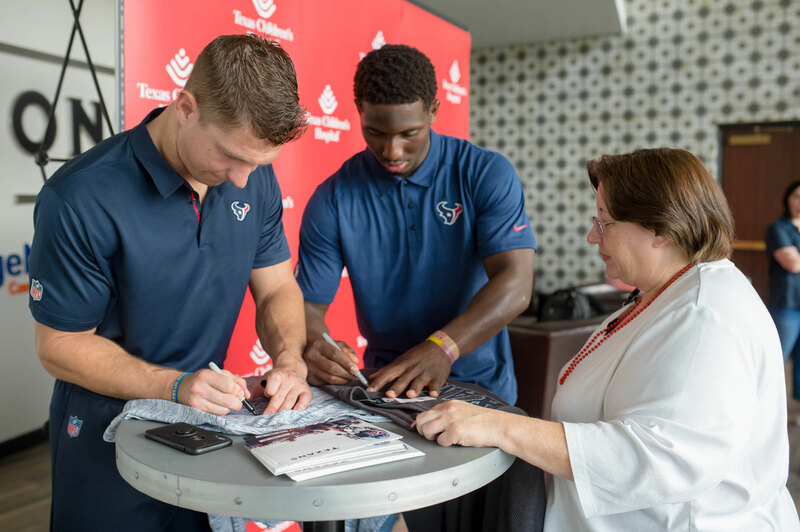 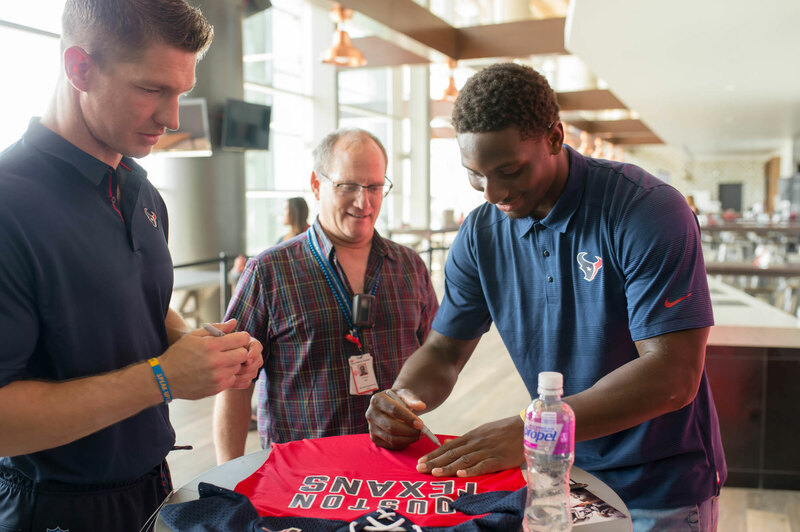 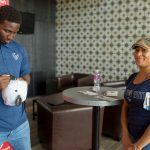 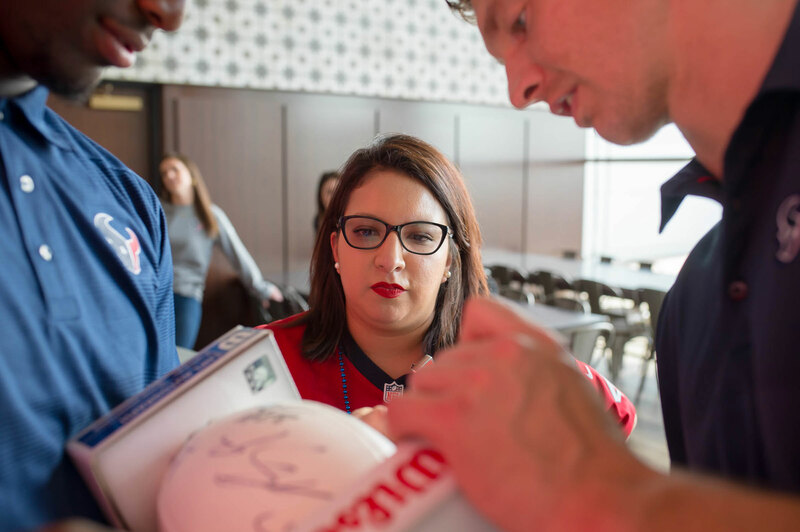 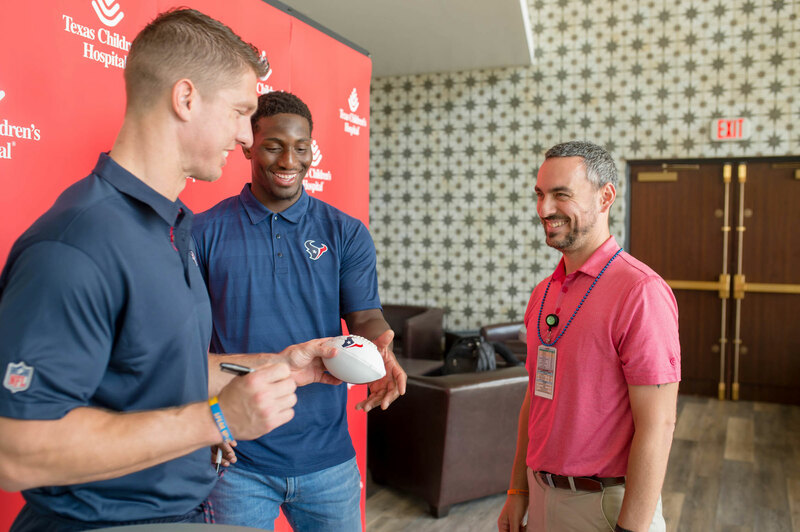 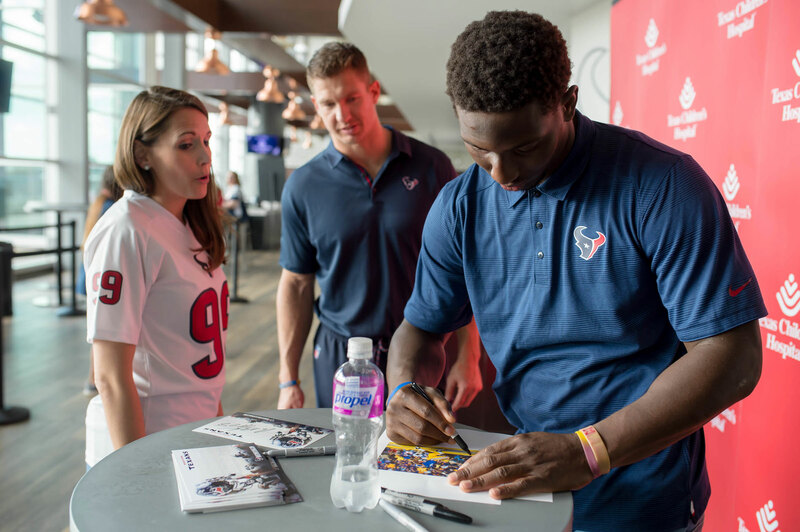 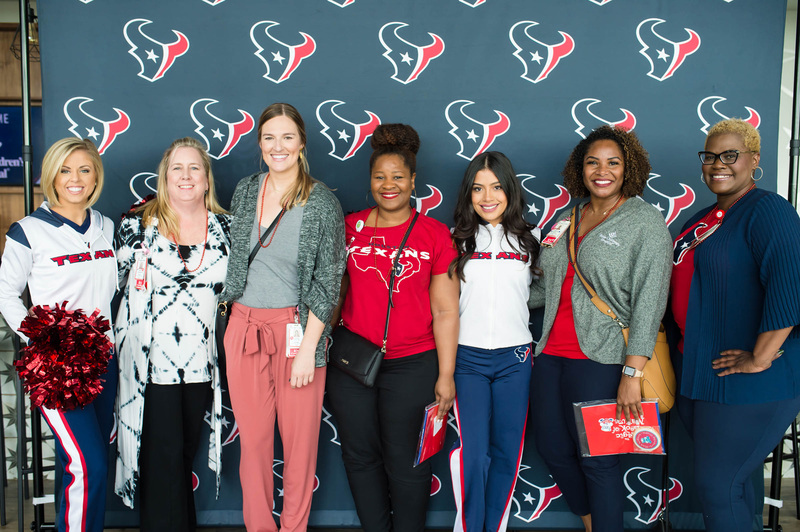 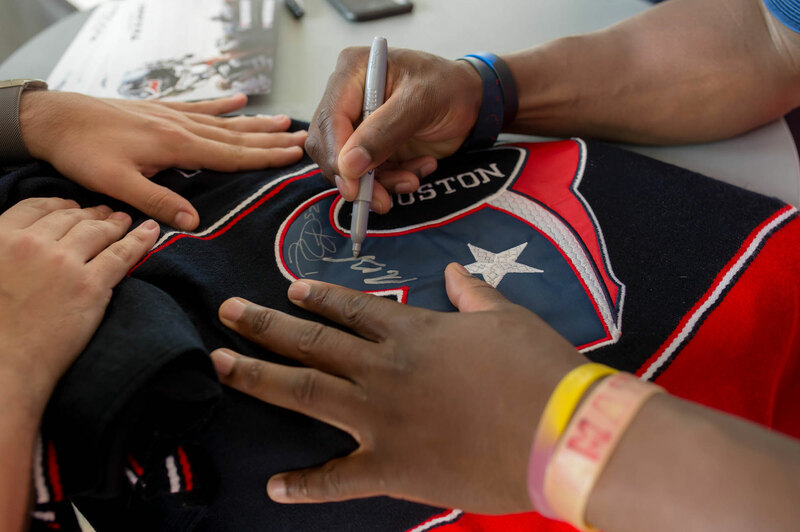 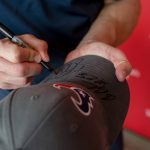 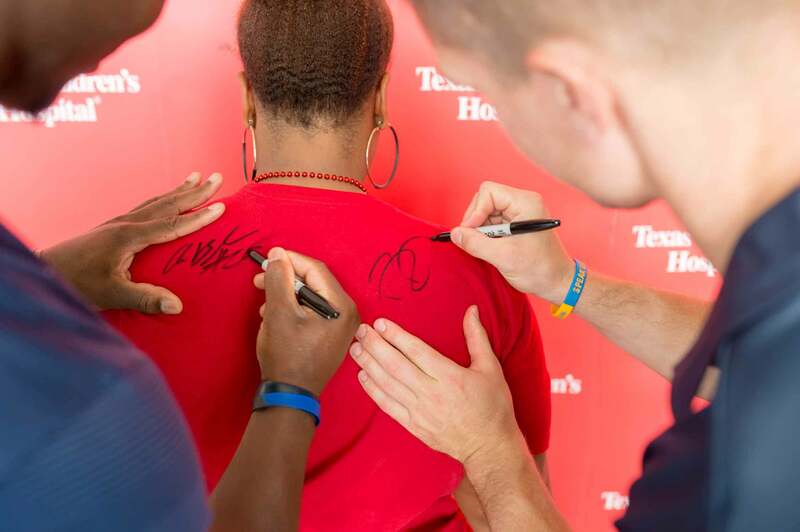 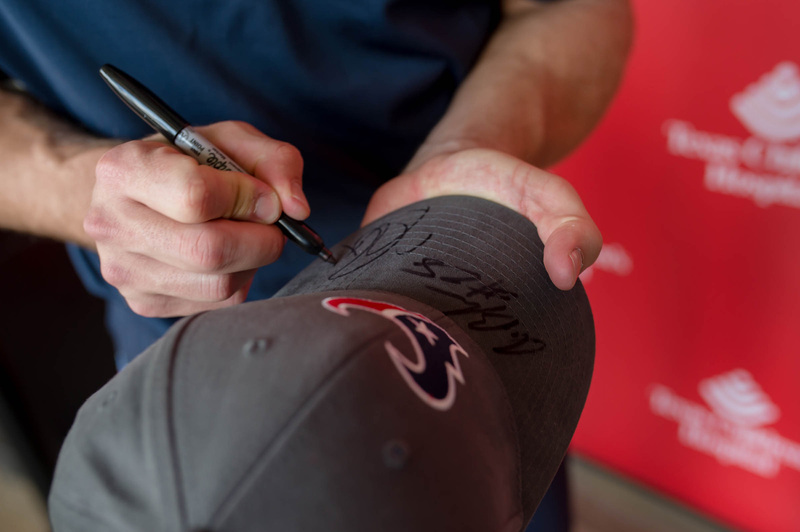 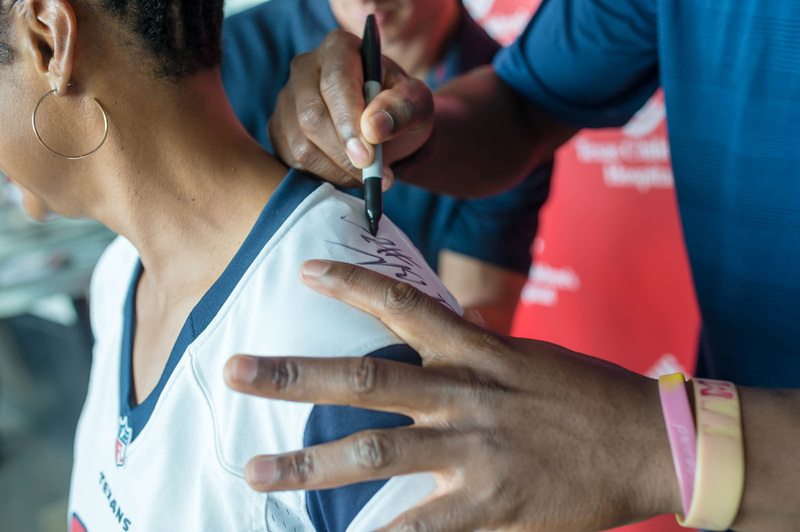 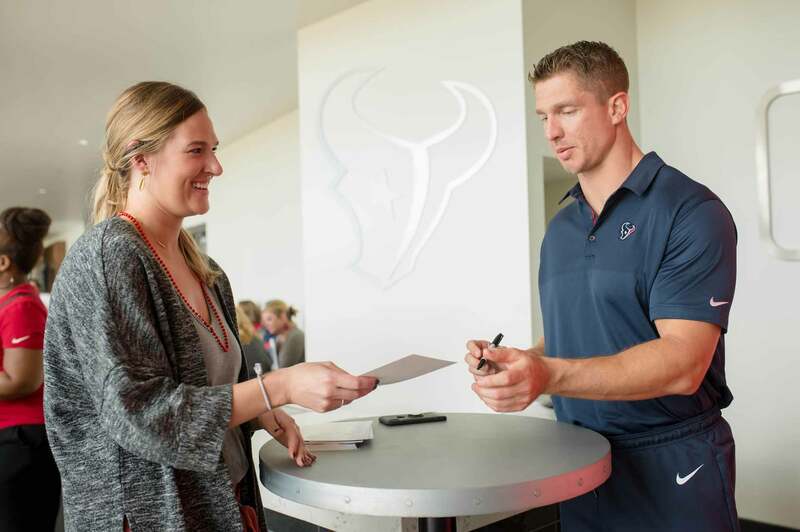 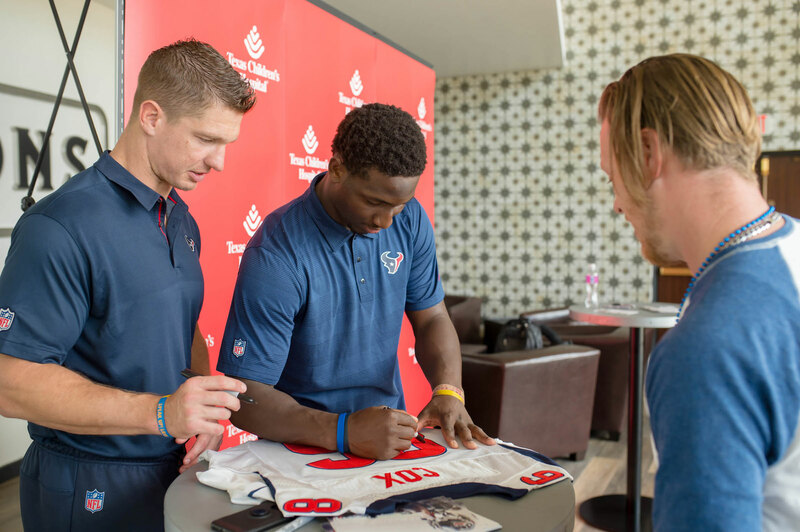 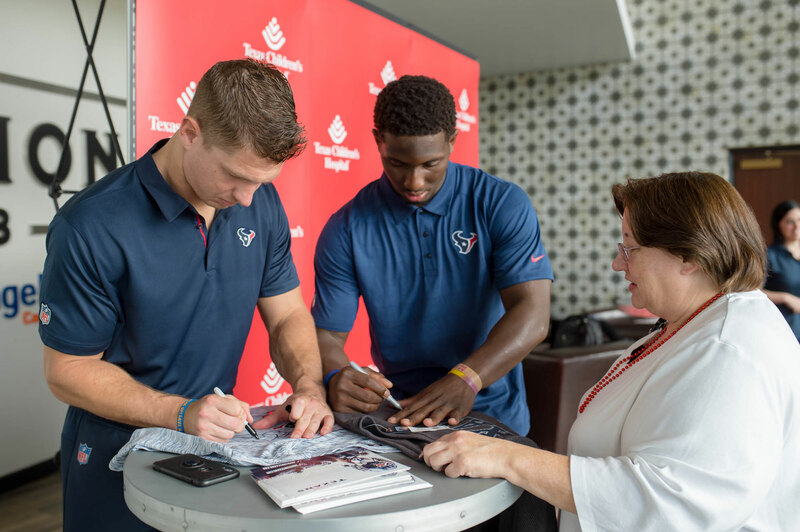 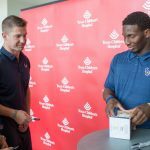 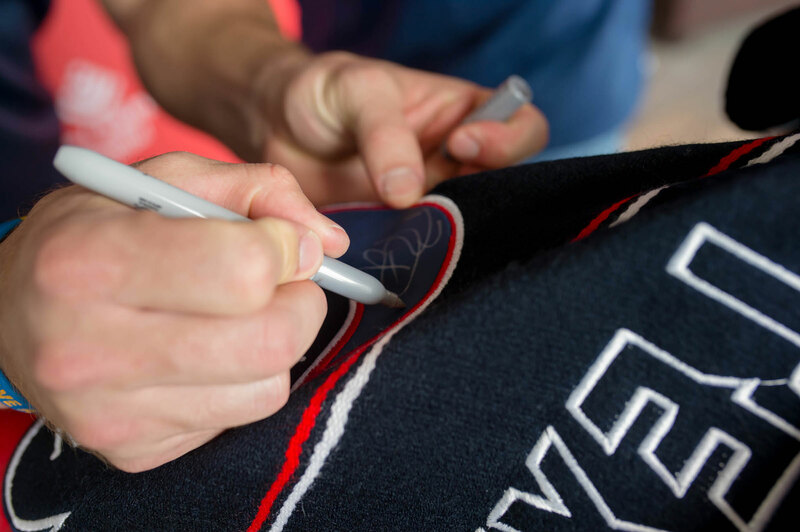 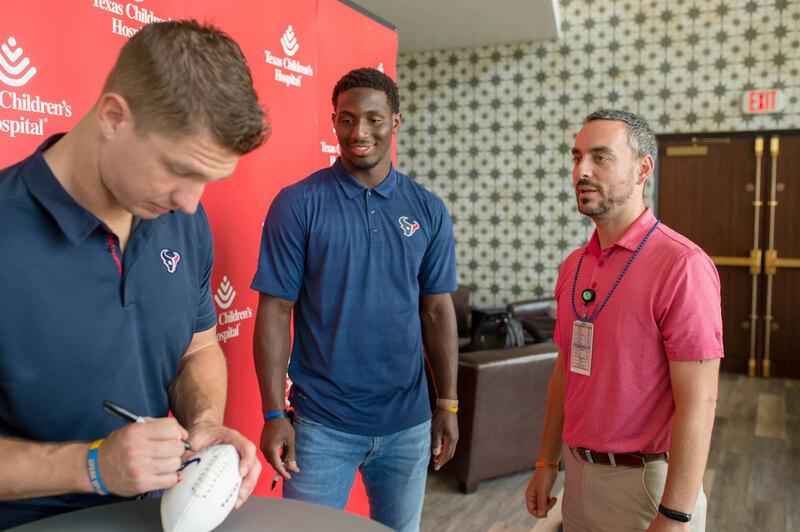 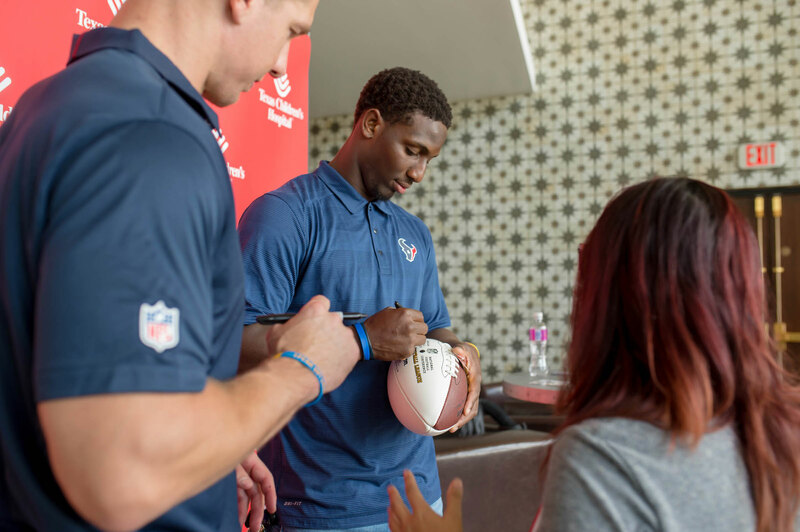 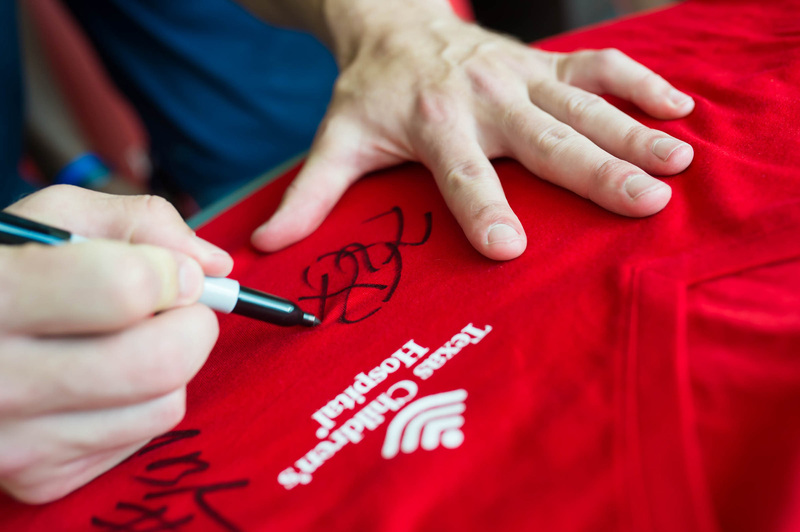 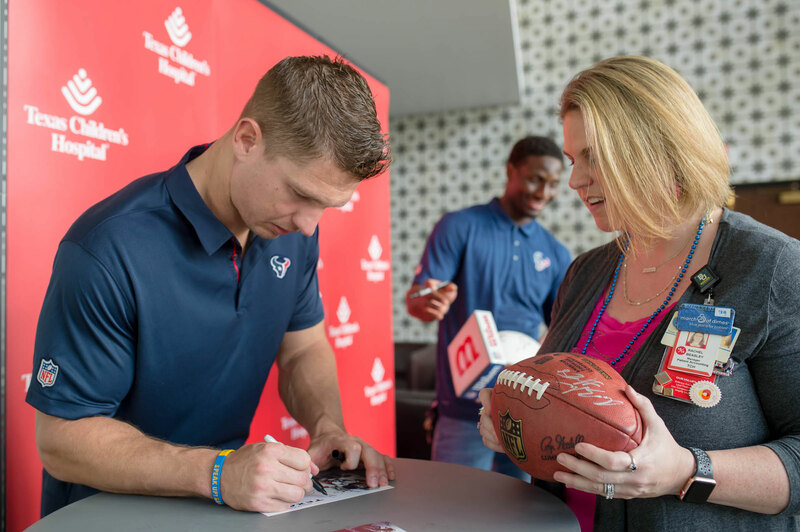 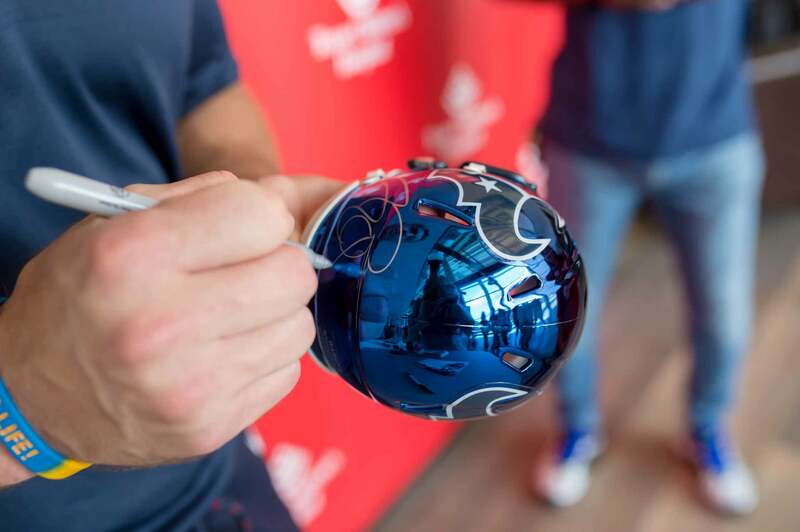 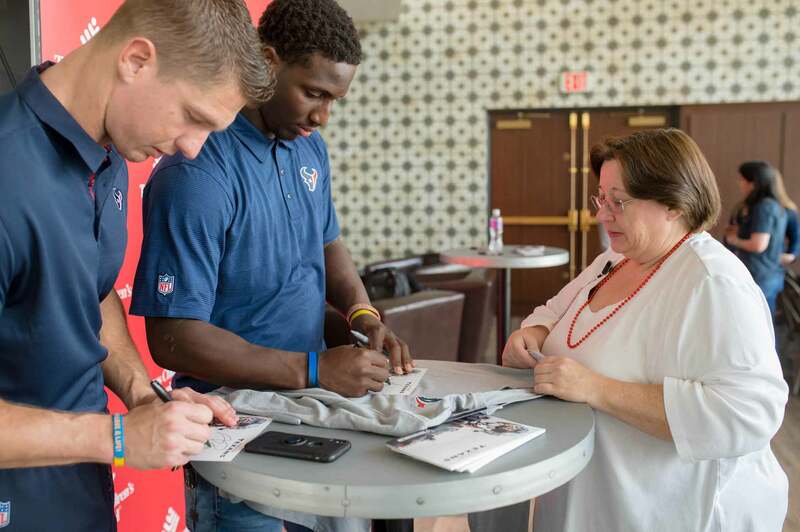 Thank you for participating in the NRG Stadium tour and the Texans autograph session with Brian Peters and Alfred Blue and tour of NRG Stadium. 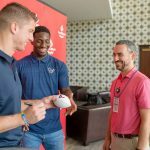 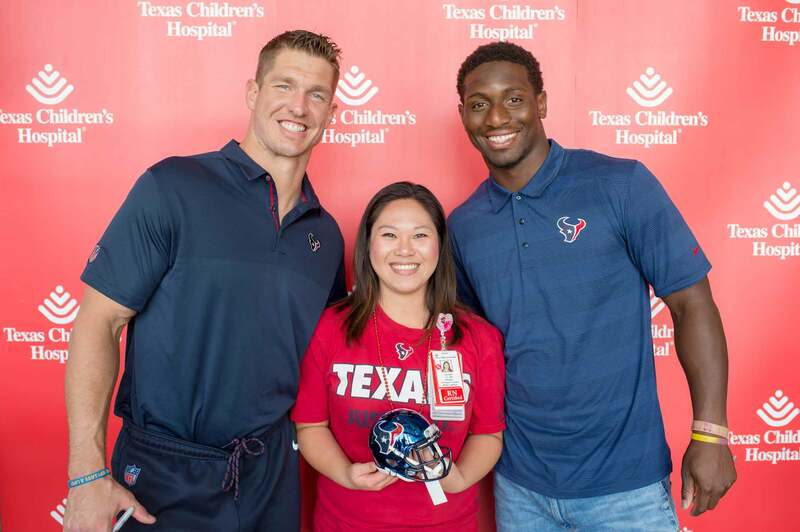 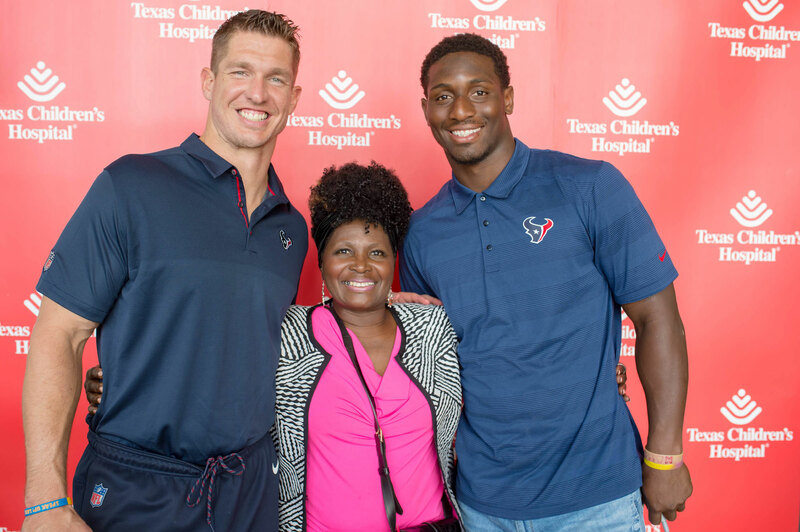 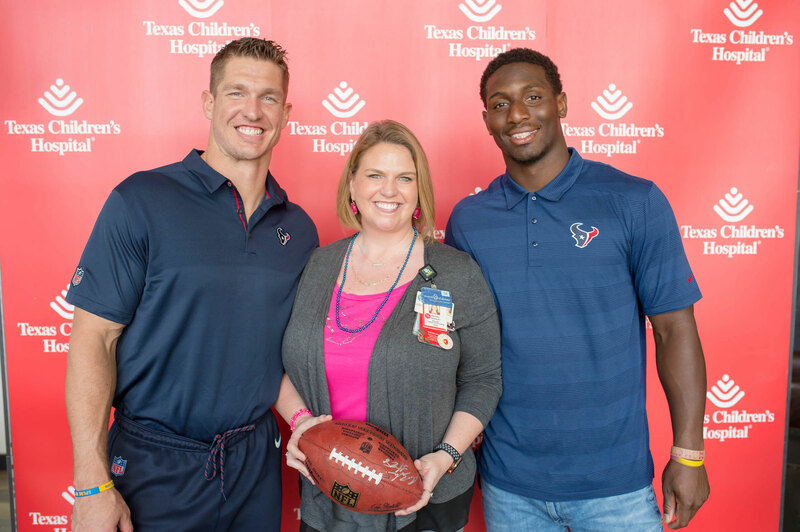 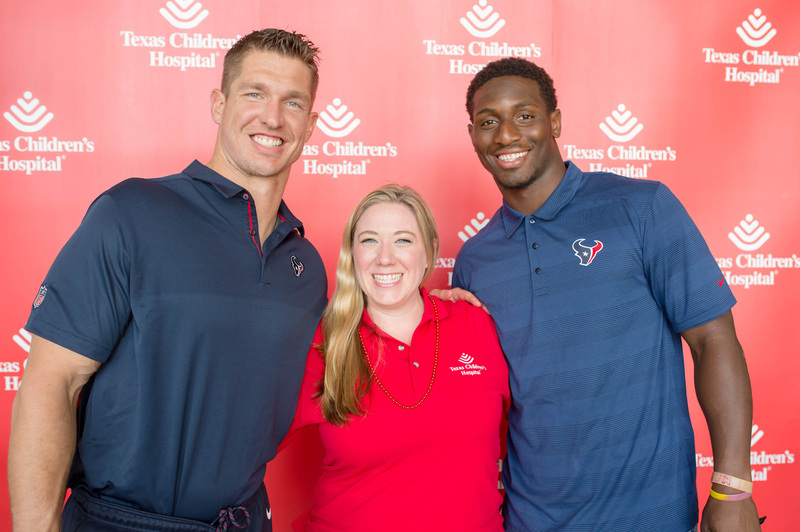 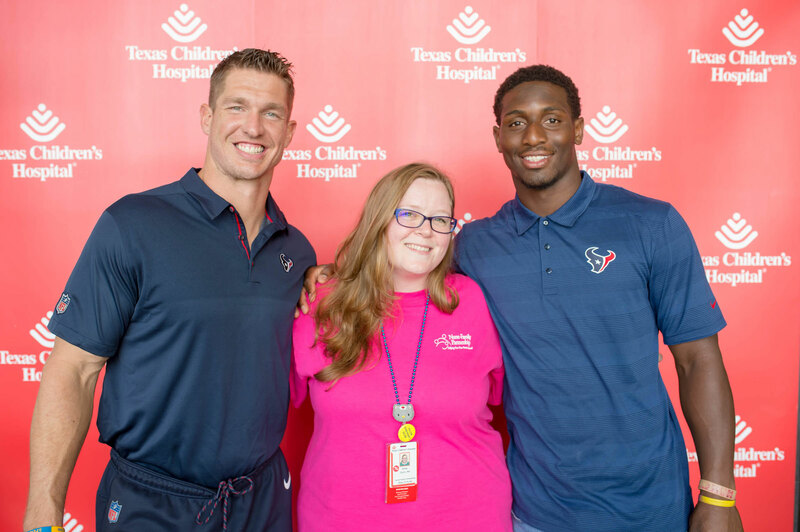 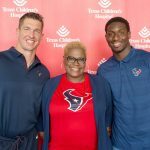 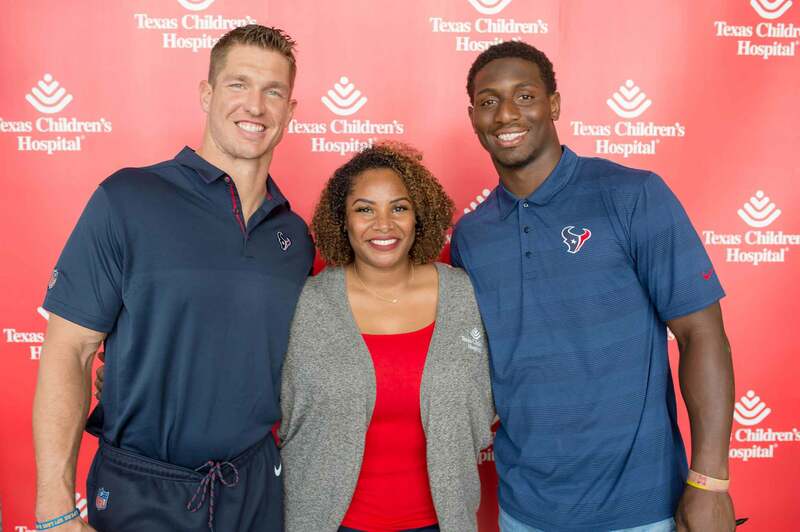 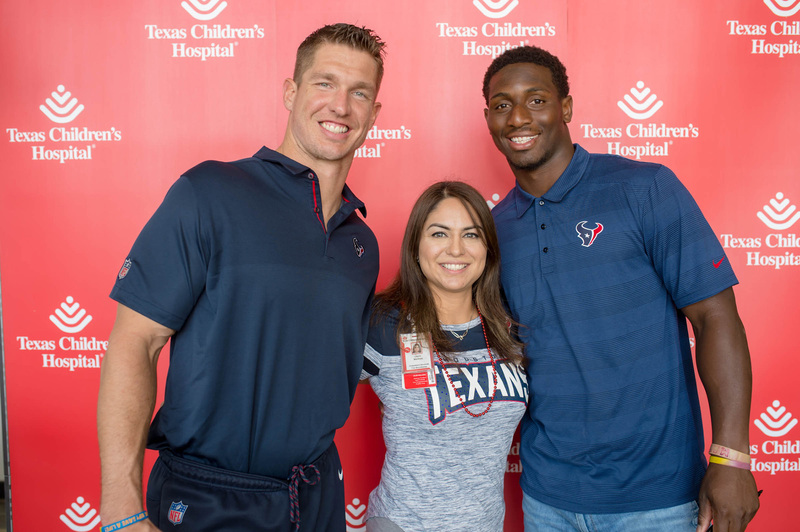 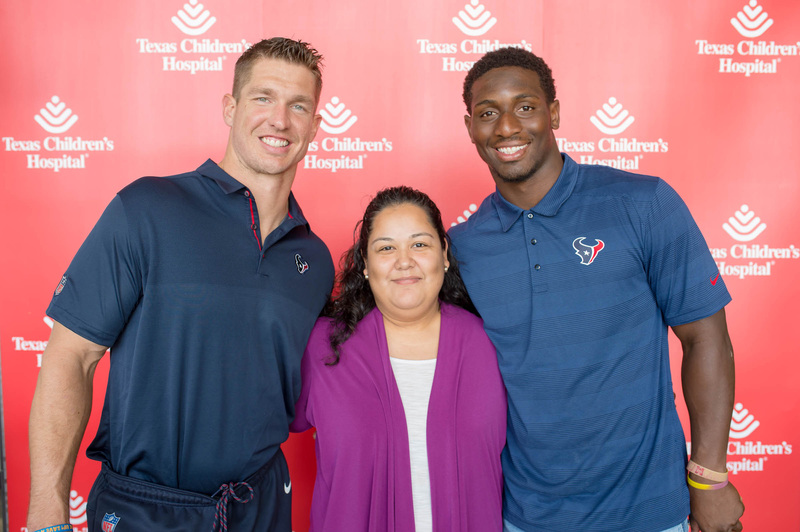 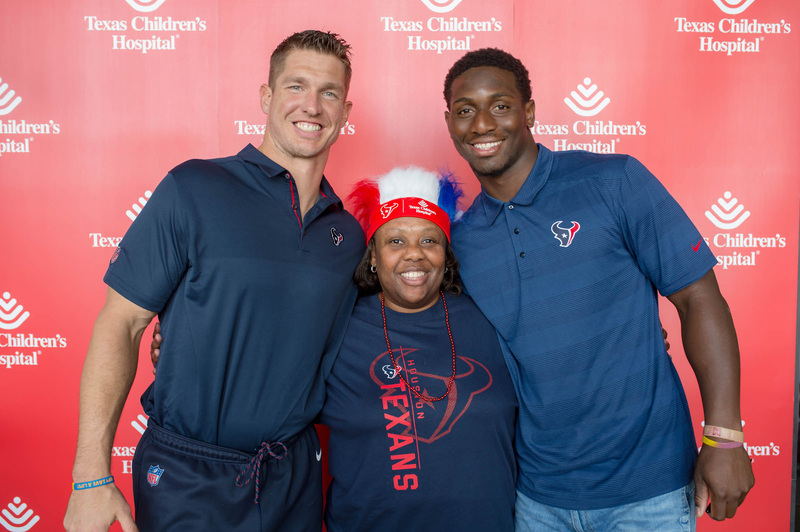 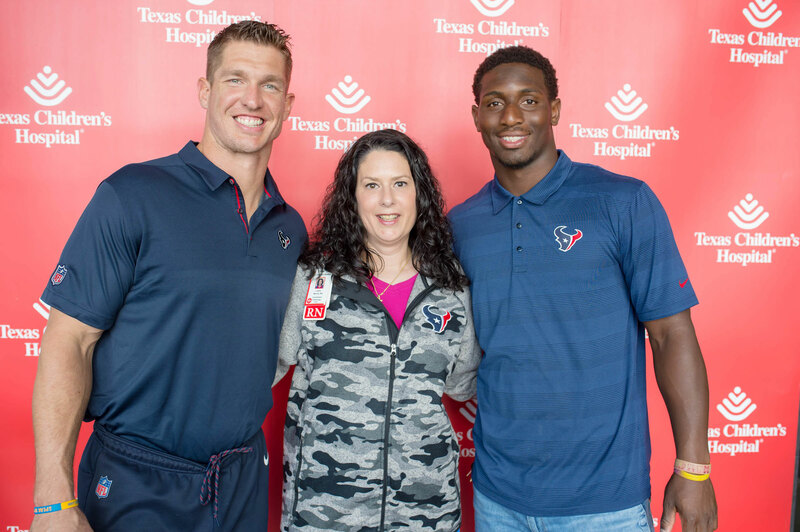 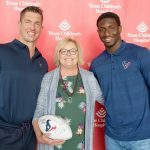 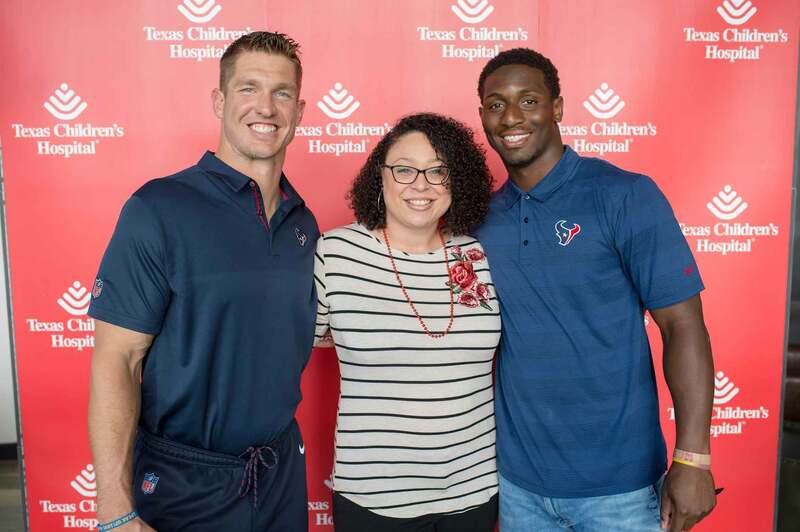 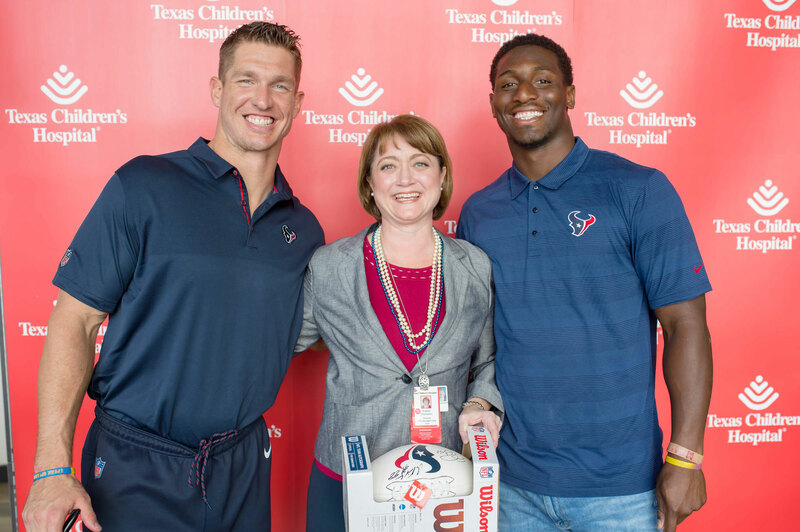 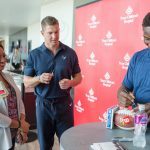 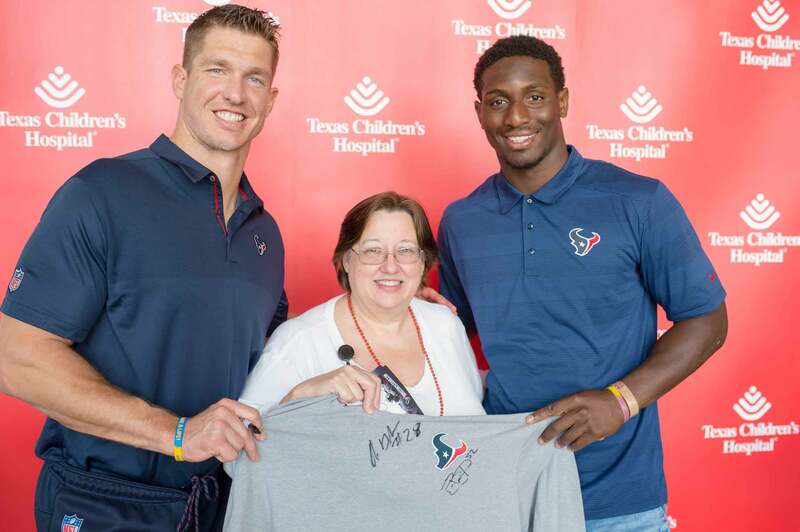 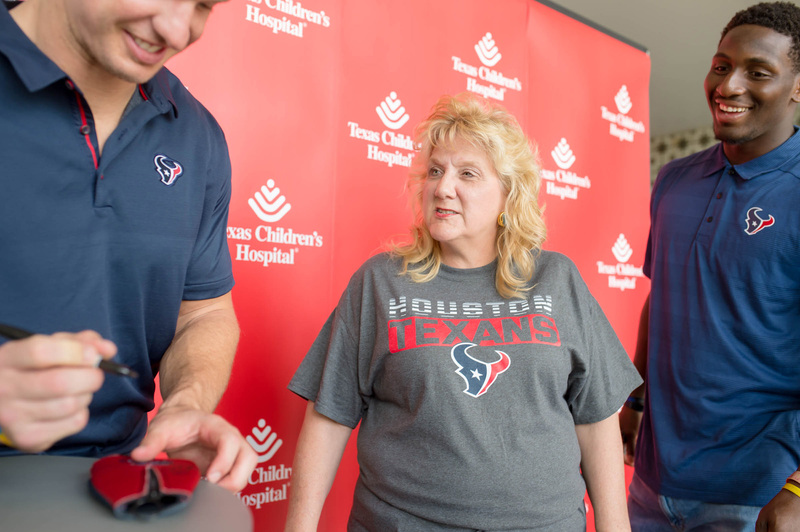 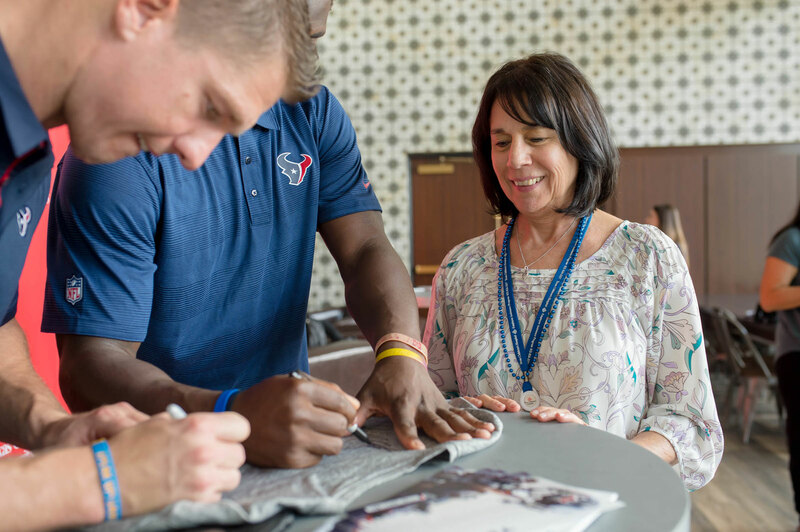 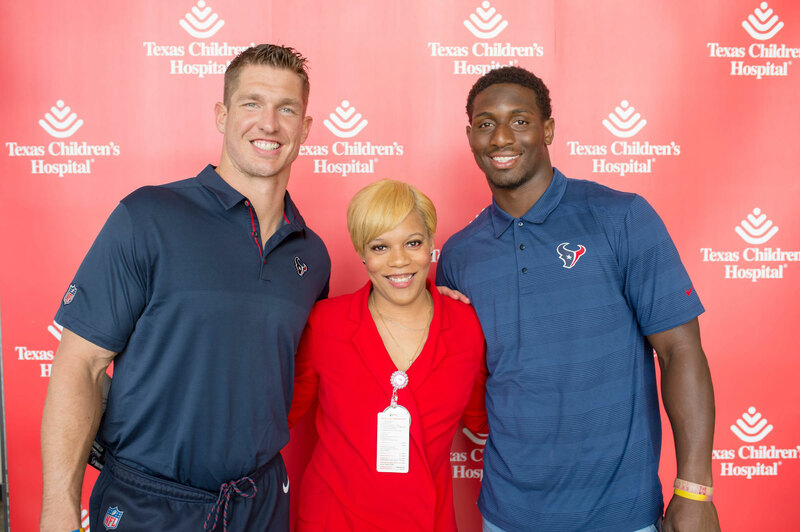 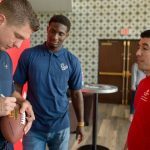 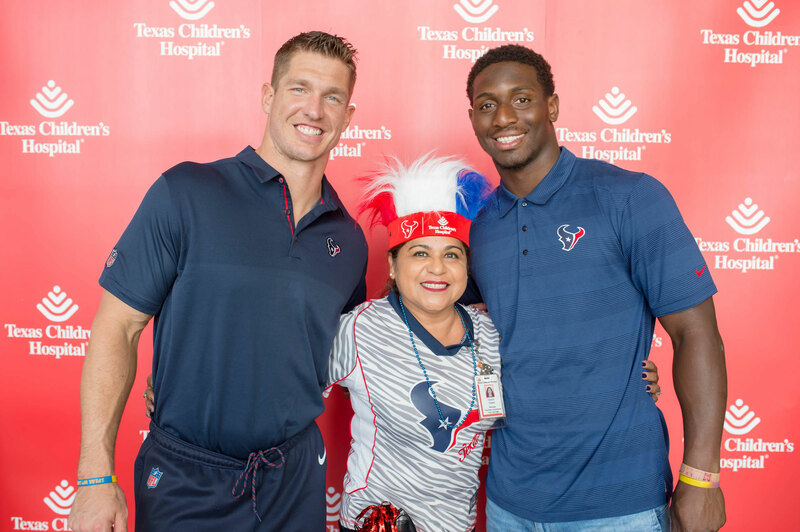 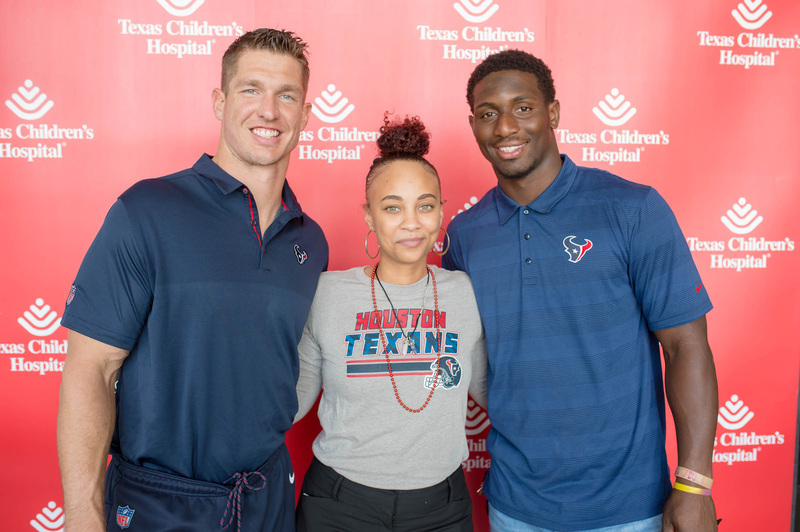 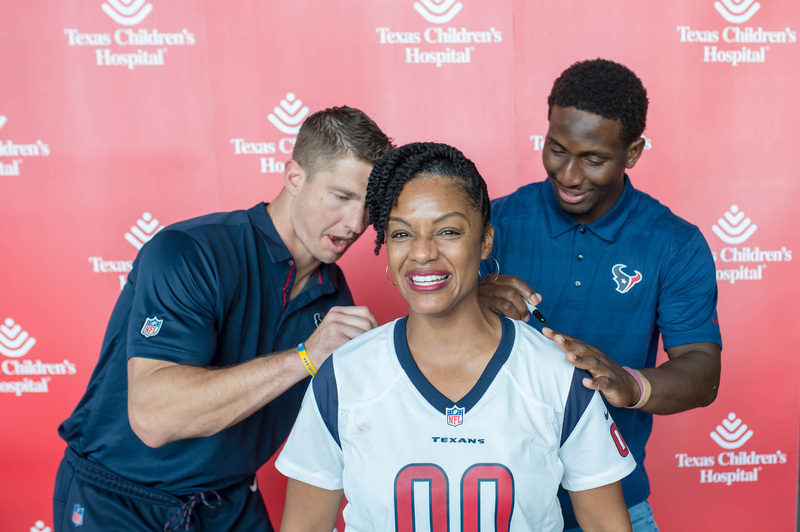 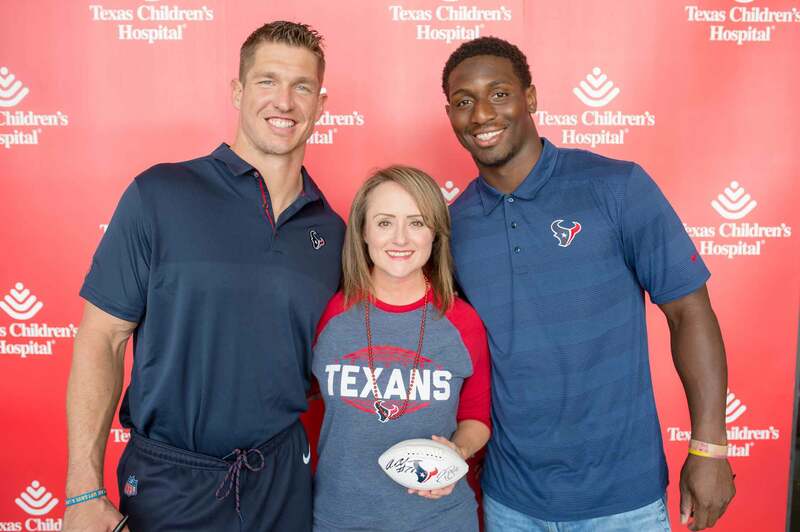 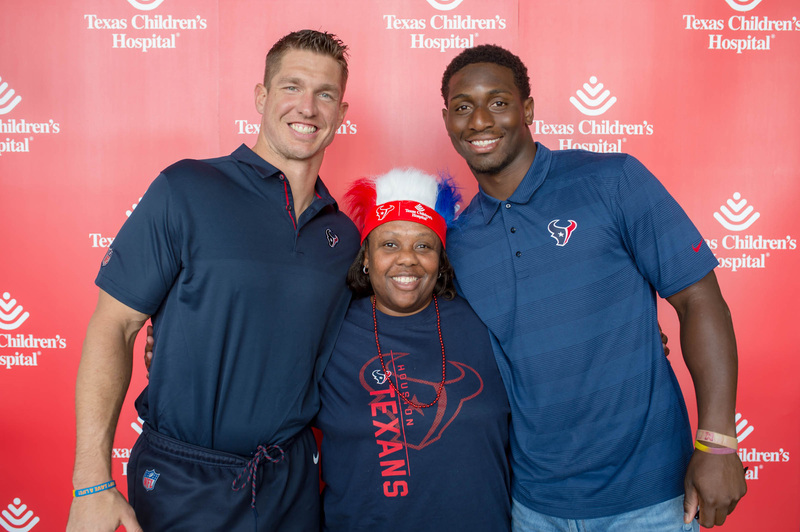 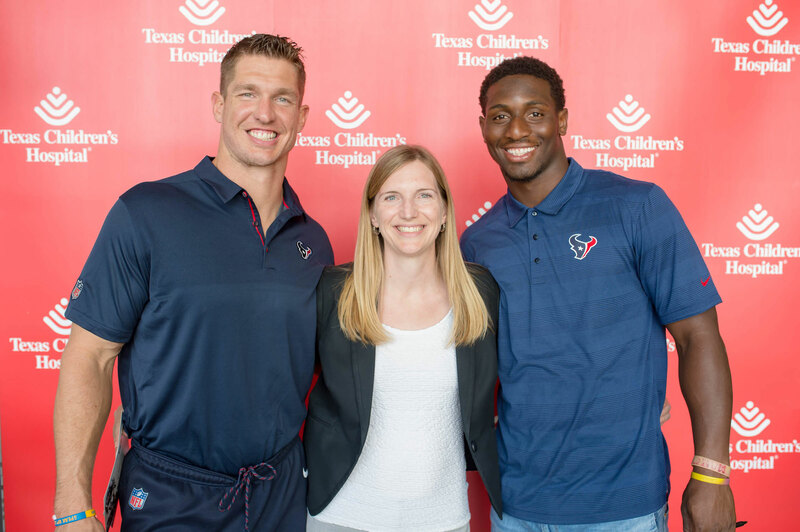 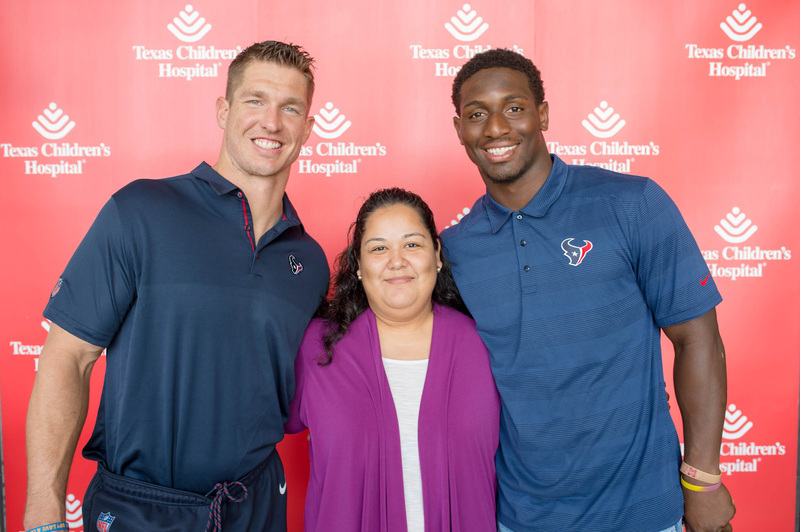 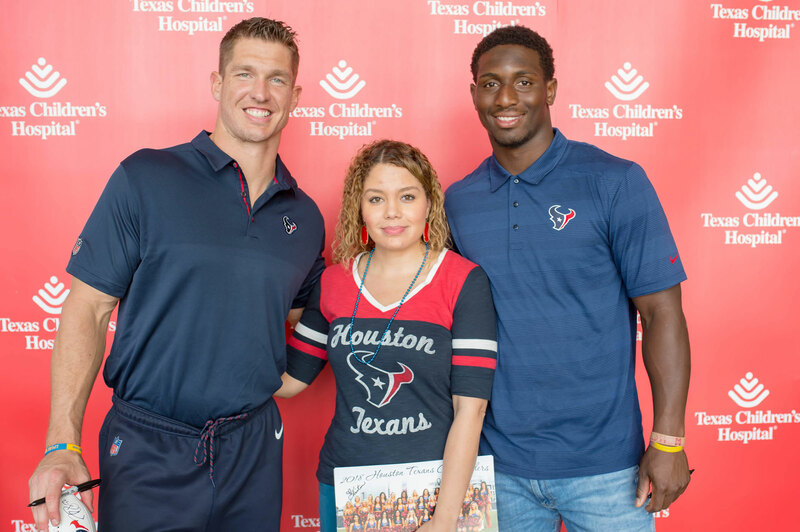 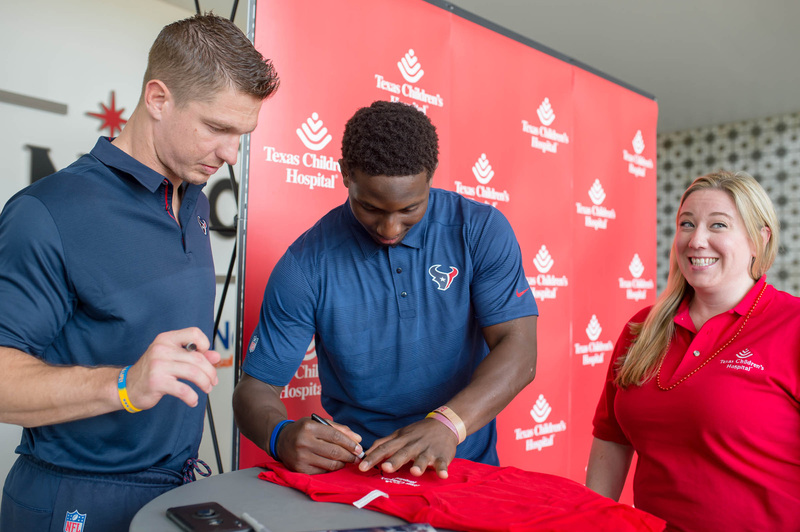 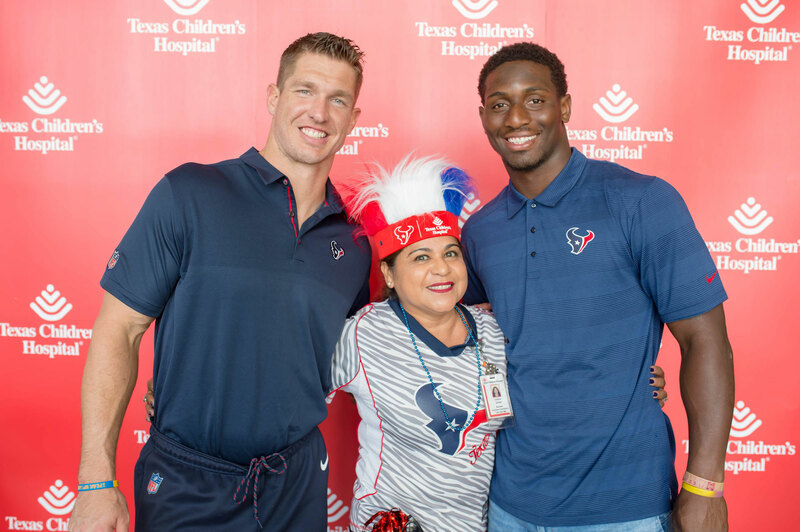 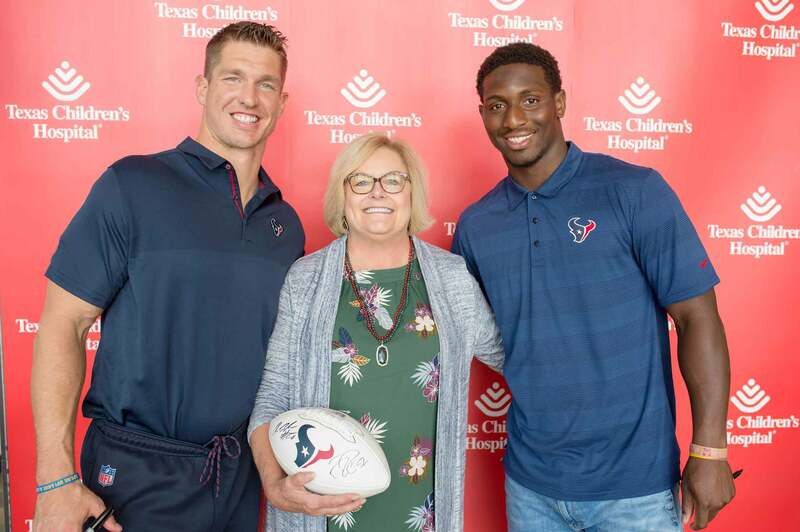 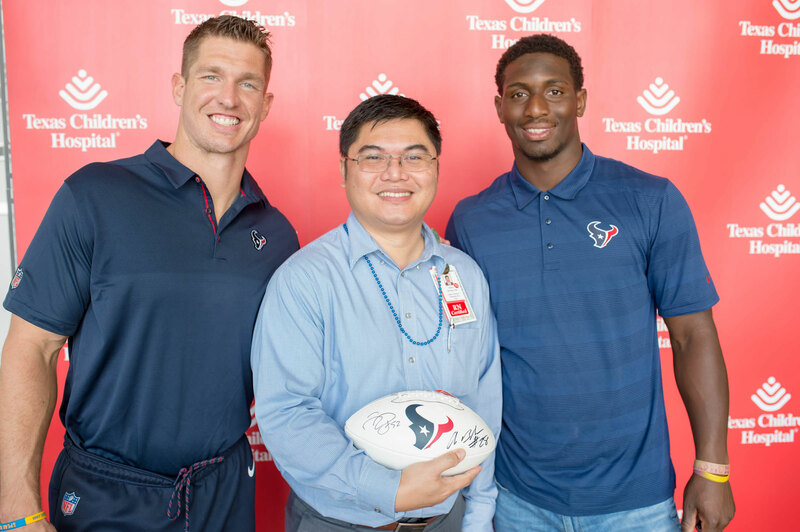 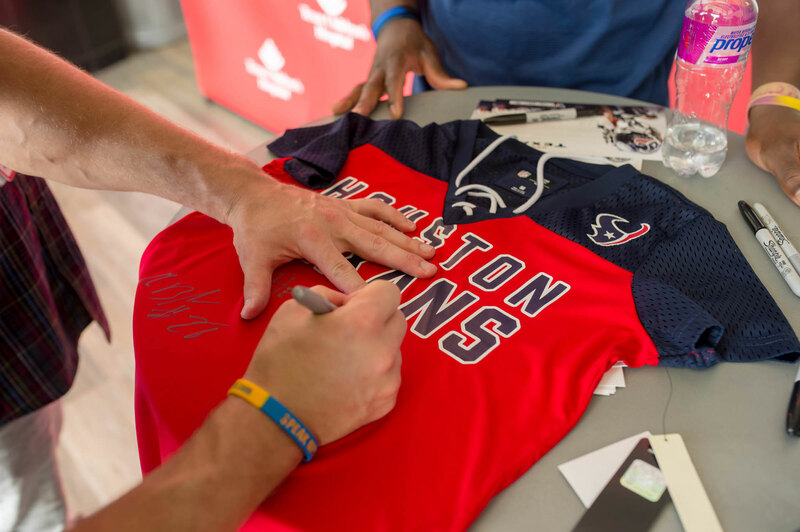 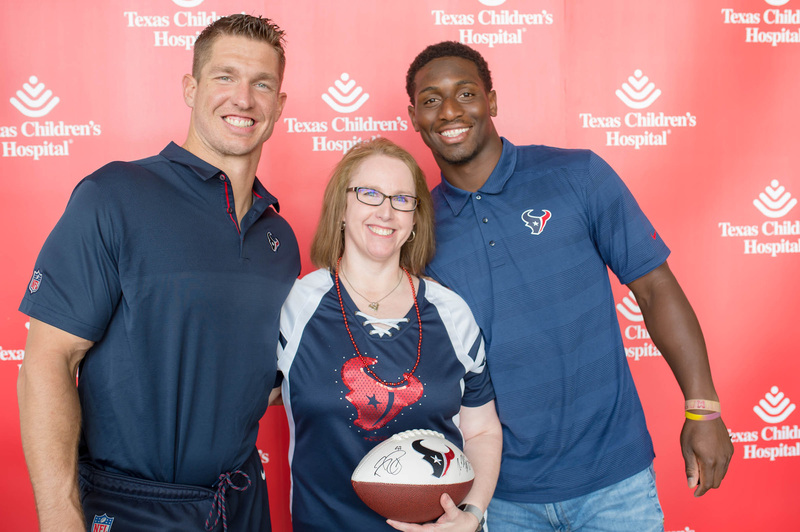 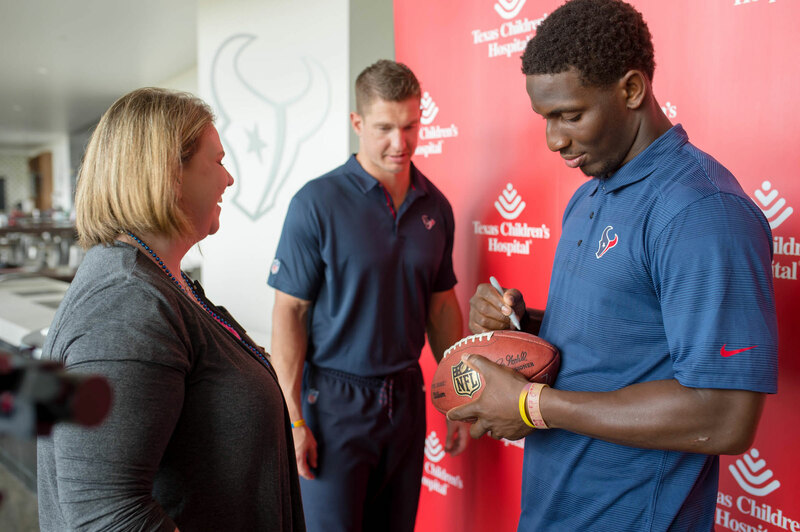 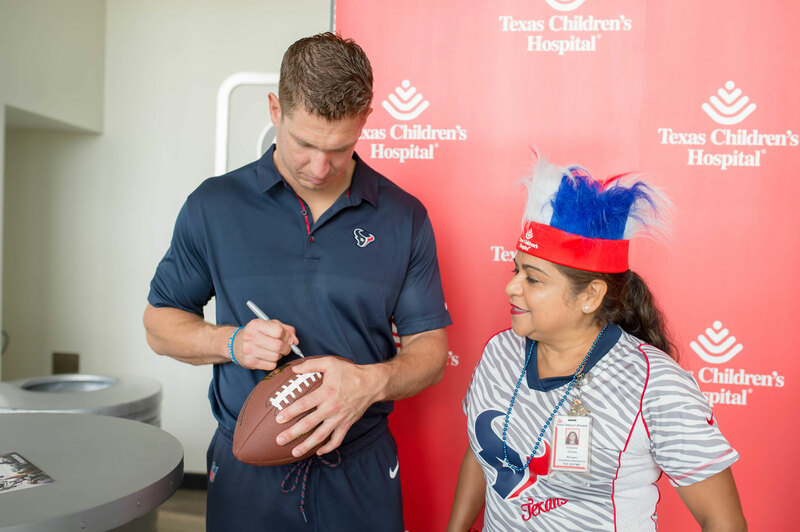 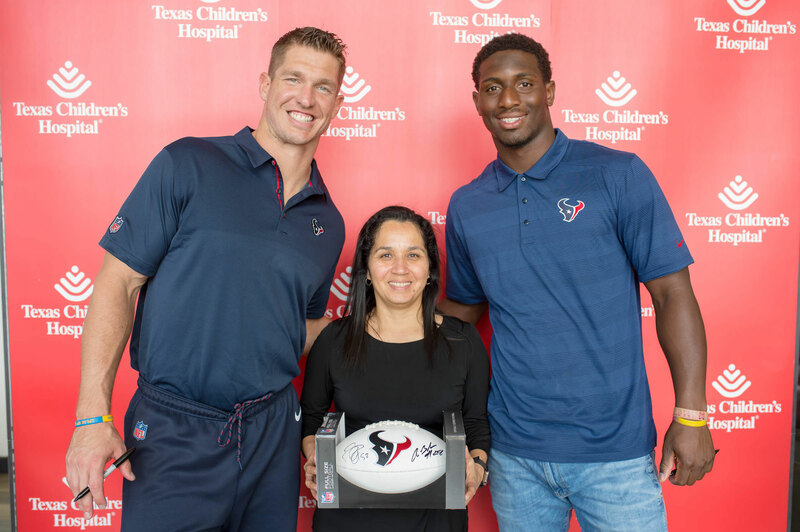 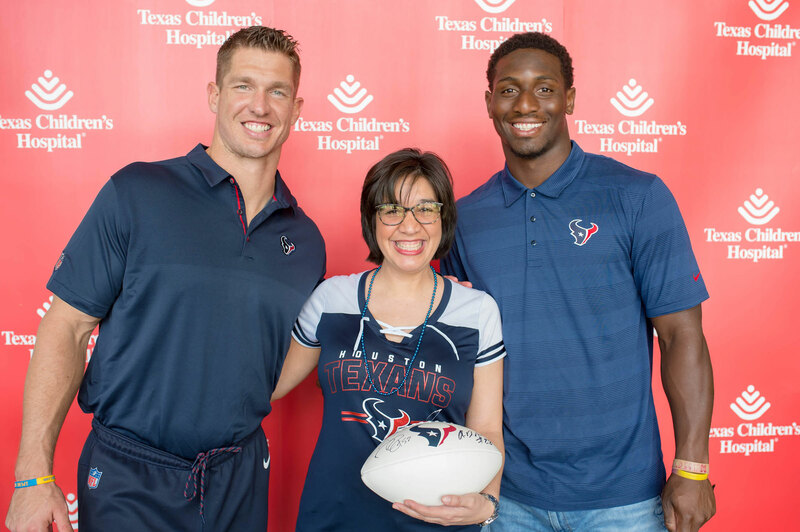 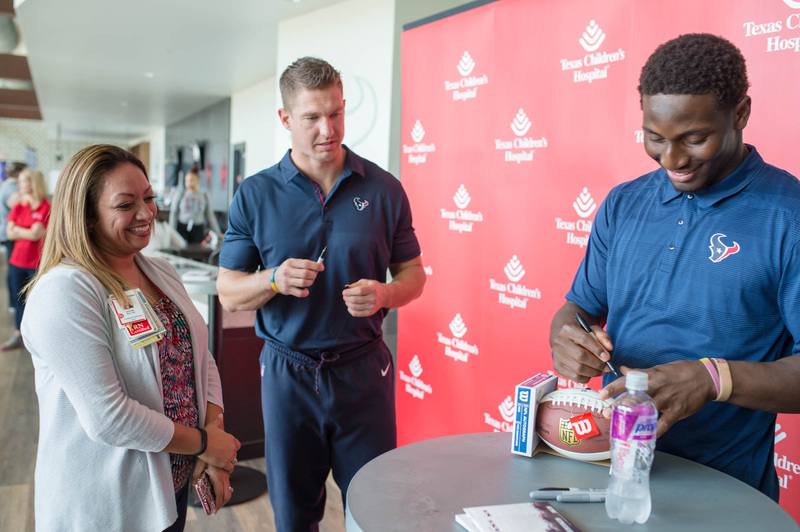 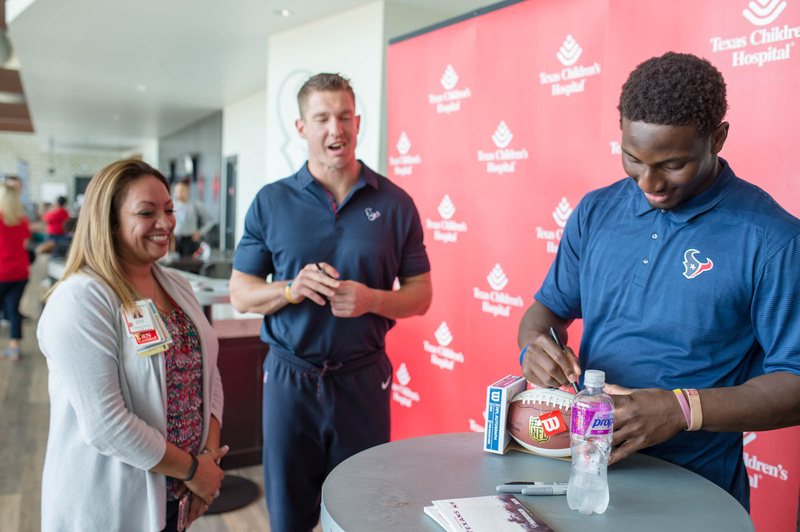 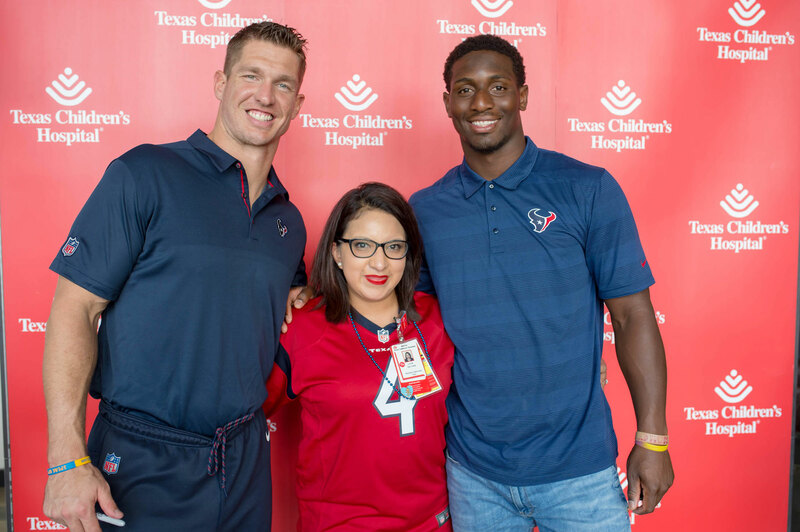 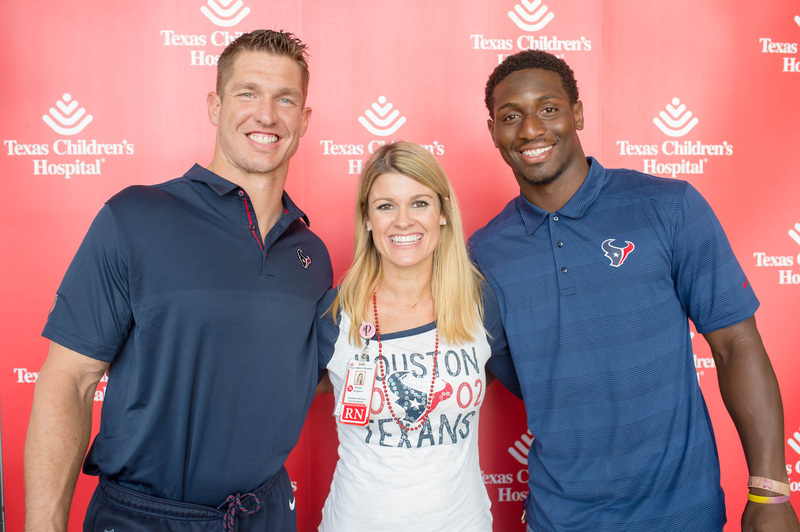 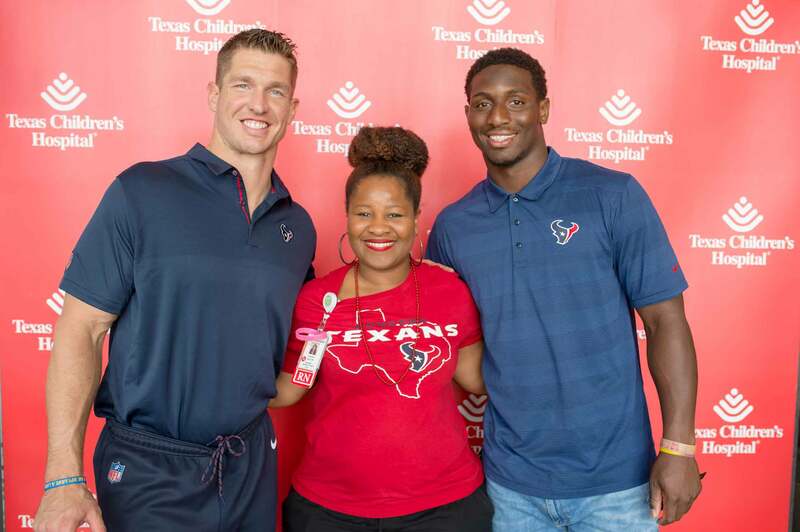 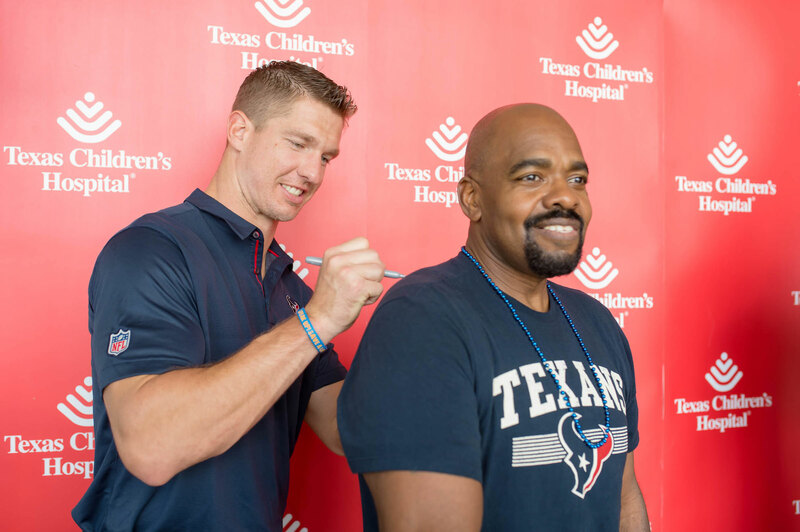 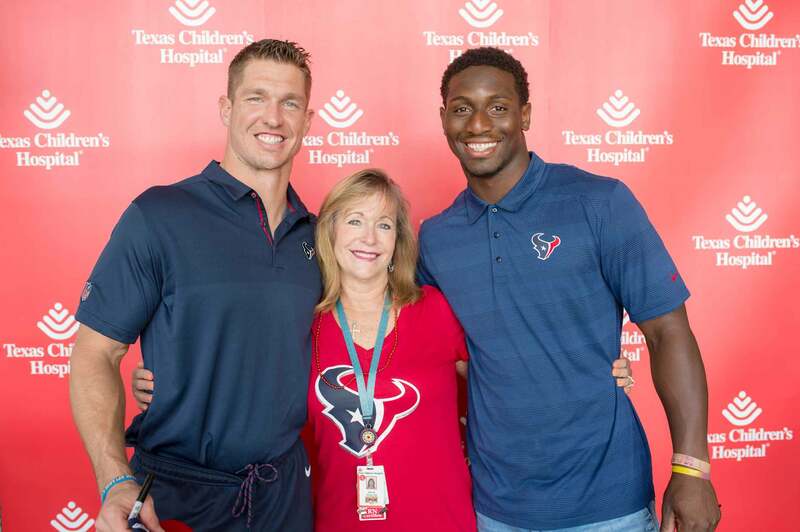 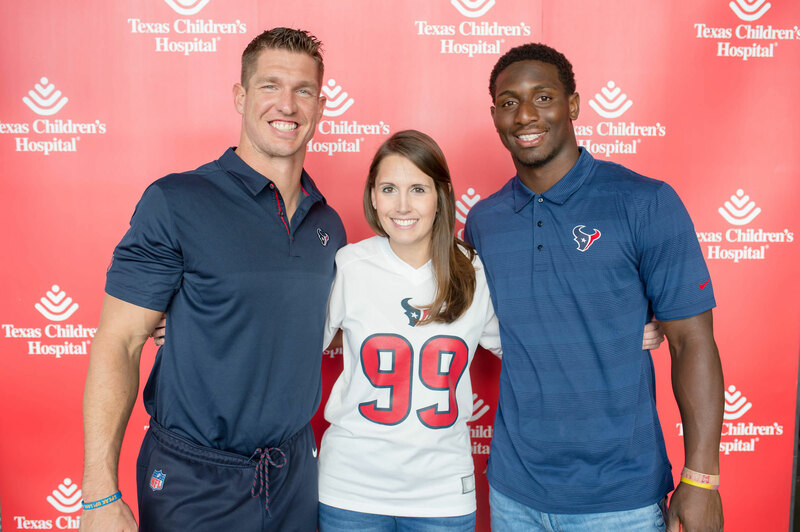 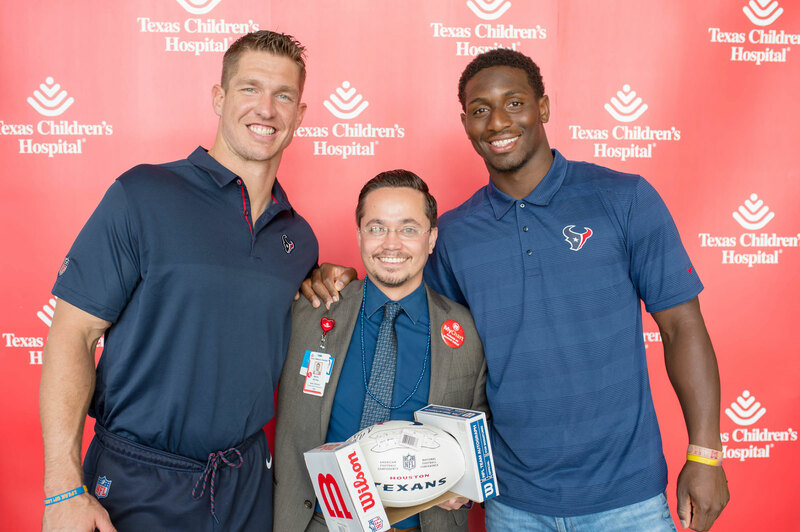 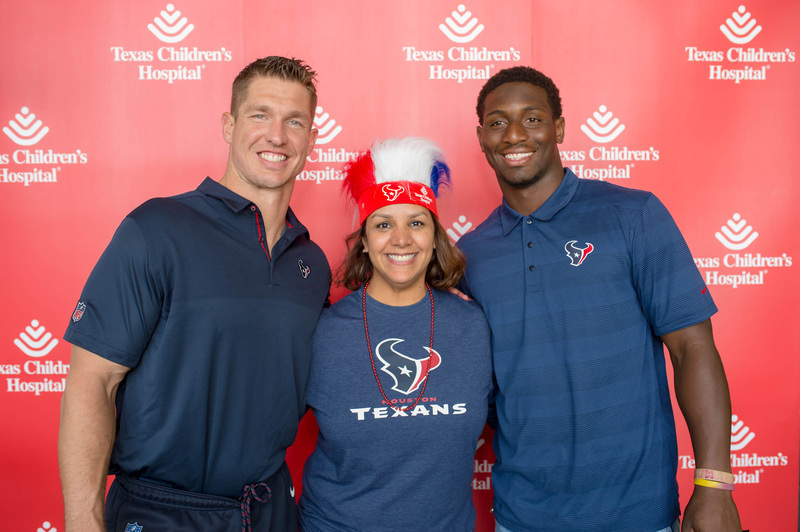 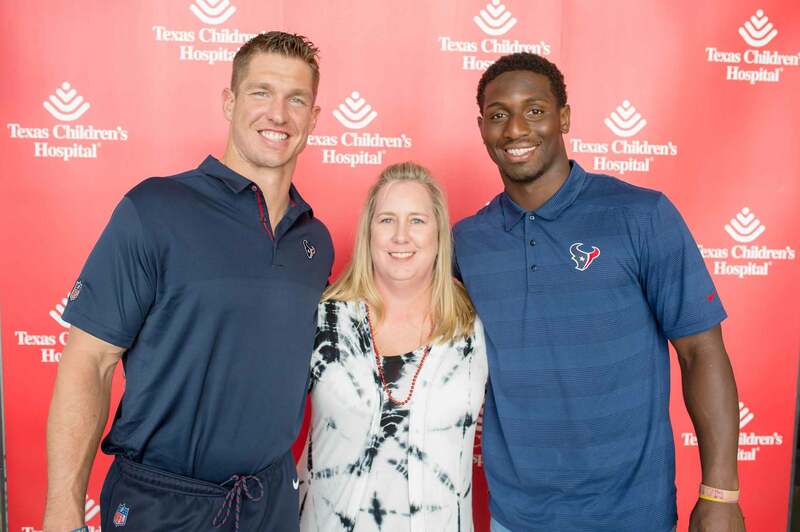 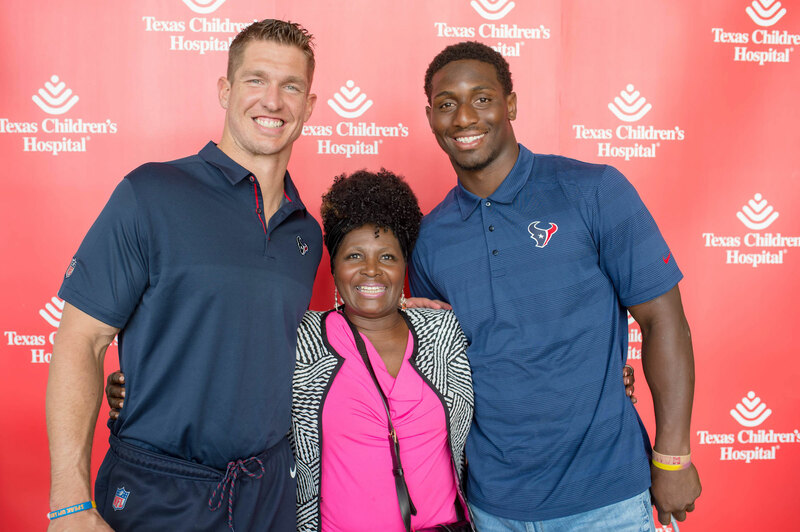 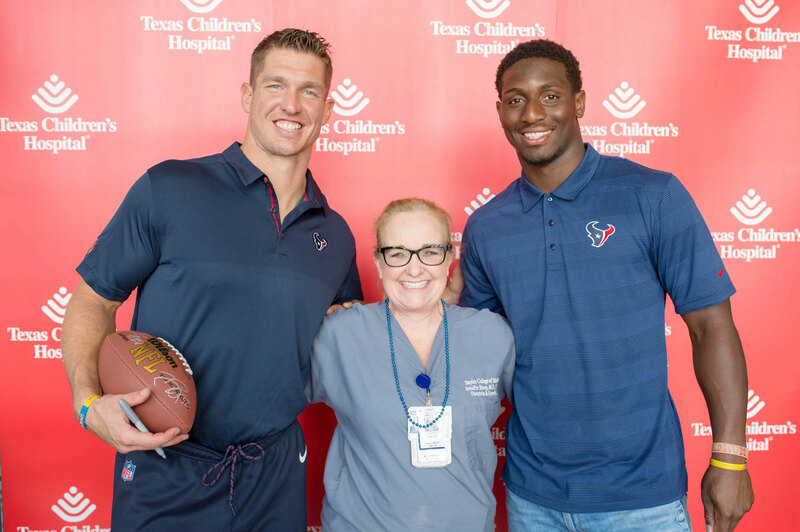 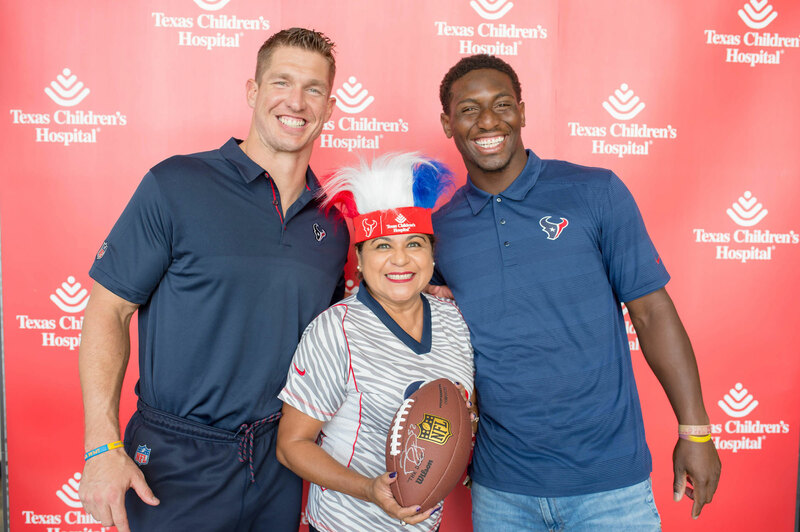 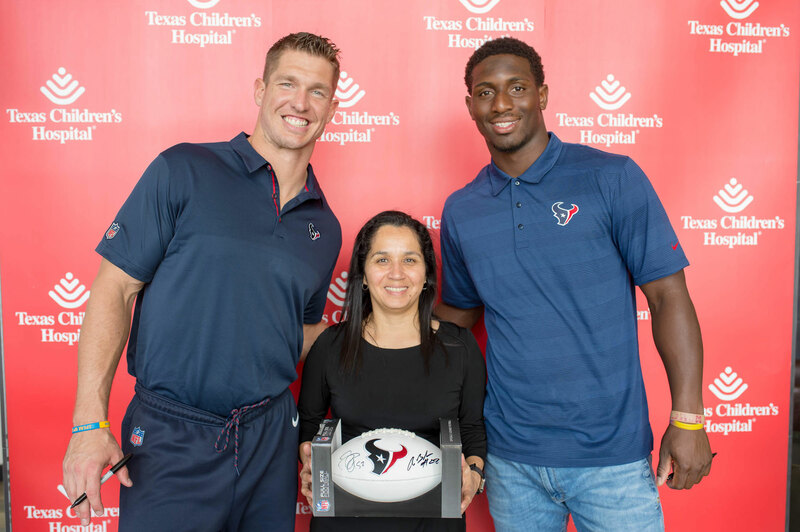 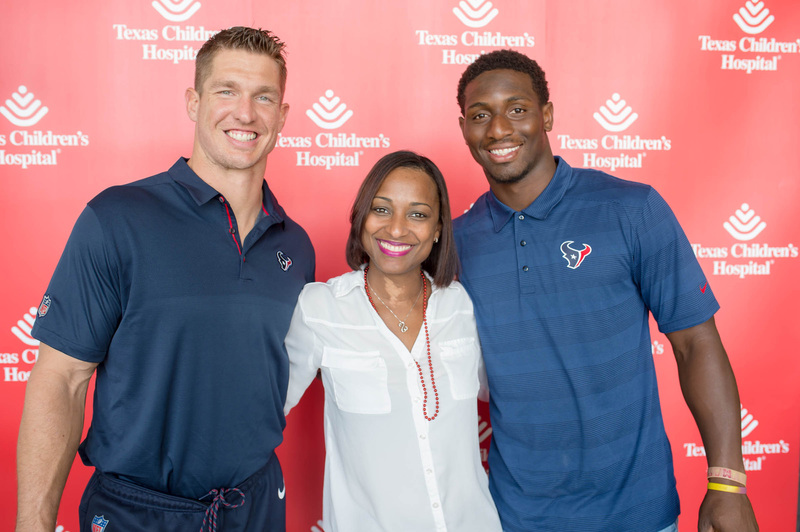 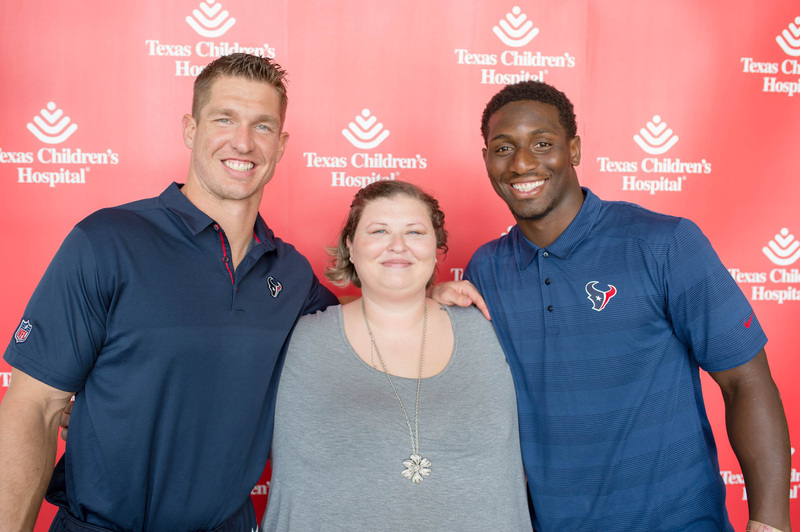 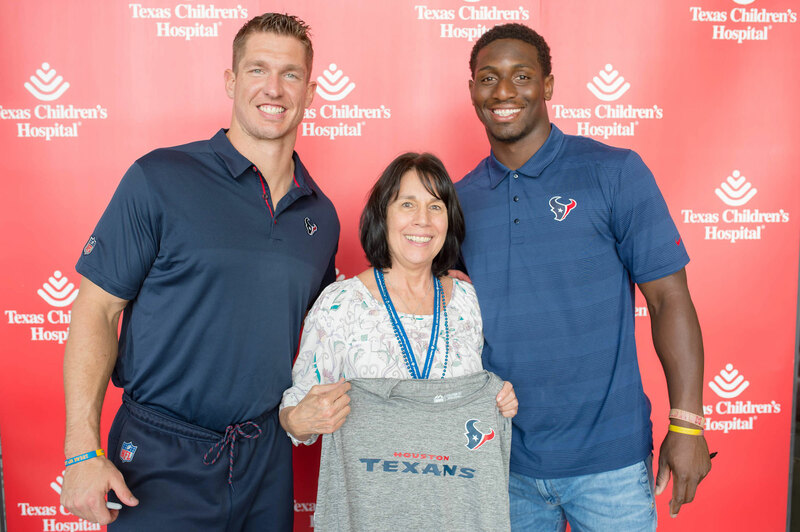 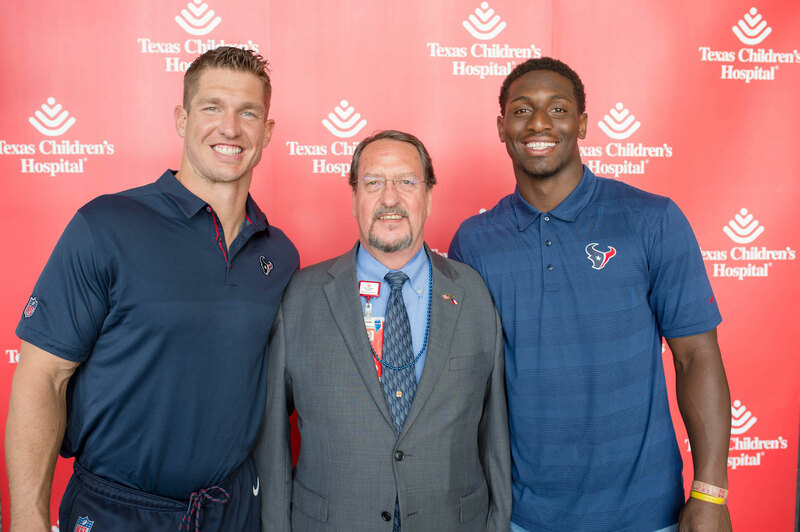 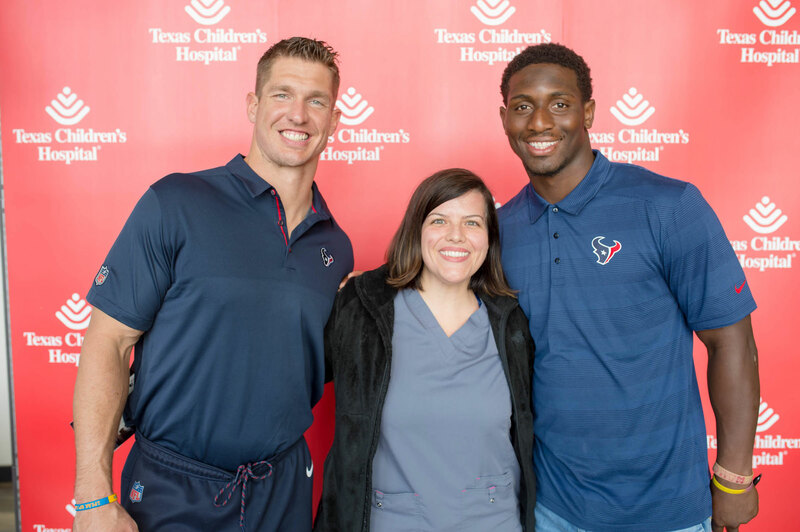 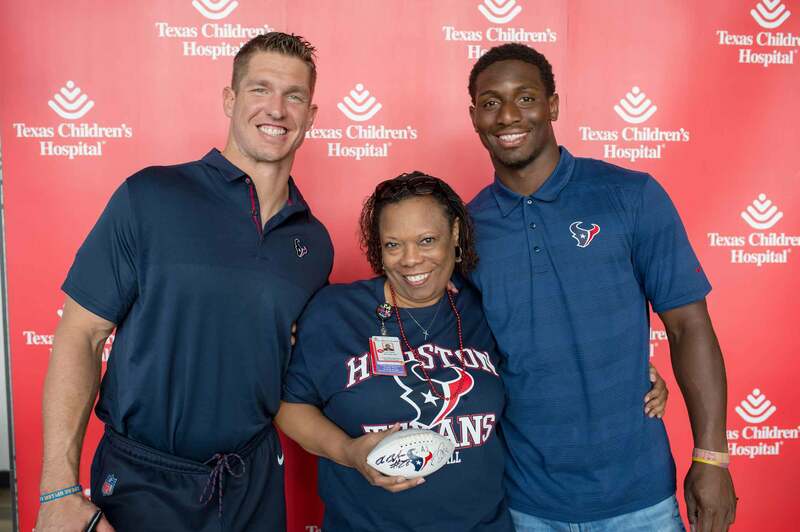 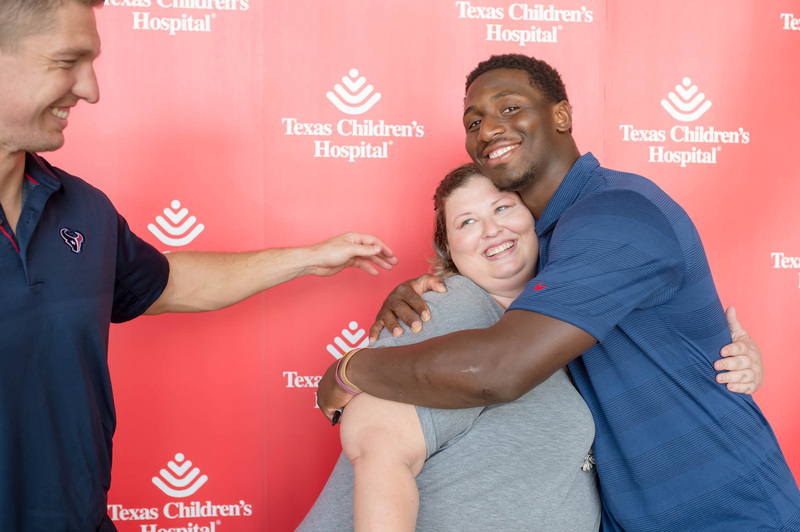 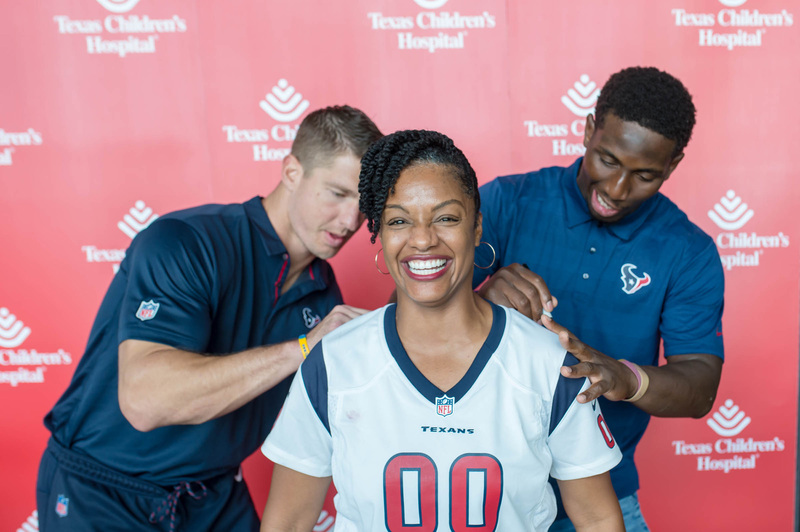 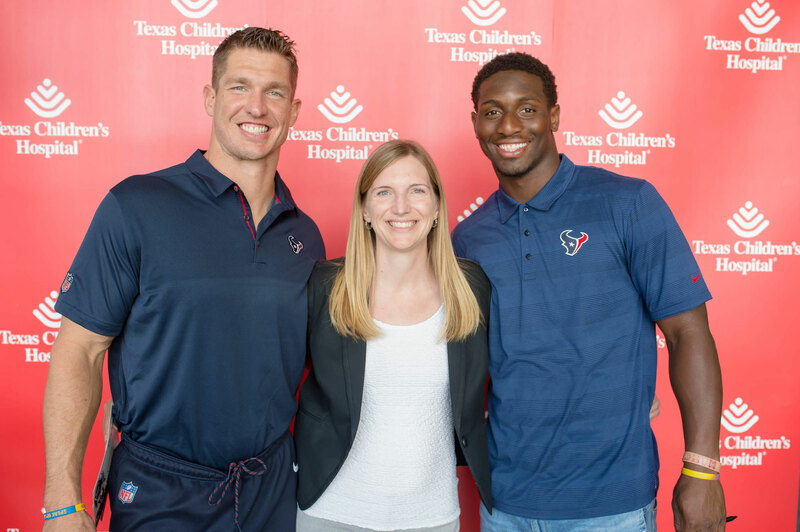 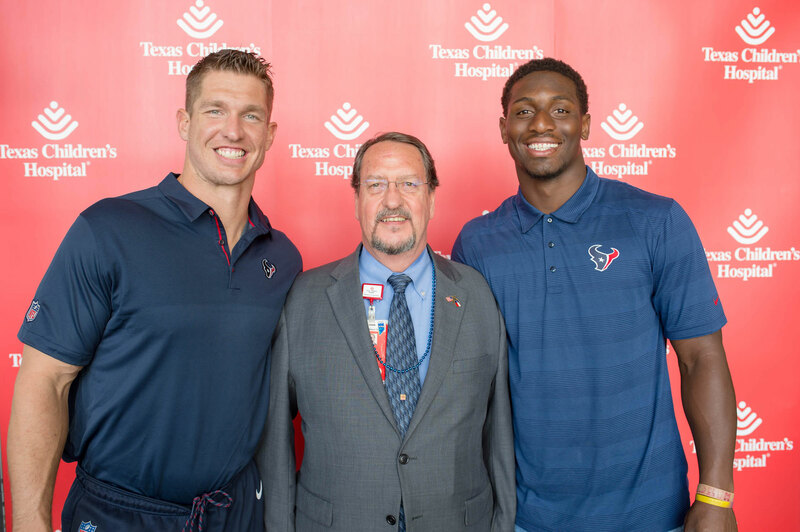 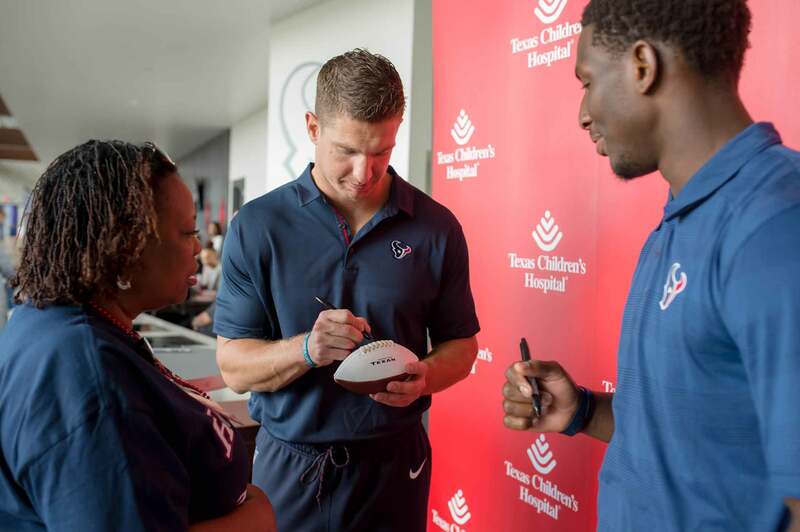 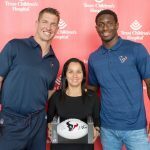 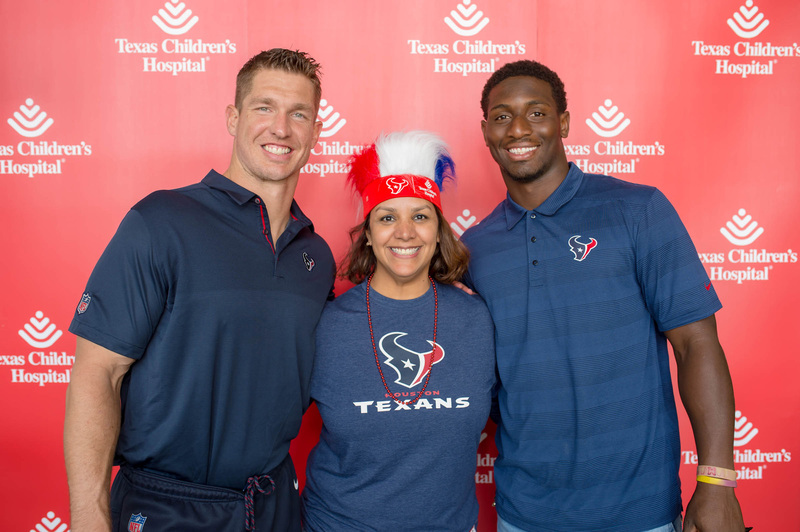 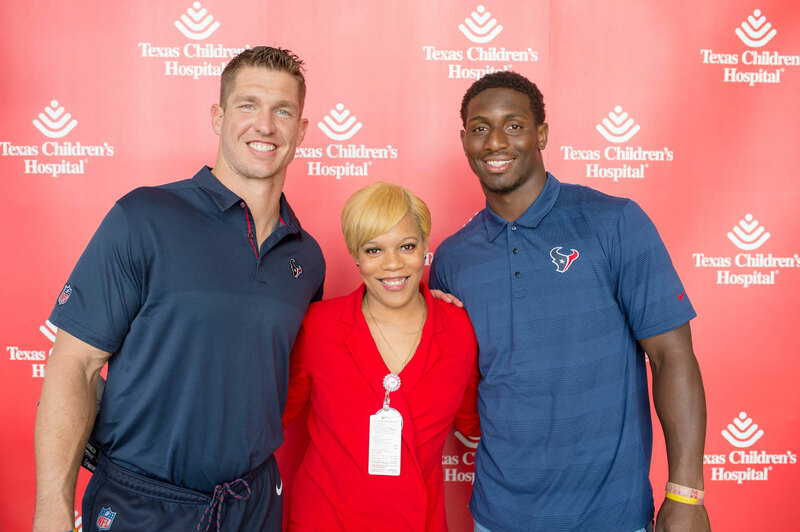 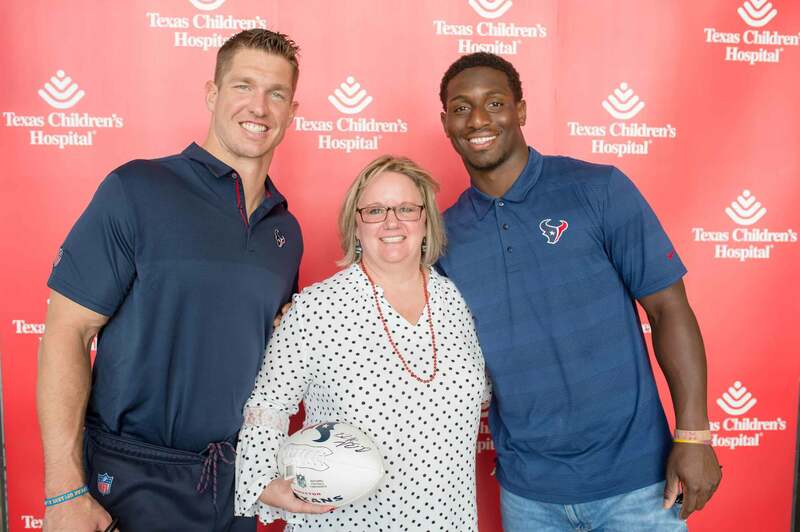 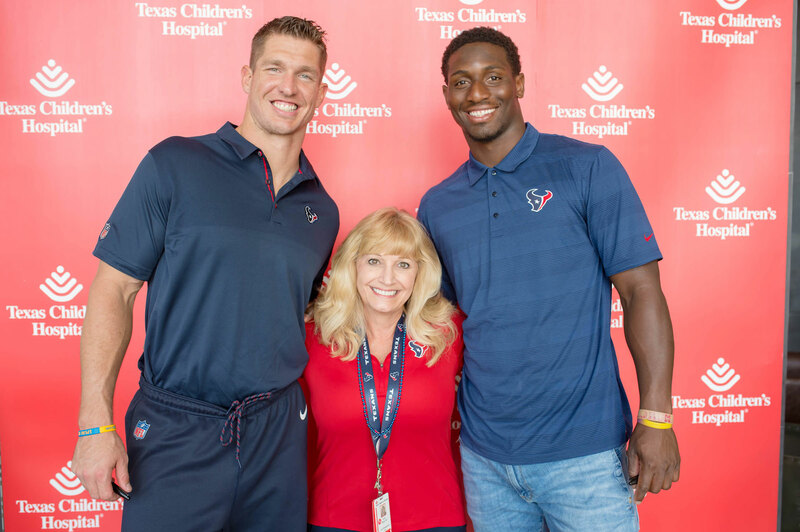 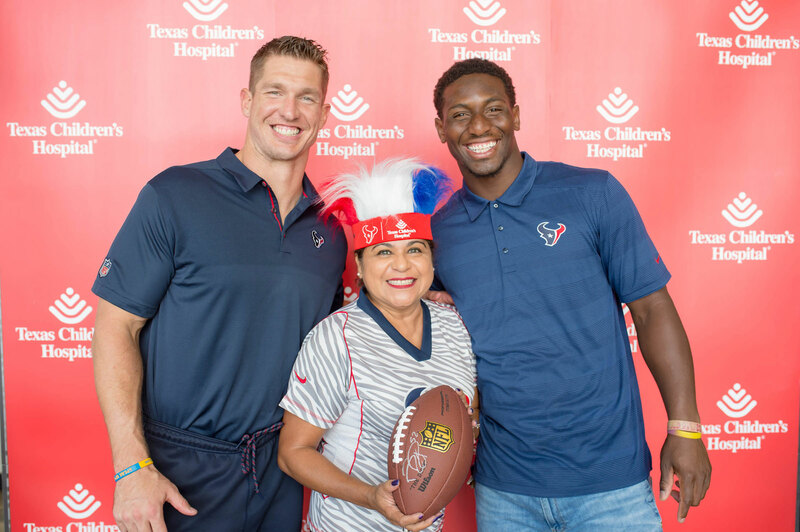 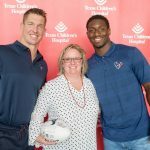 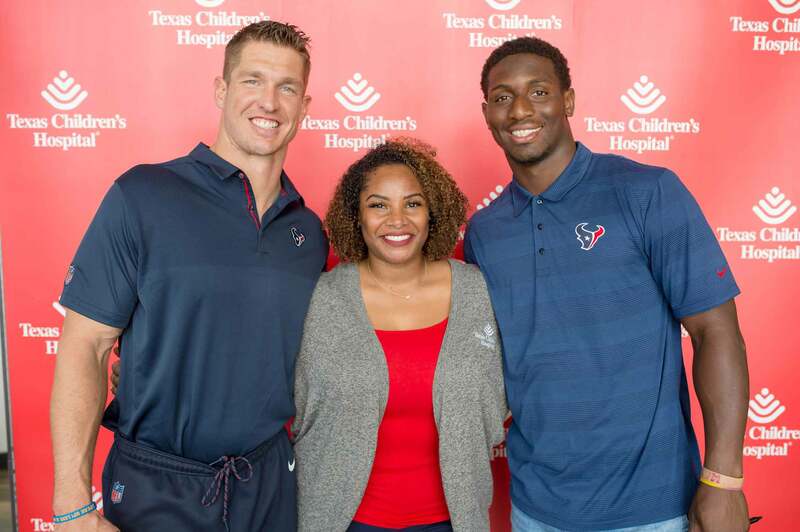 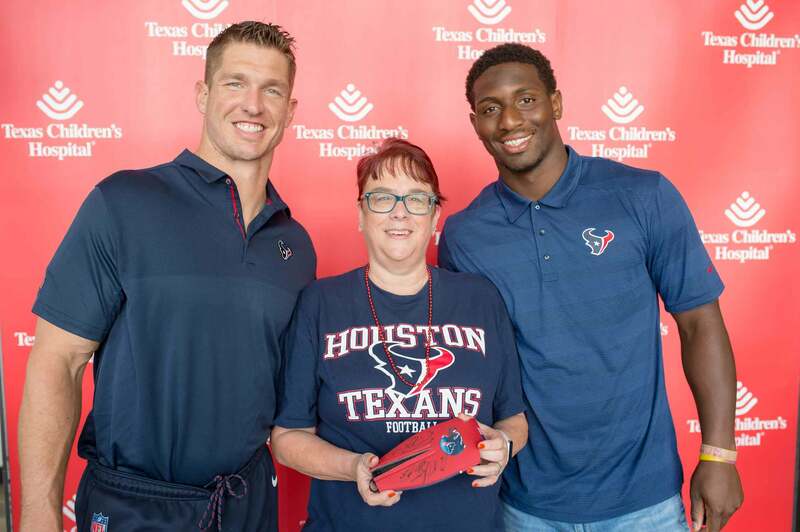 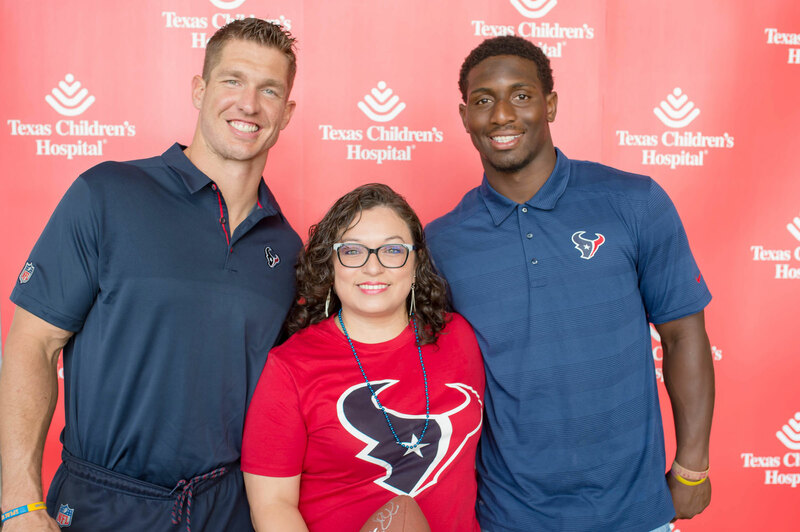 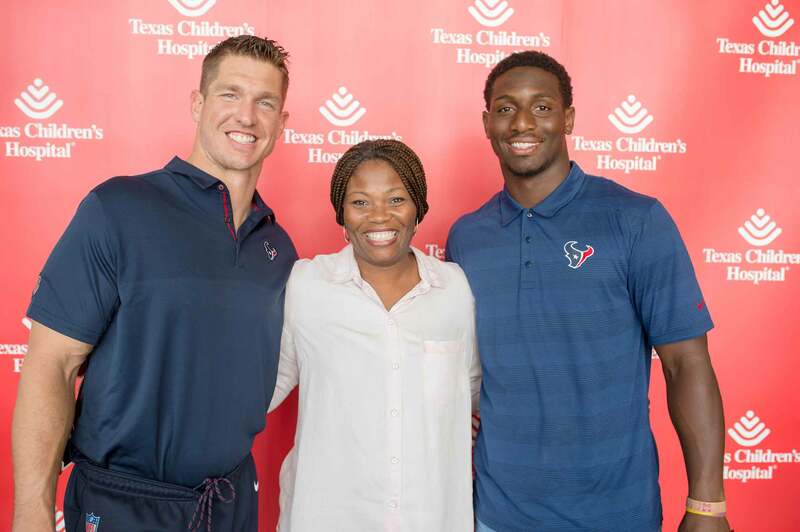 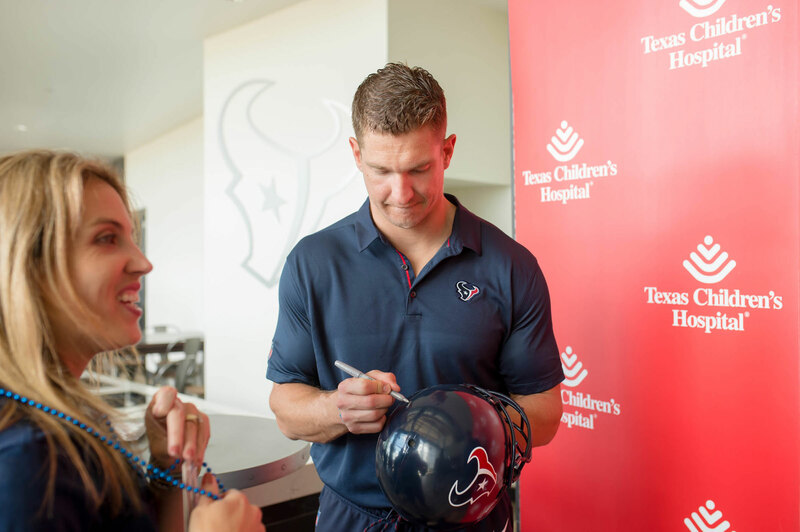 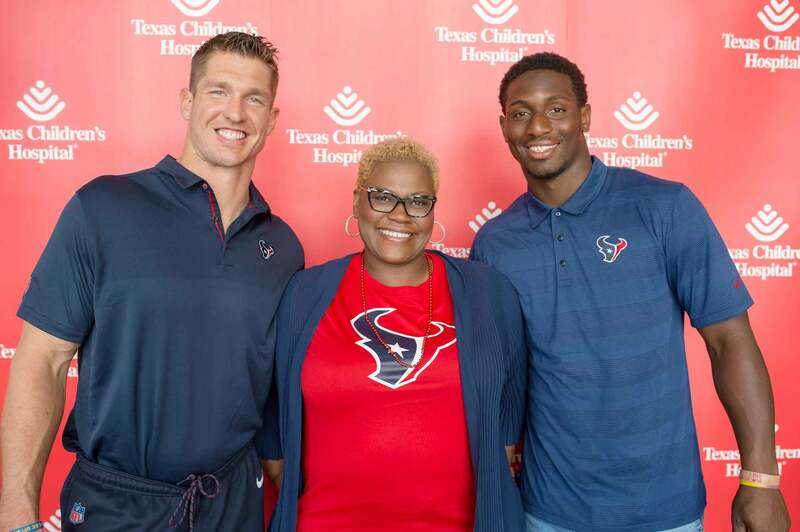 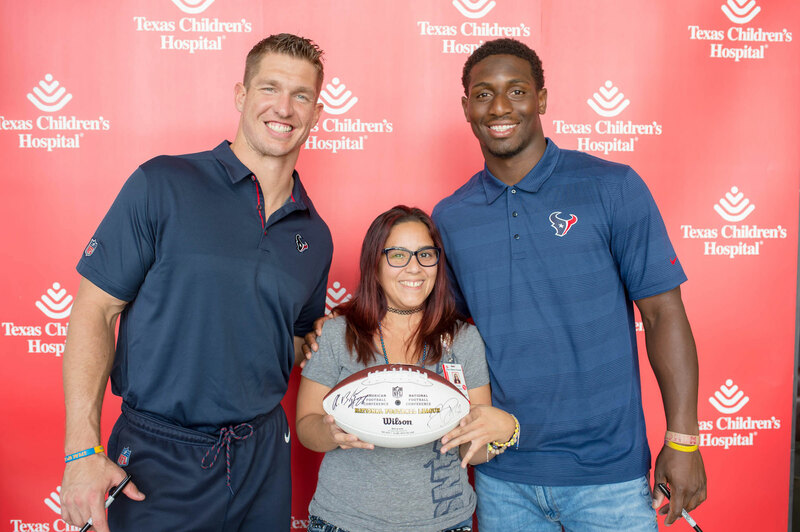 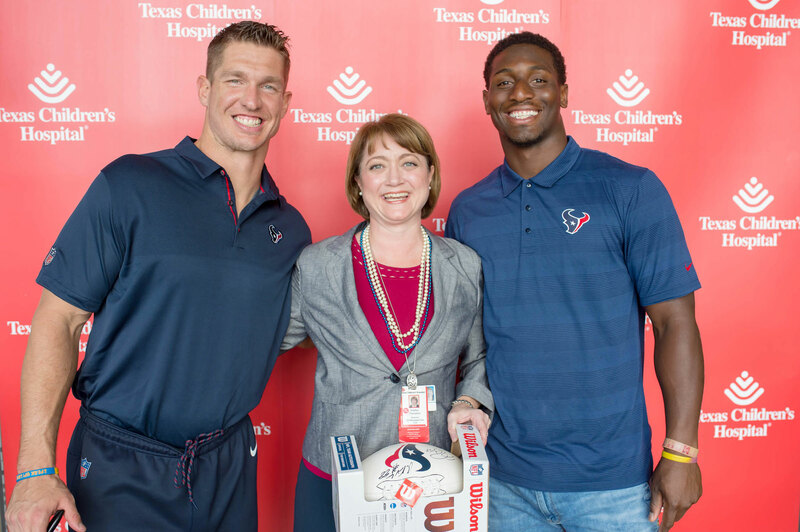 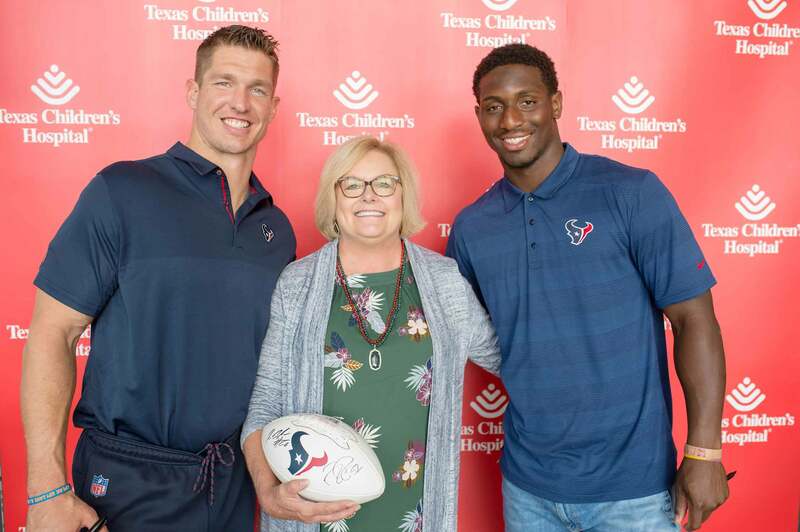 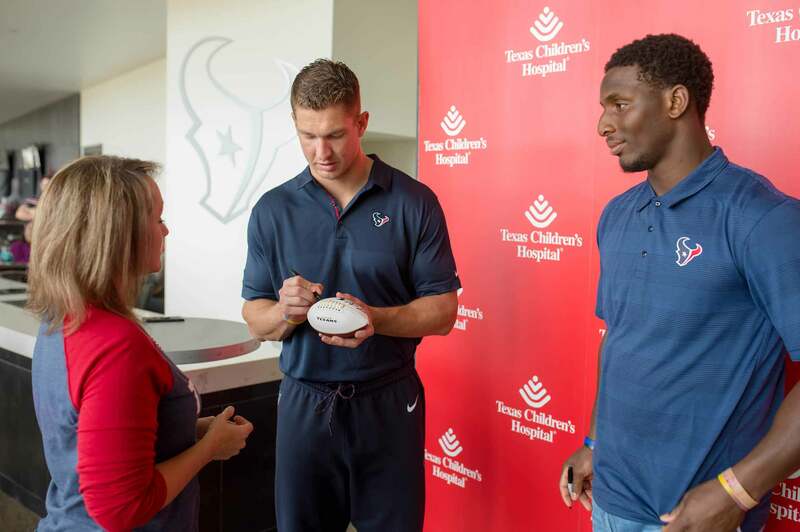 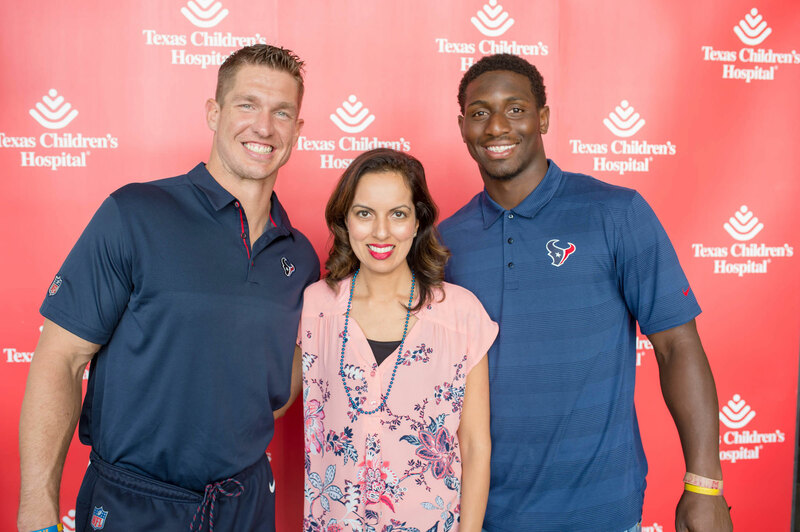 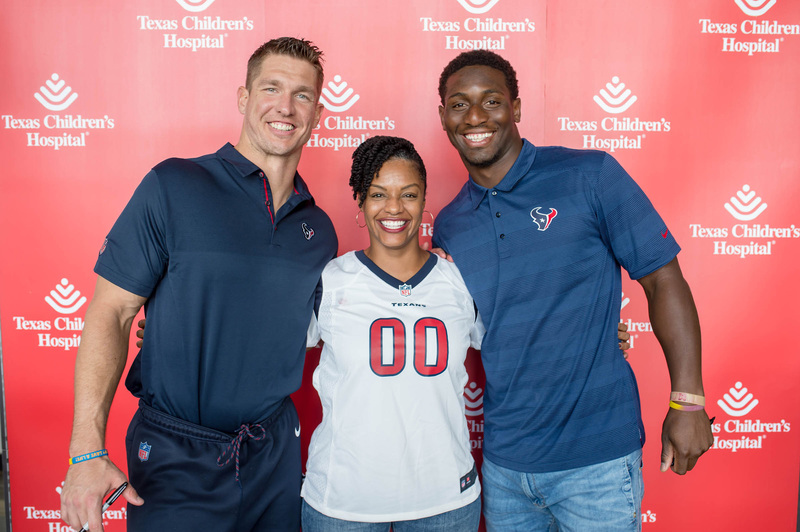 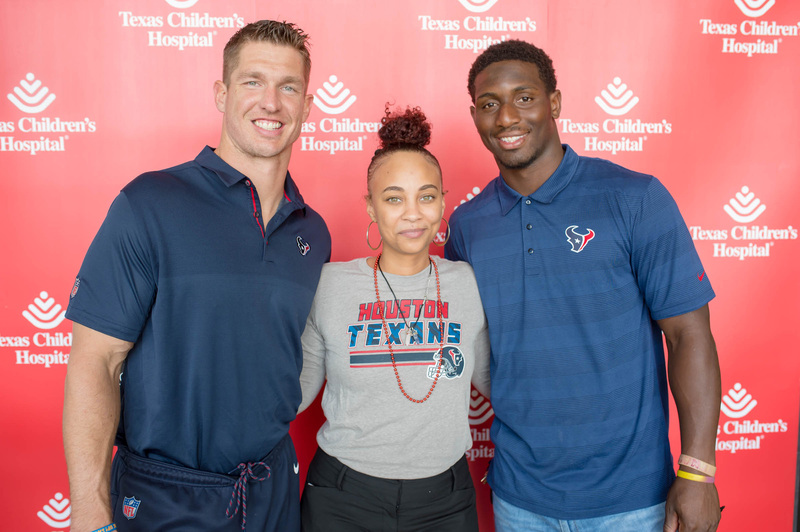 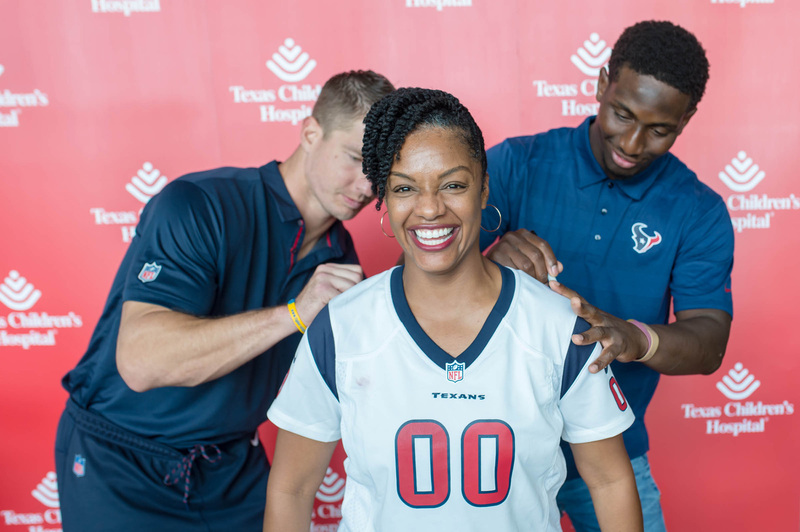 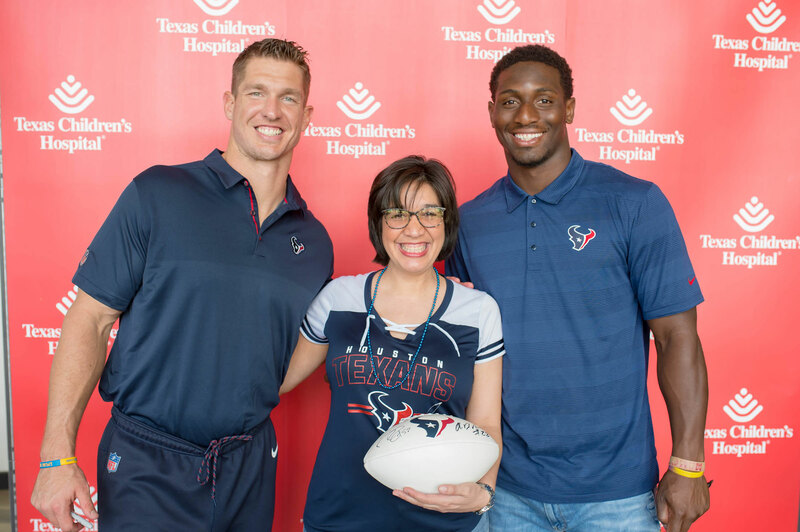 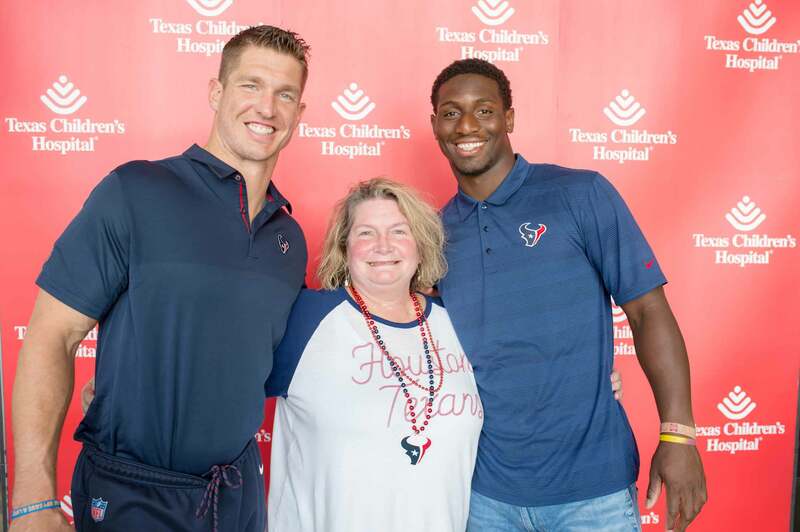 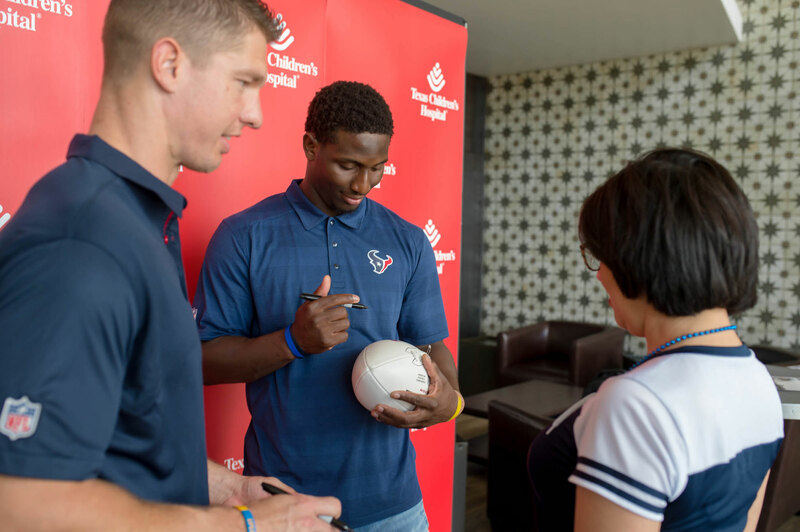 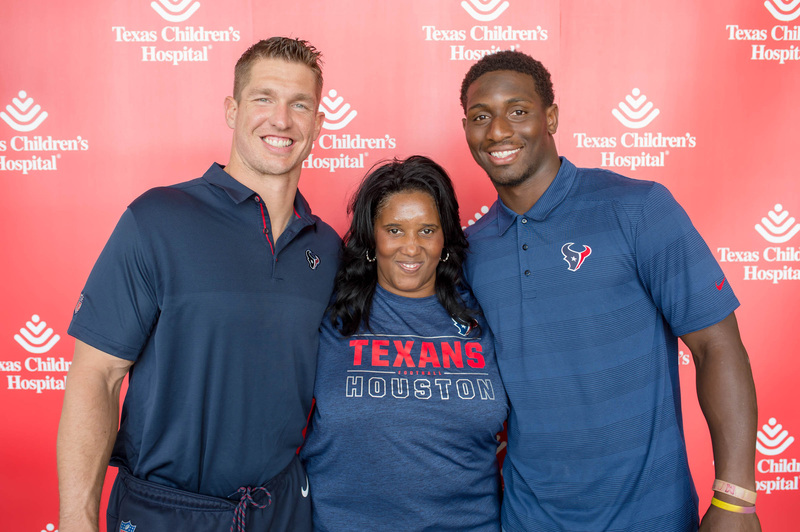 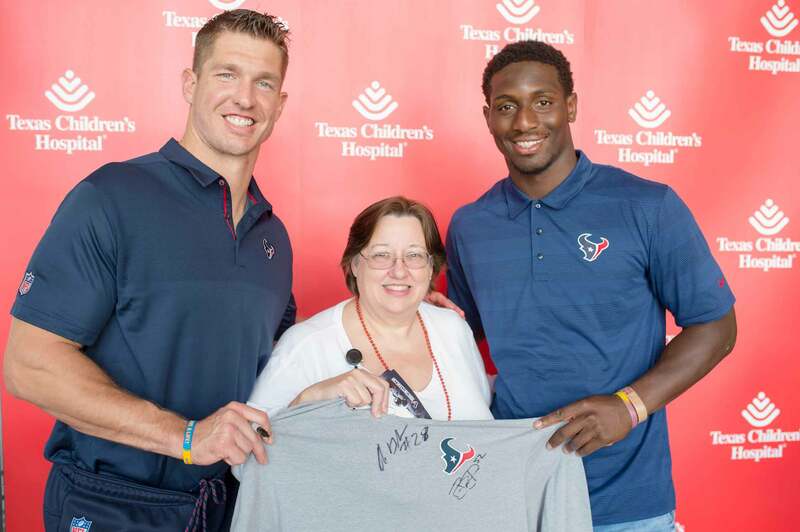 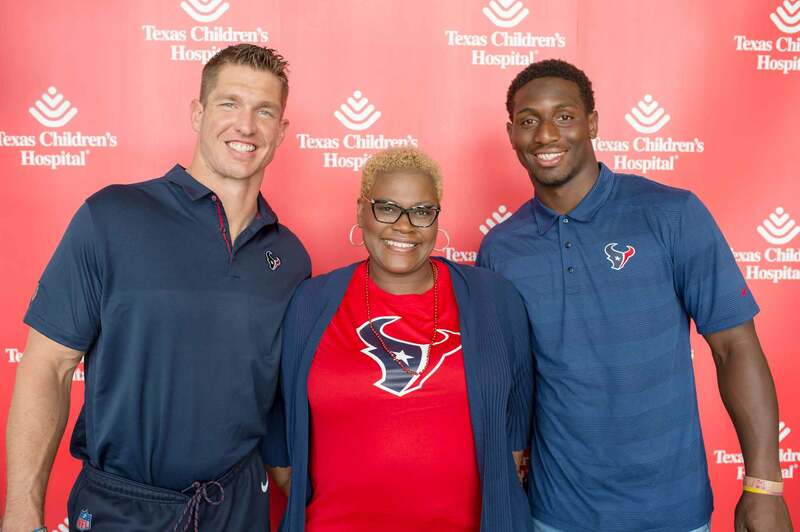 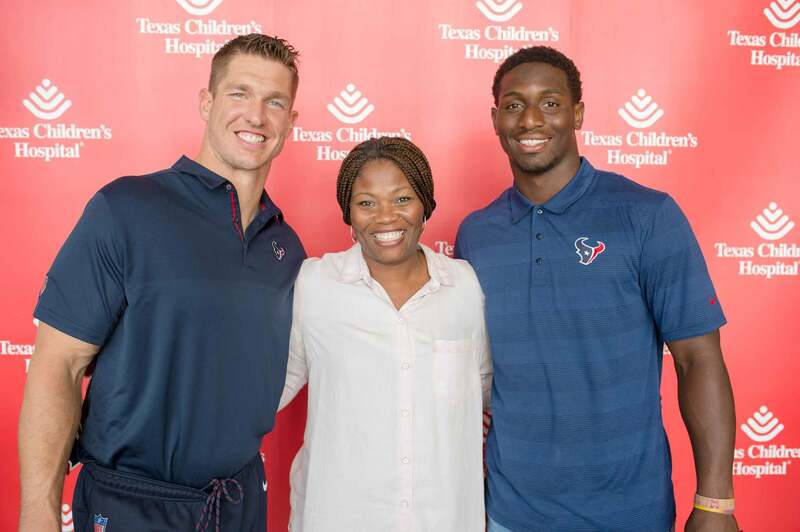 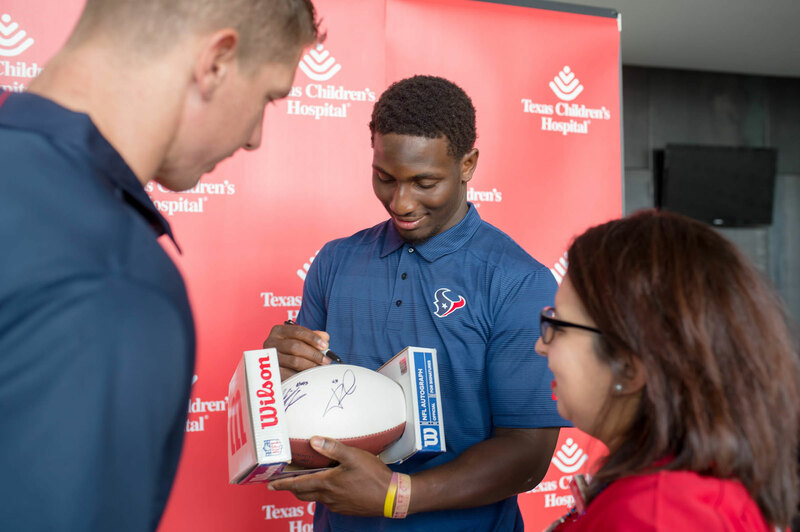 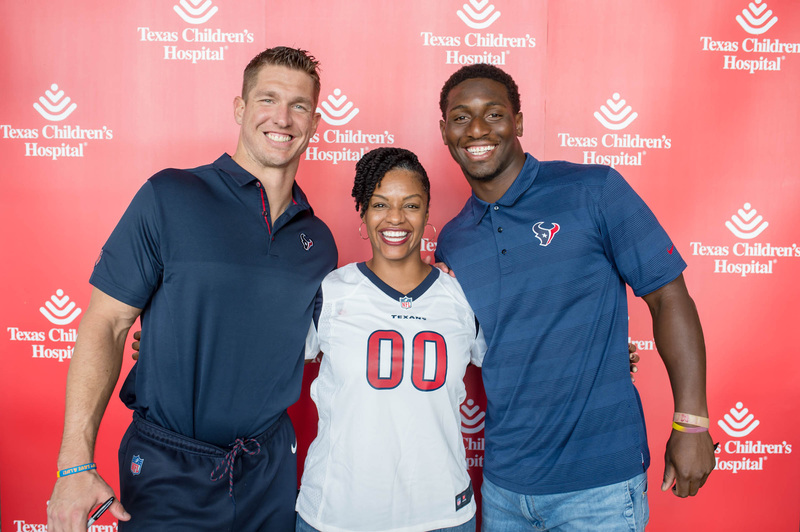 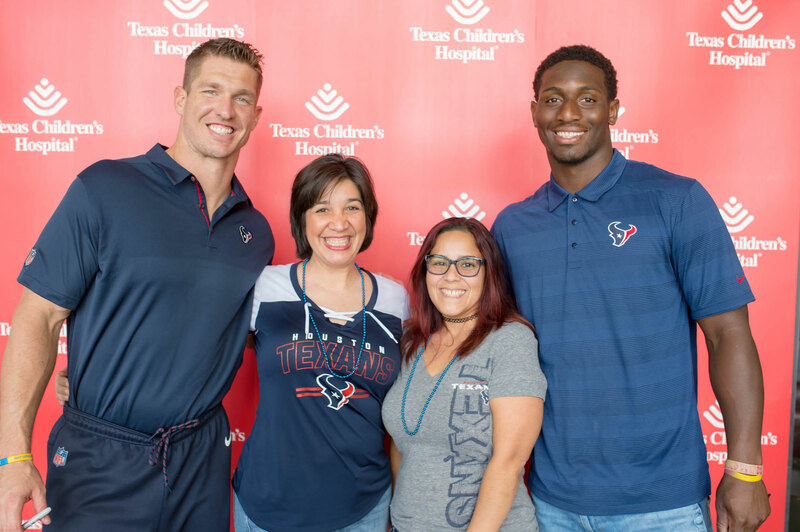 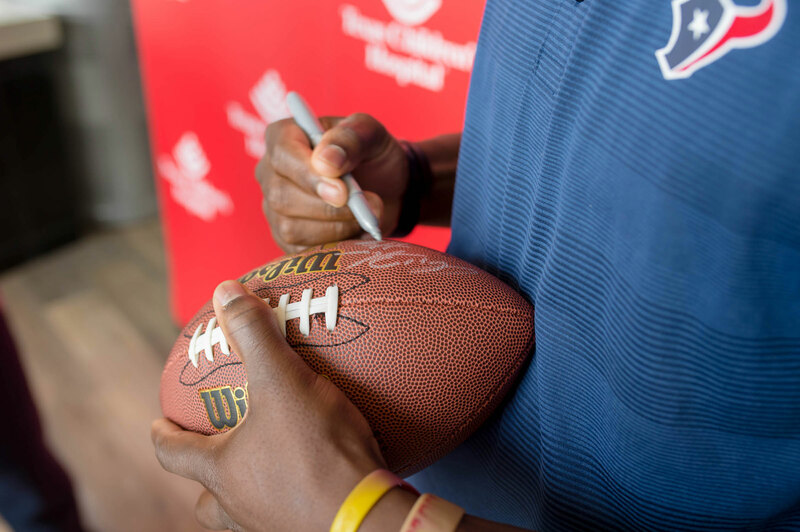 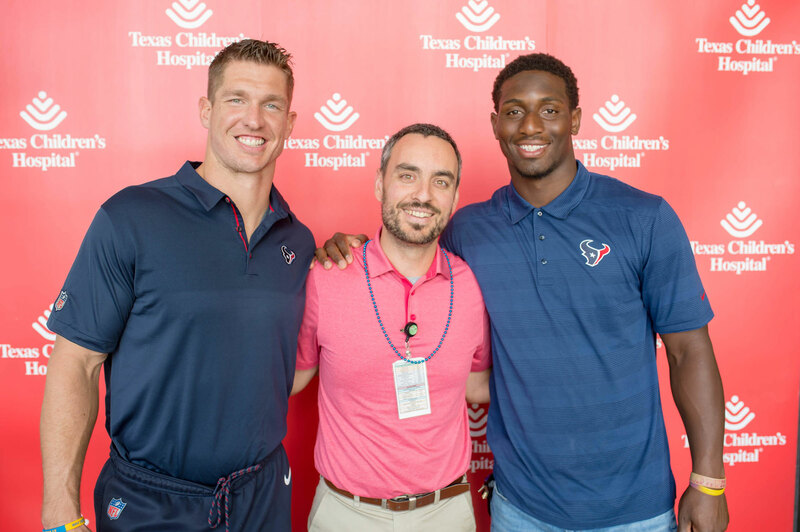 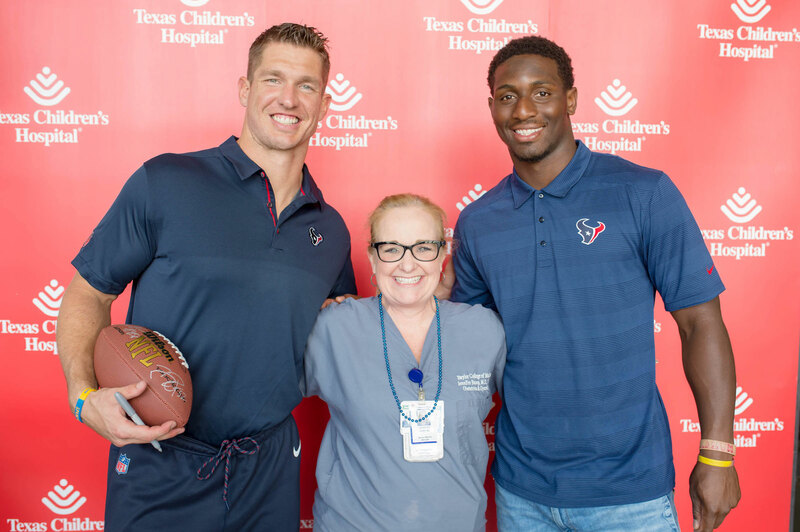 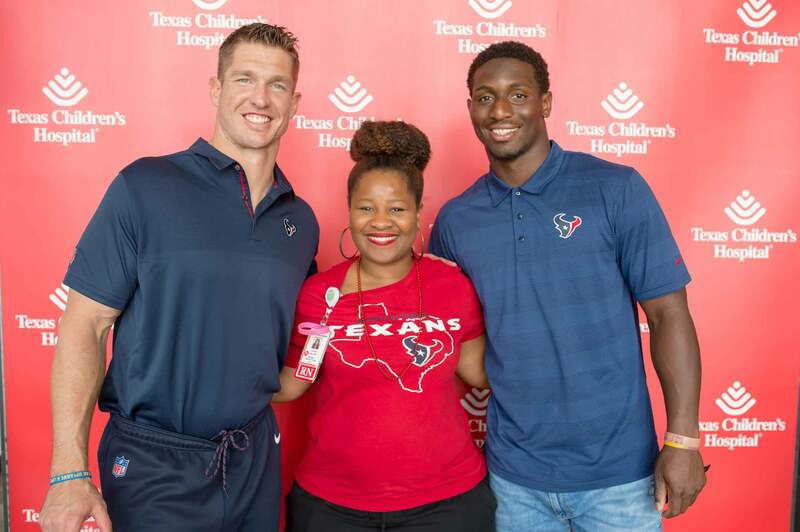 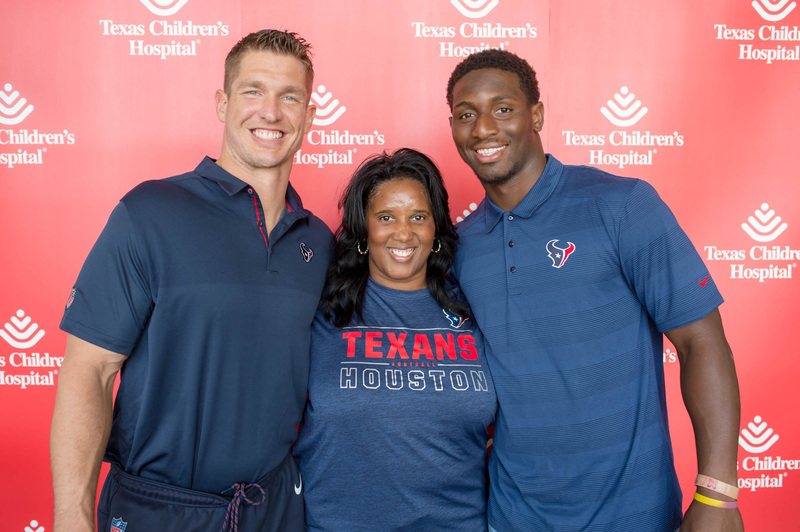 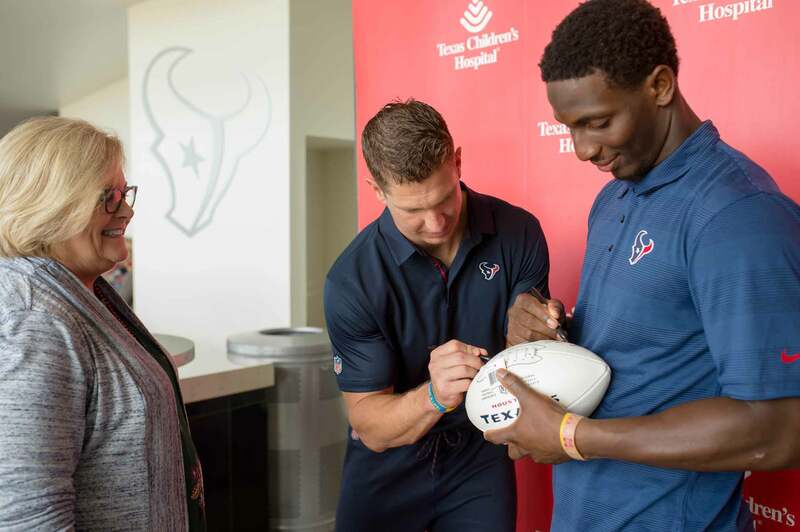 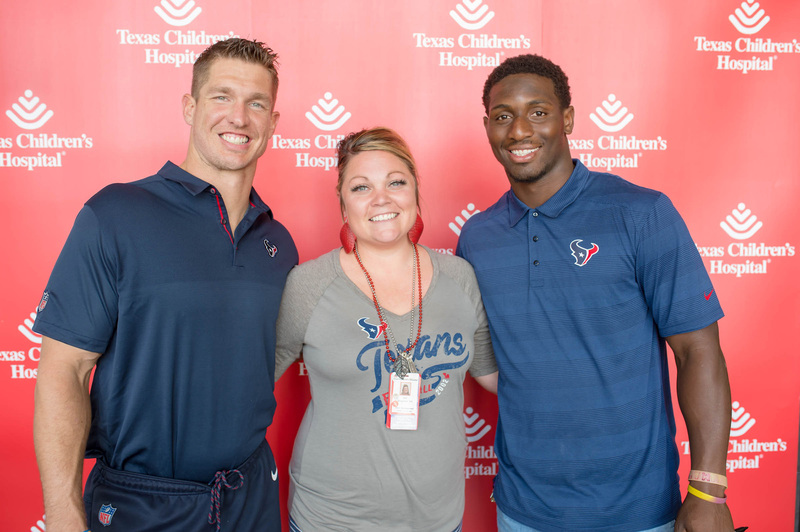 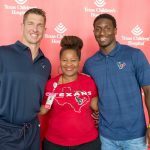 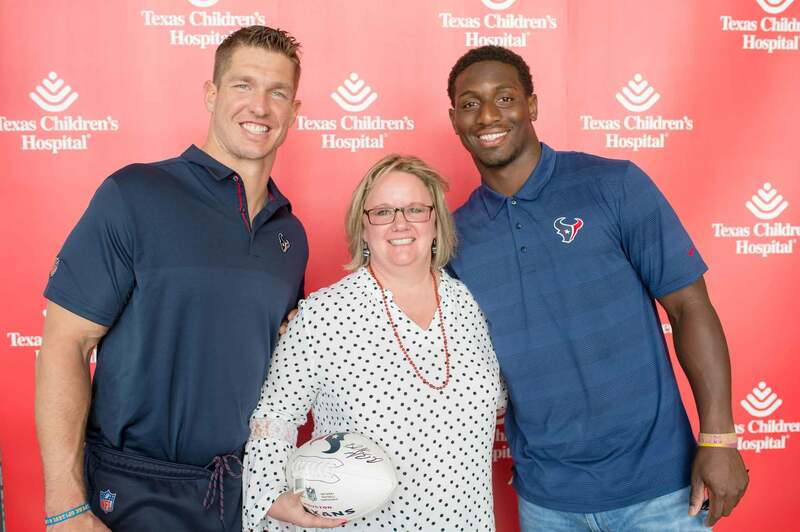 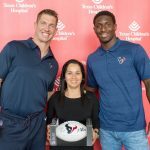 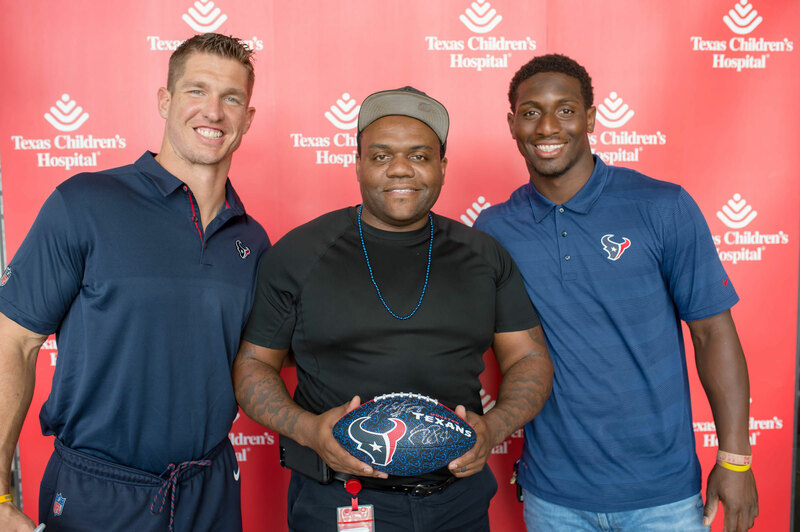 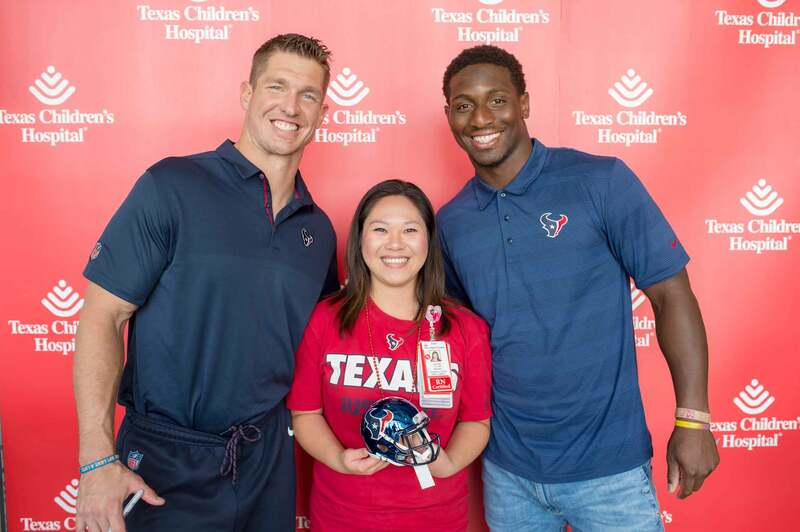 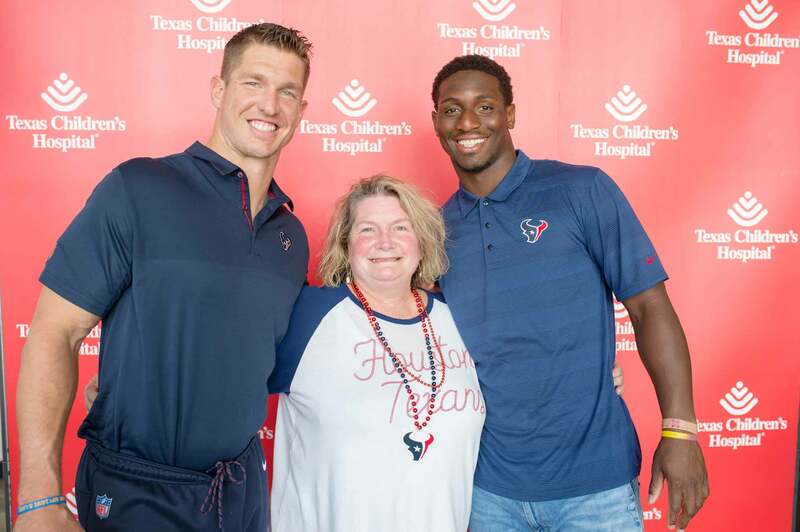 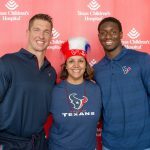 We hope everyone had a good time and learned more about Texas Children’s partnership with our hometown NFL football team. 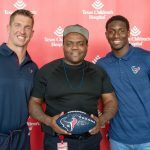 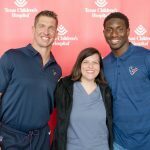 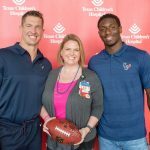 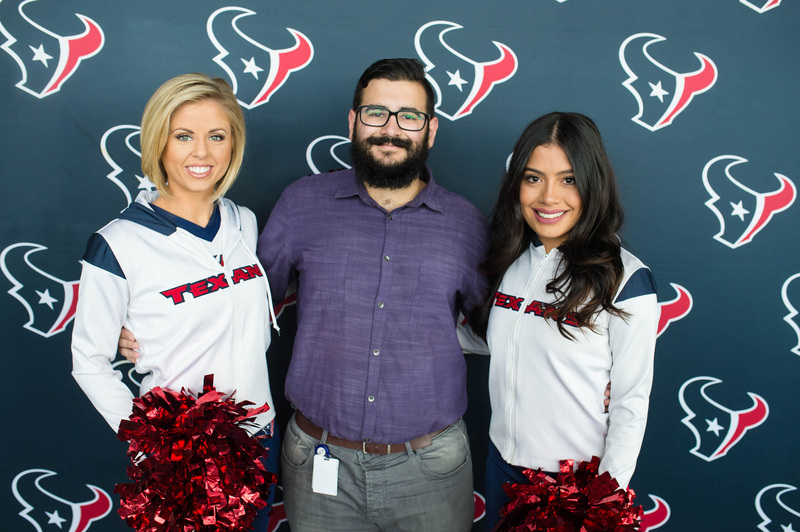 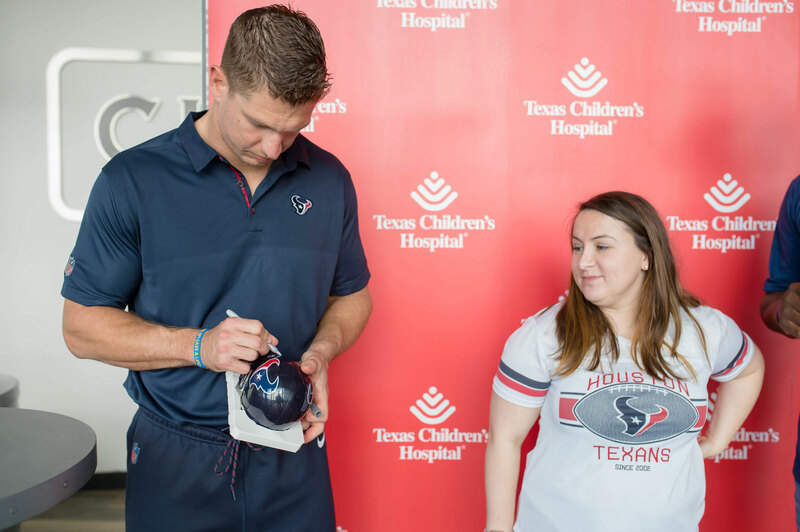 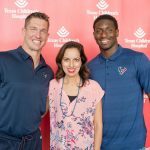 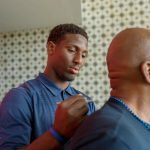 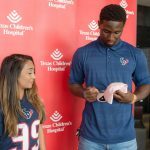 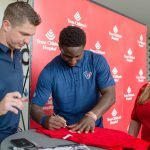 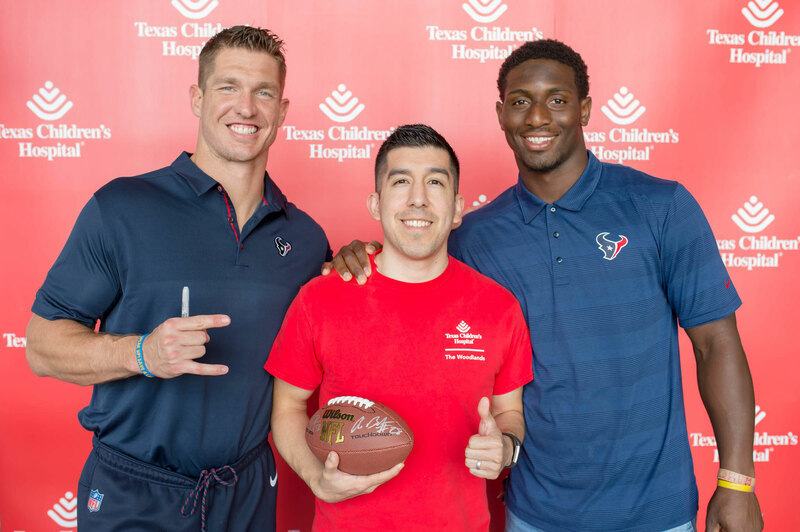 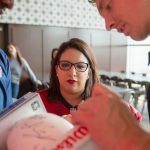 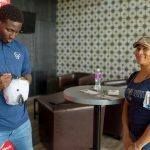 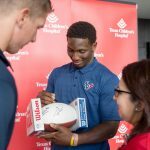 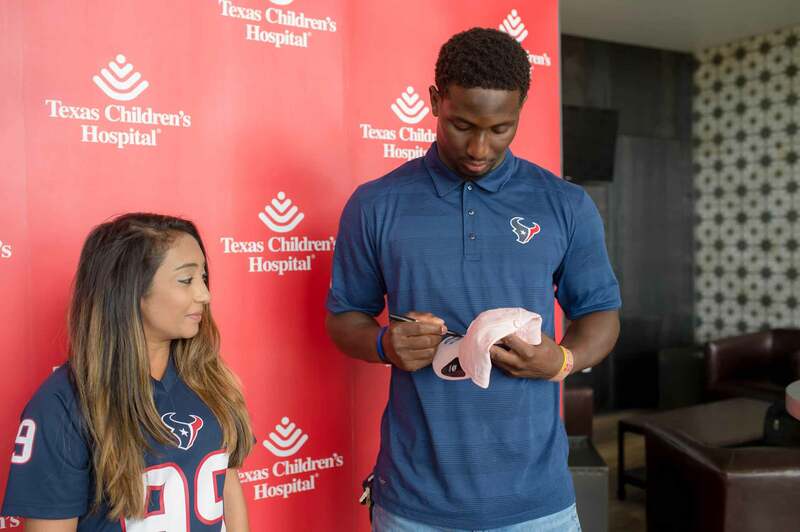 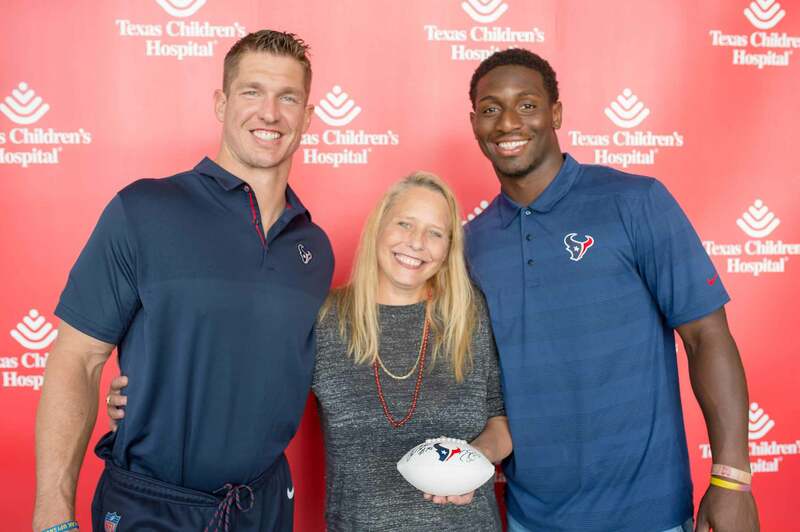 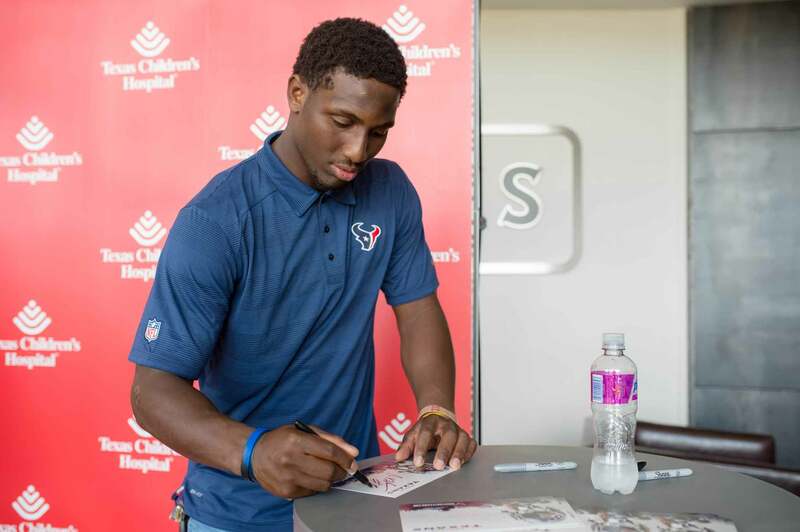 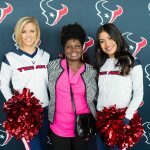 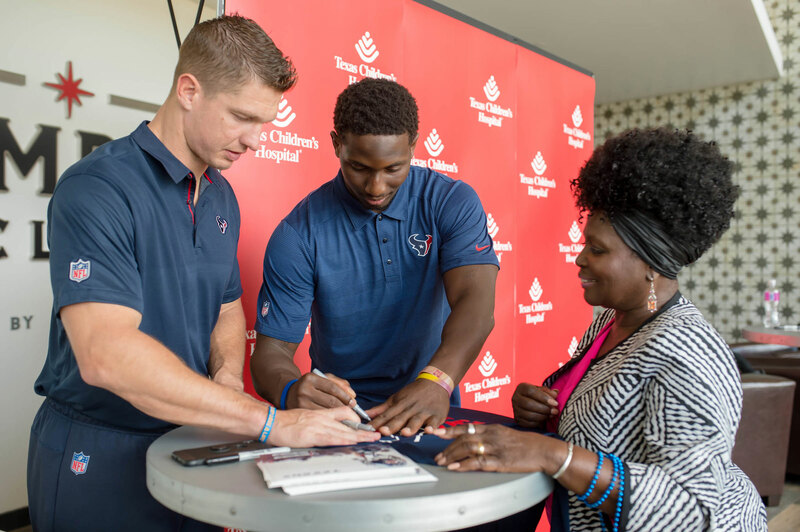 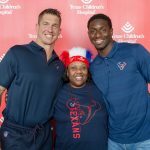 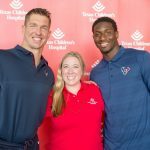 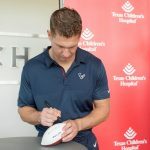 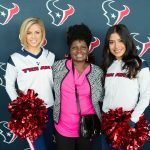 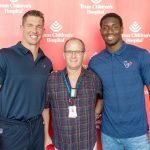 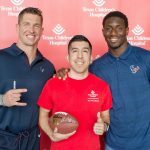 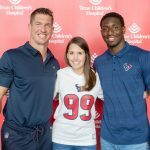 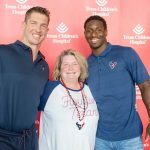 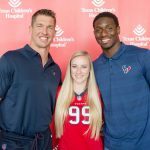 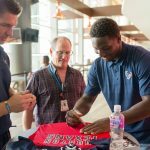 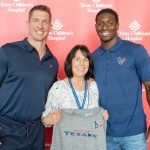 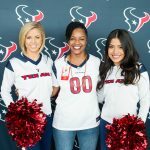 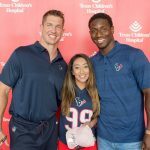 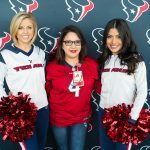 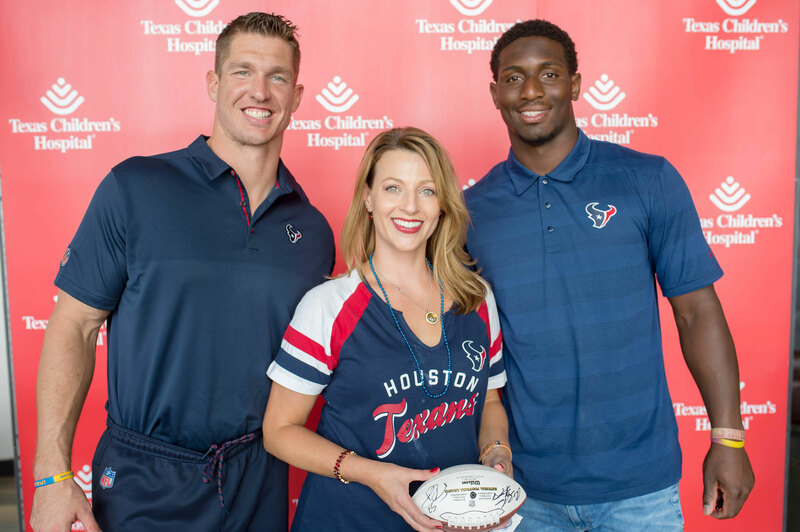 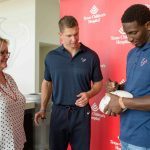 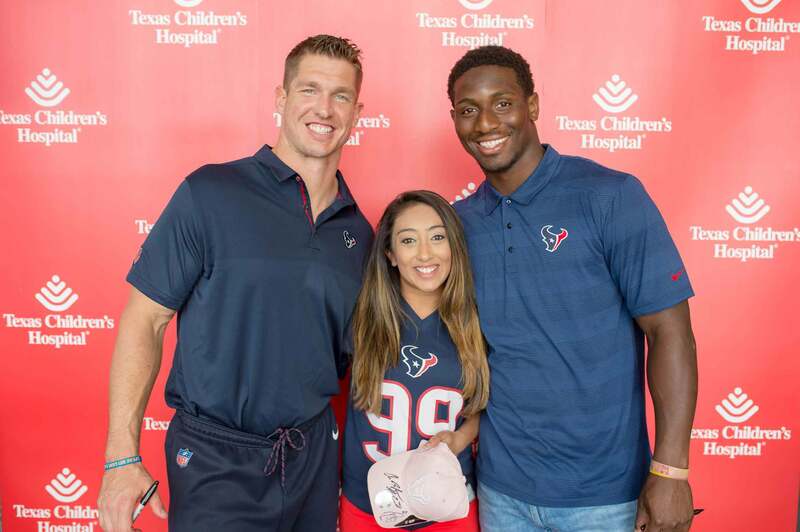 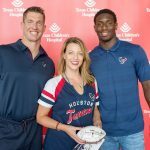 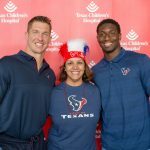 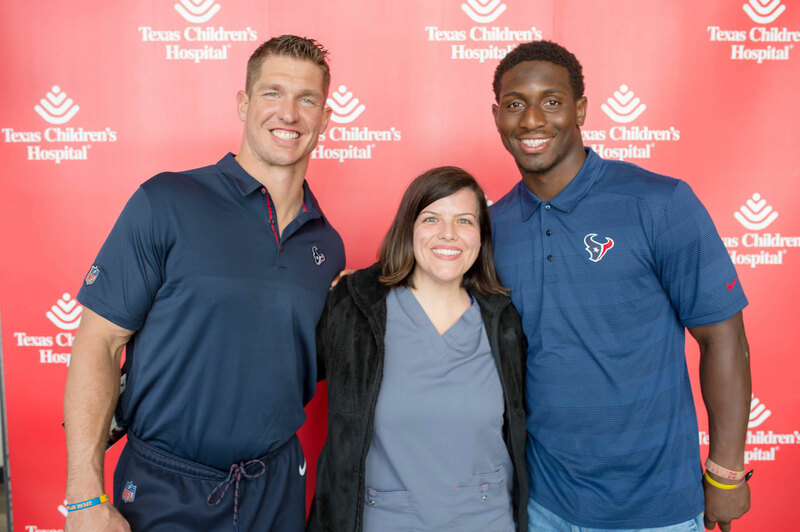 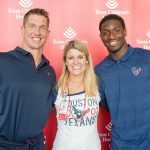 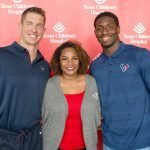 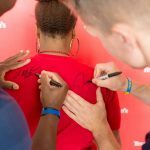 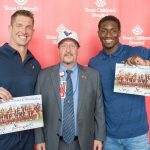 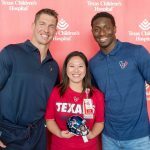 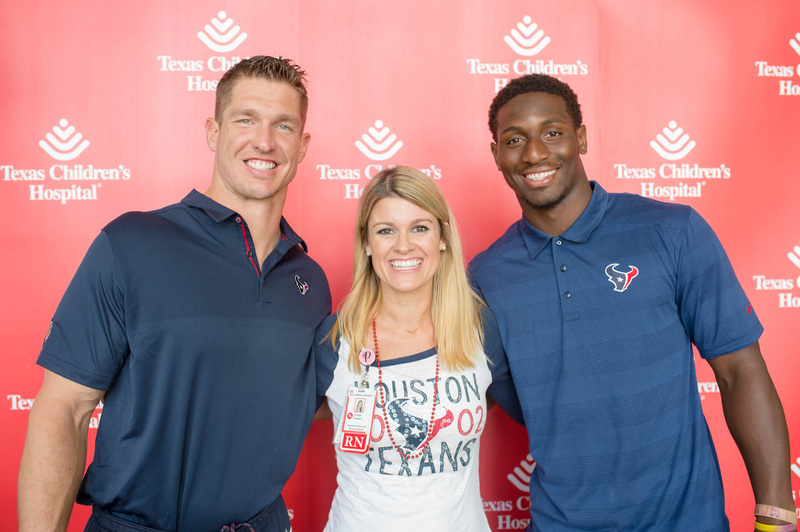 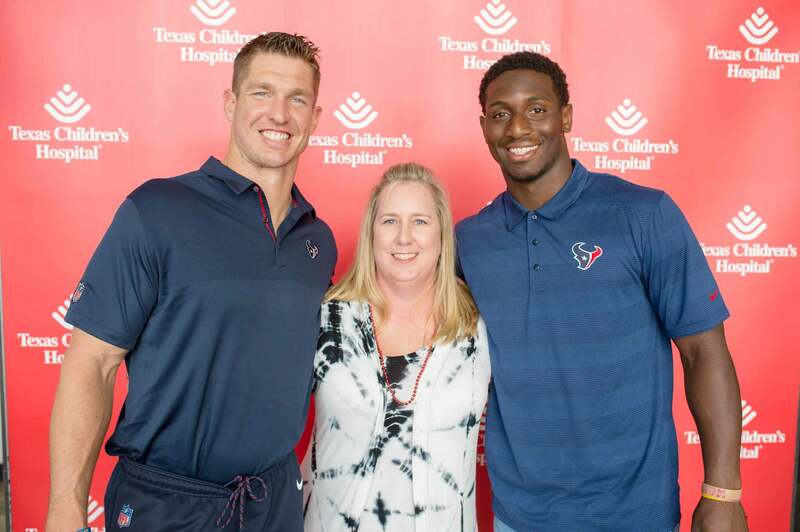 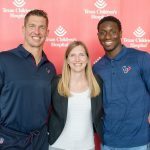 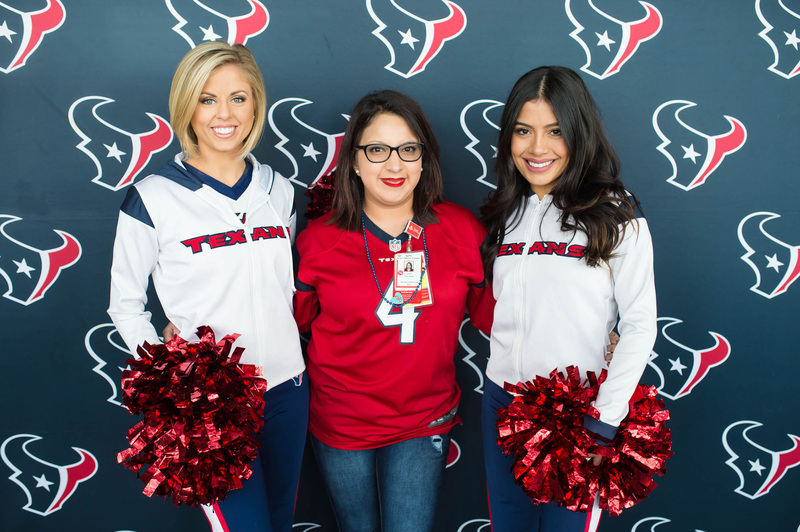 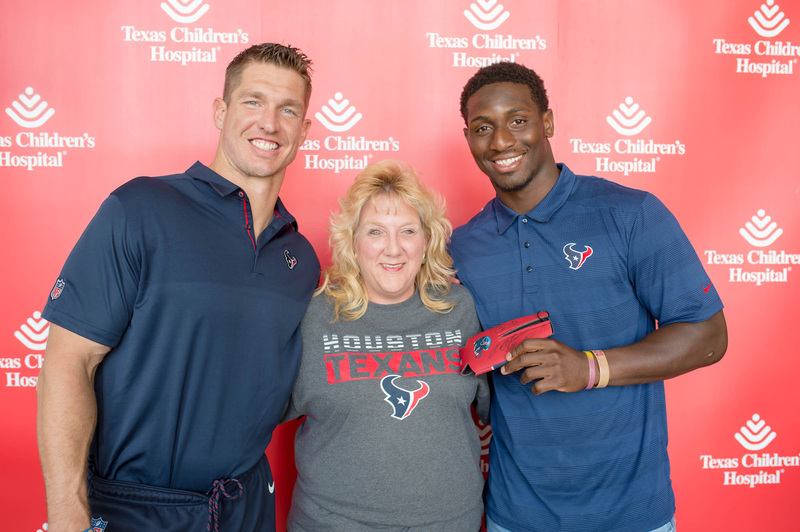 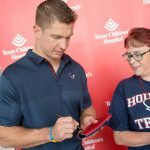 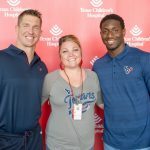 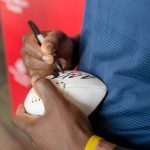 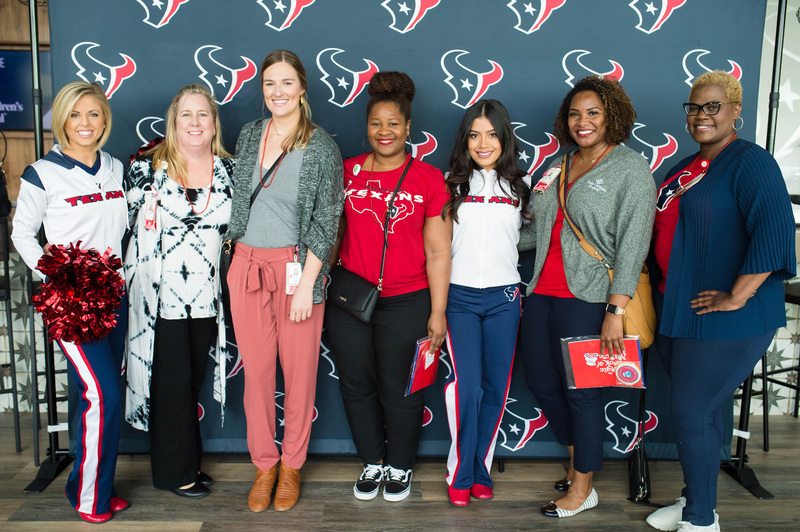 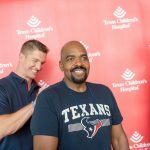 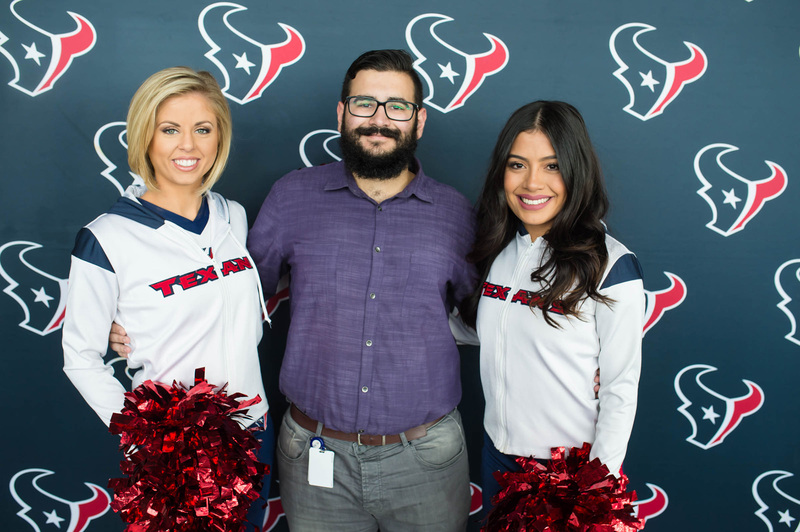 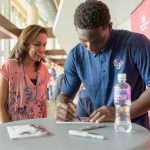 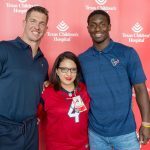 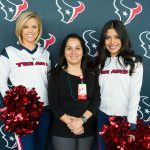 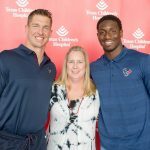 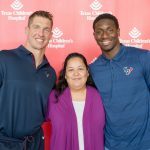 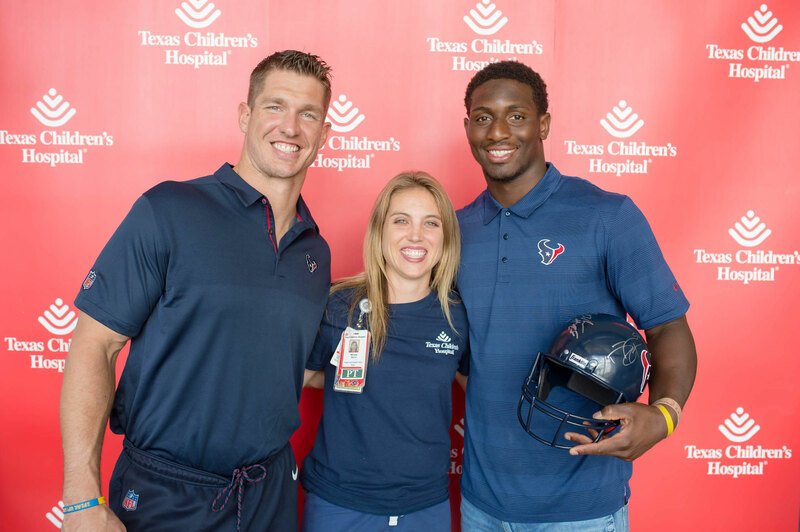 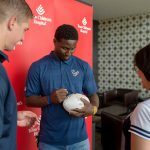 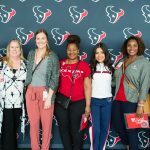 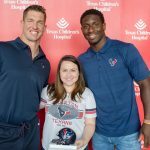 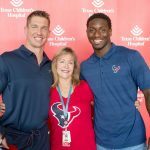 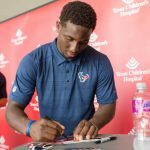 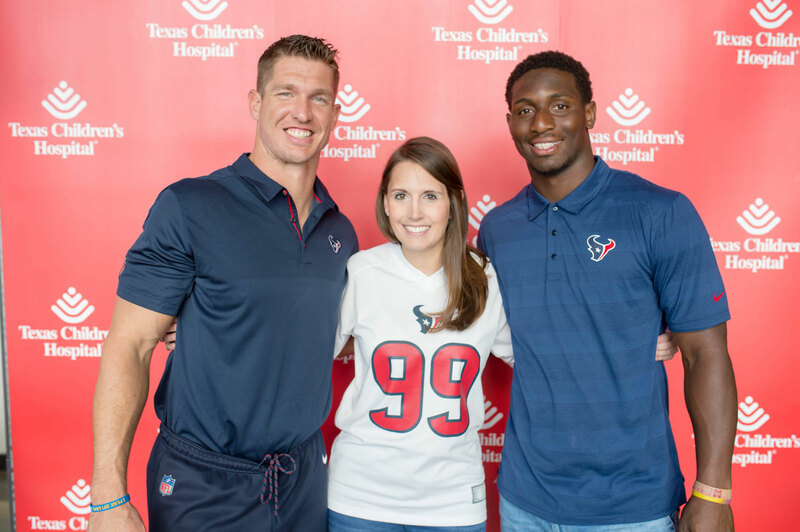 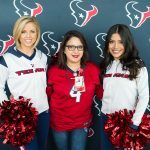 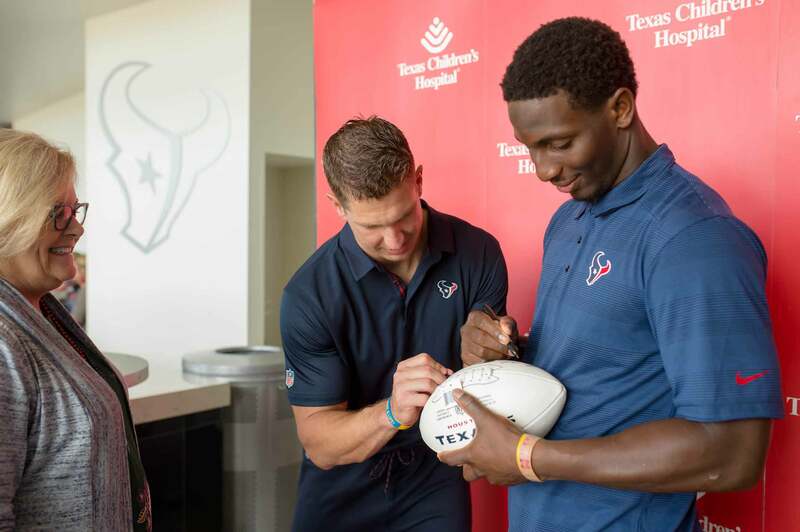 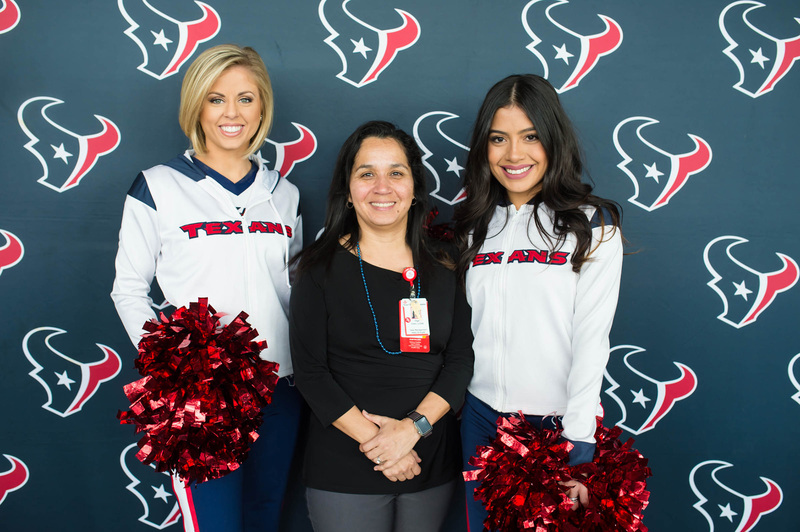 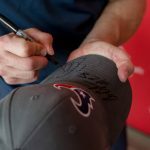 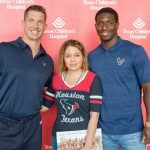 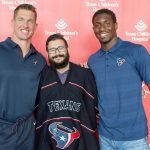 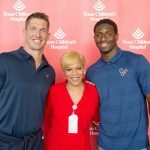 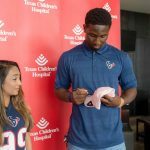 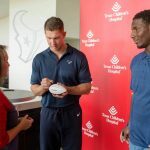 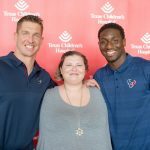 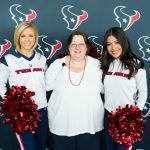 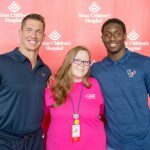 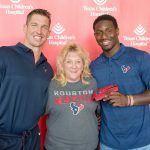 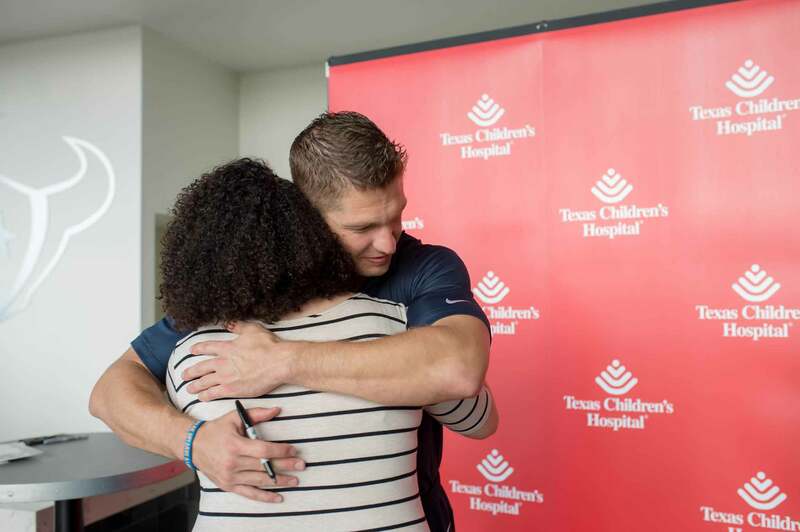 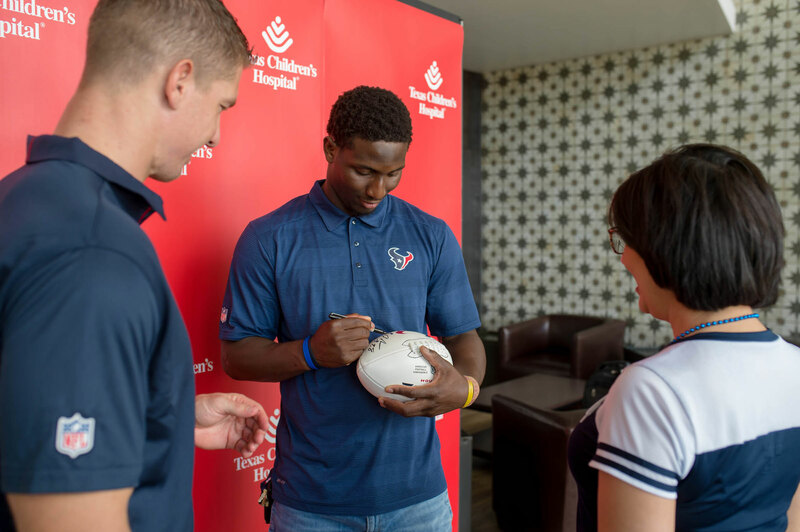 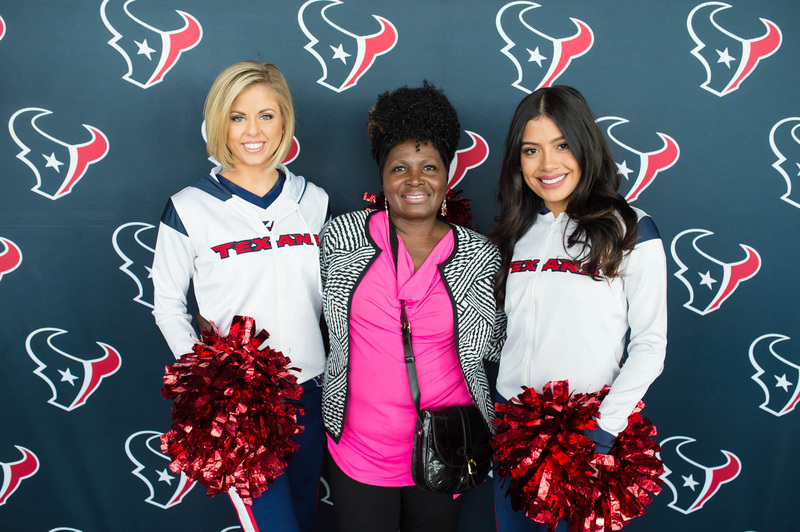 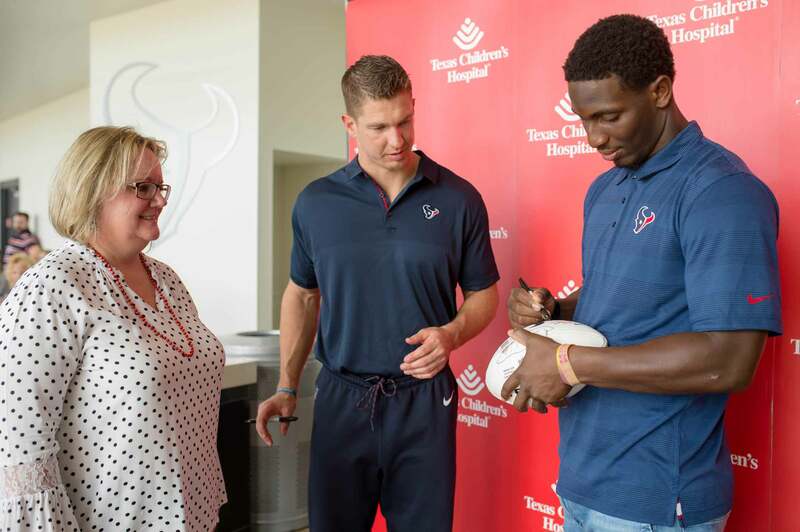 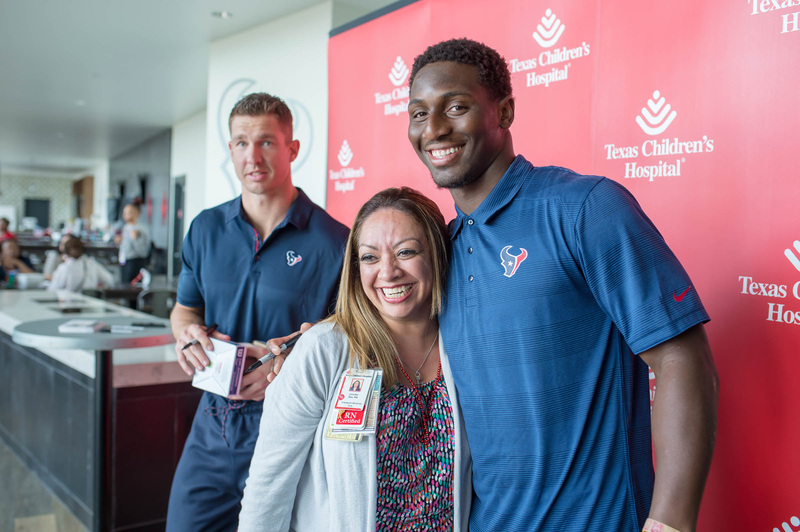 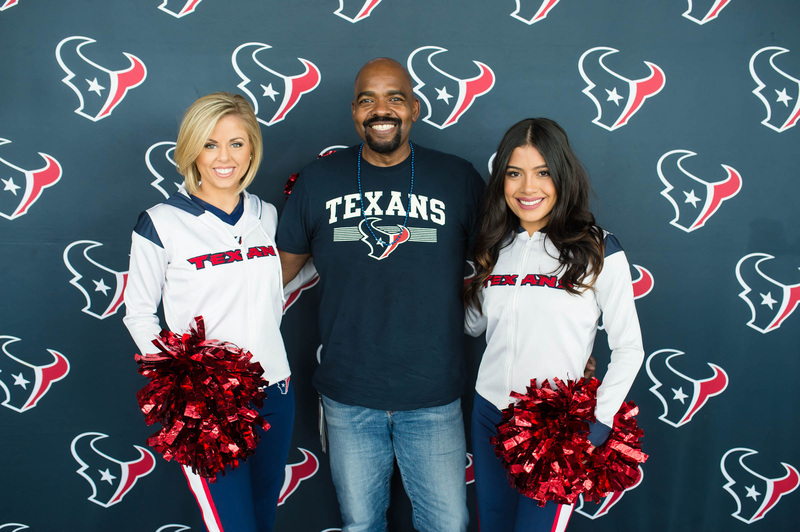 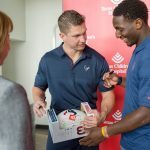 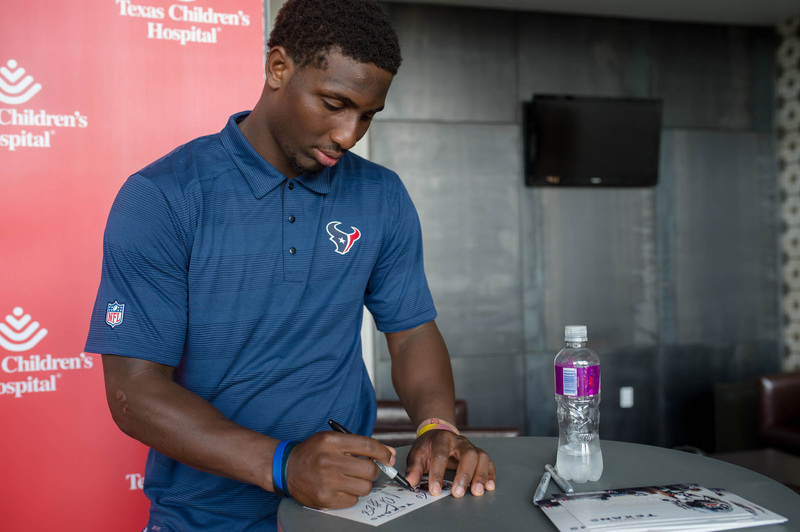 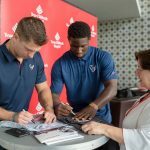 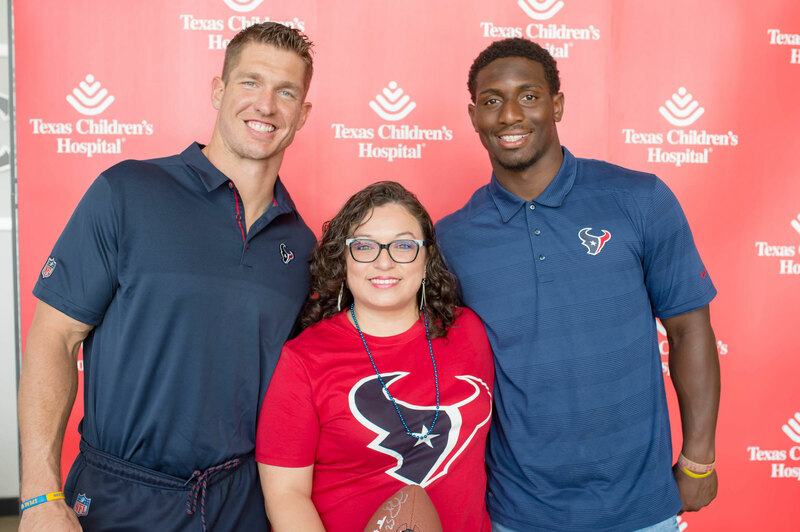 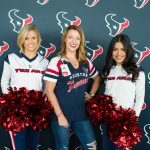 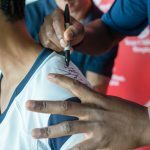 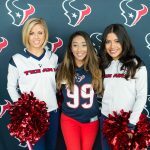 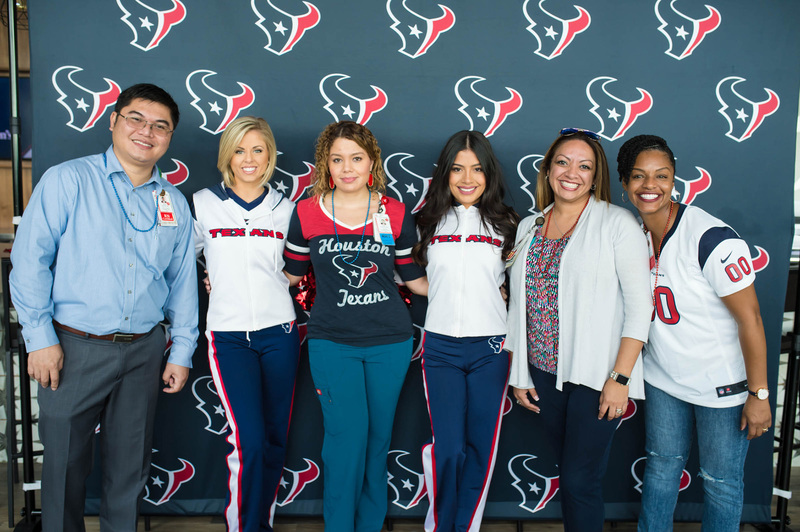 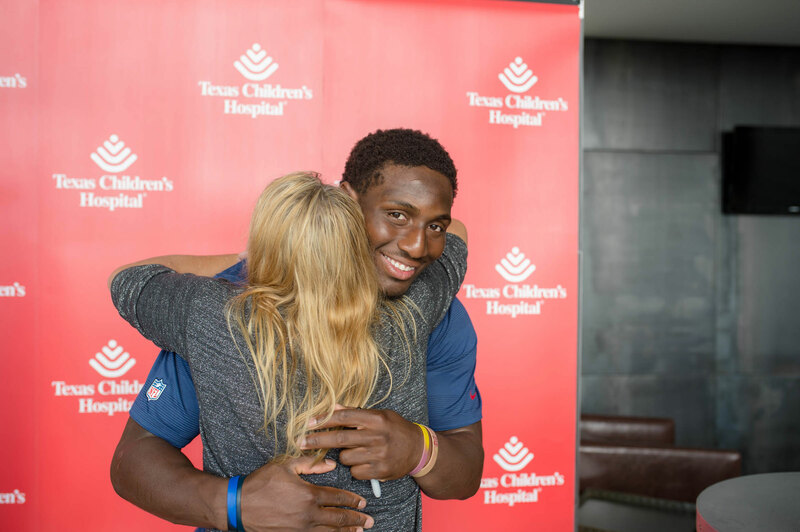 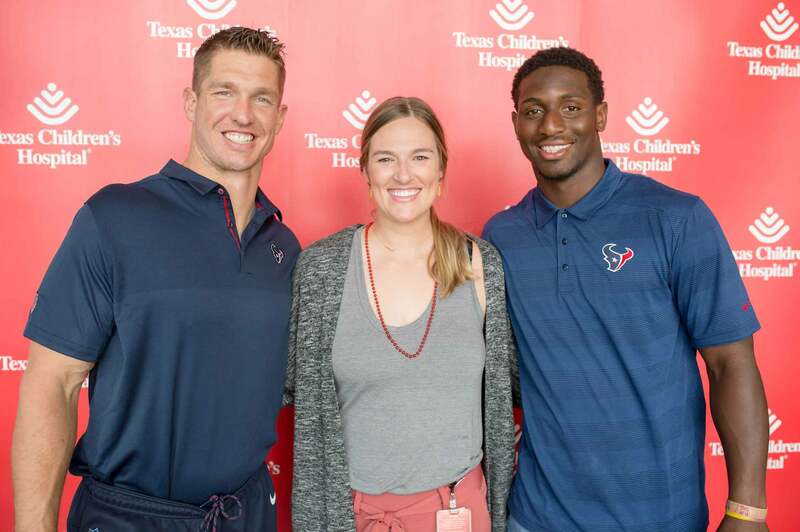 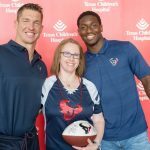 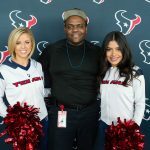 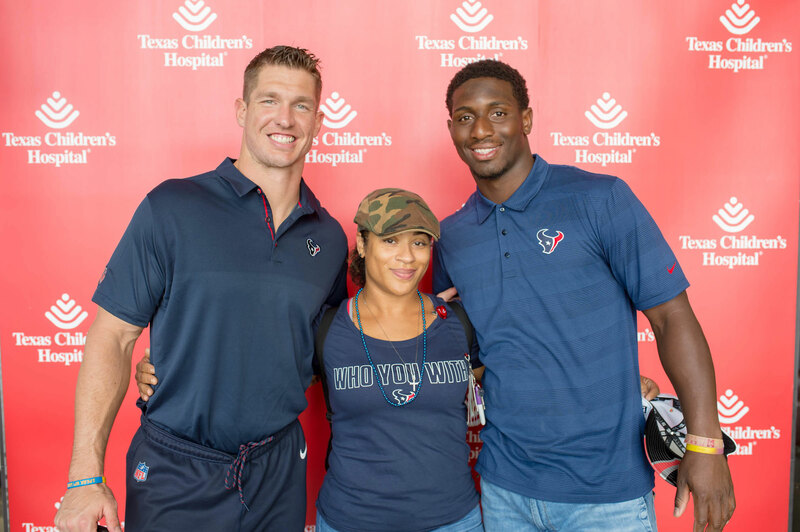 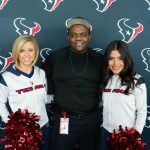 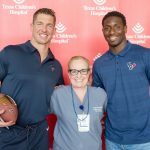 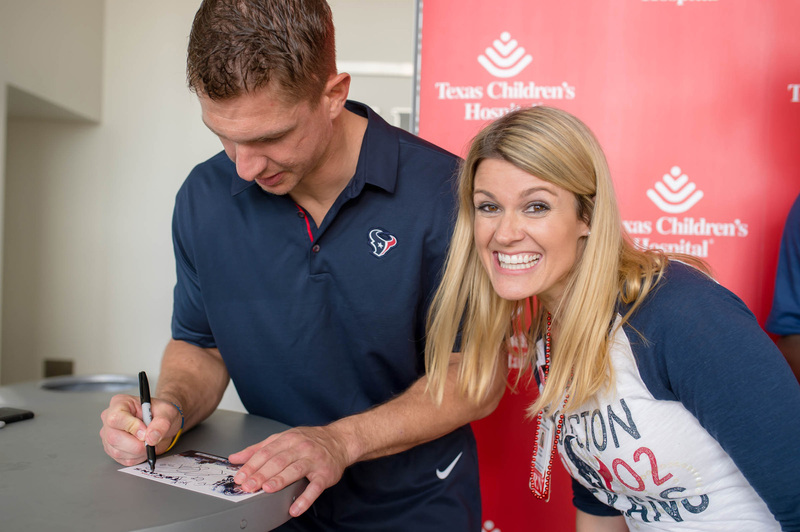 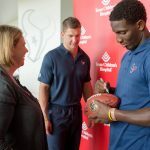 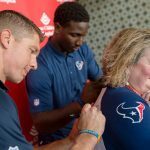 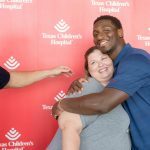 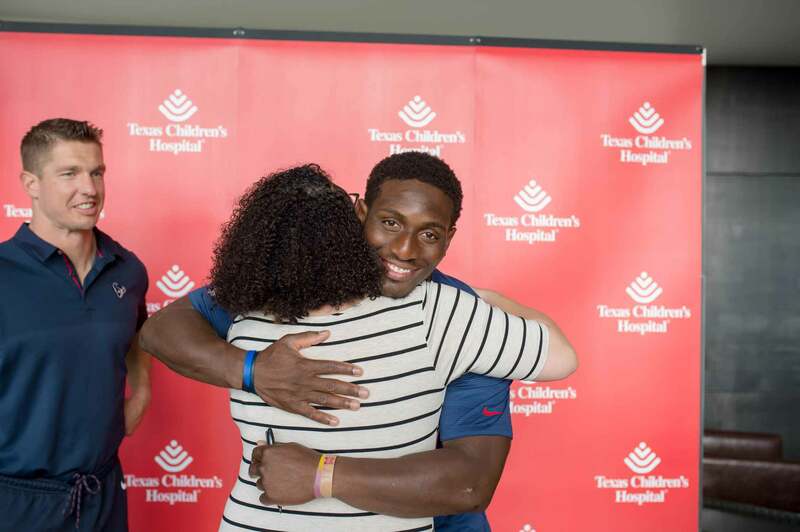 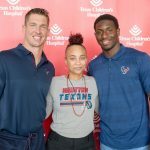 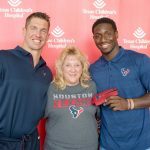 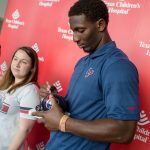 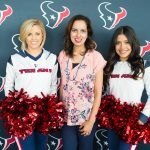 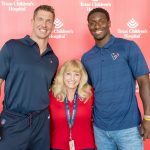 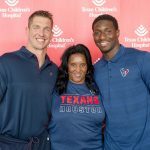 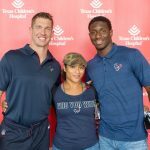 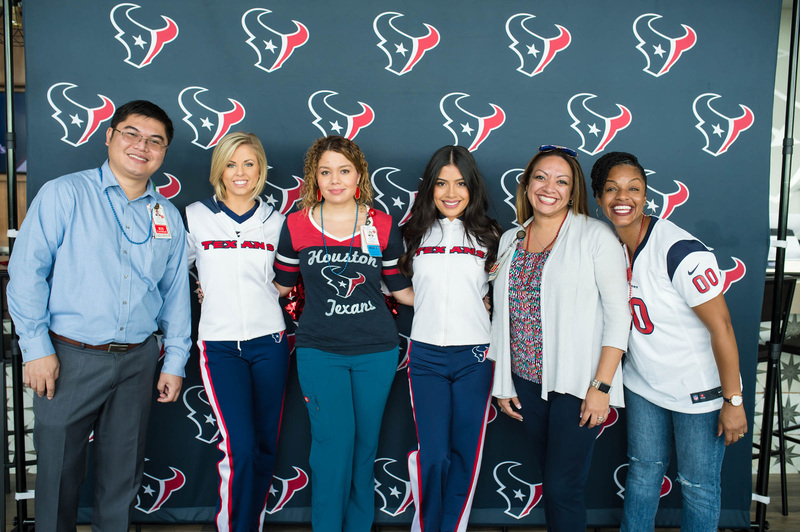 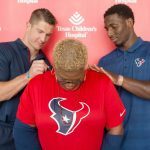 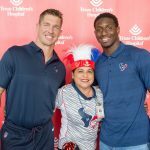 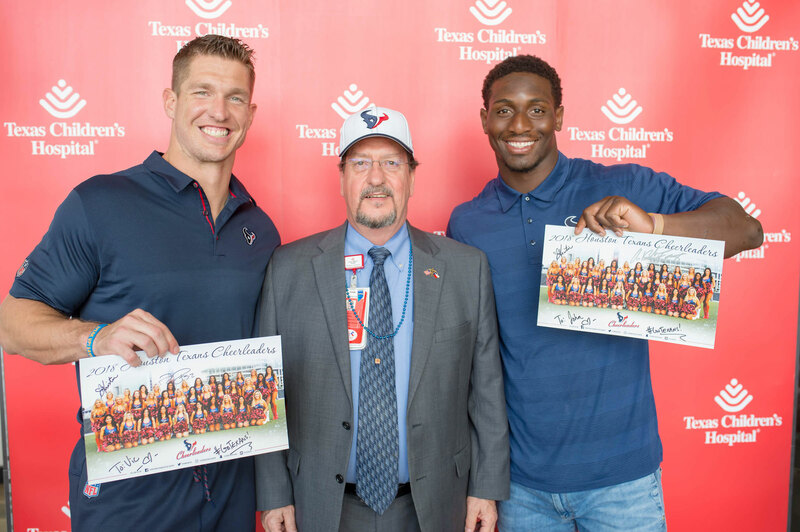 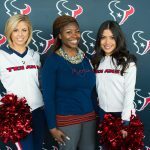 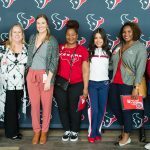 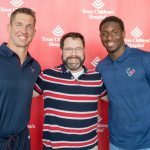 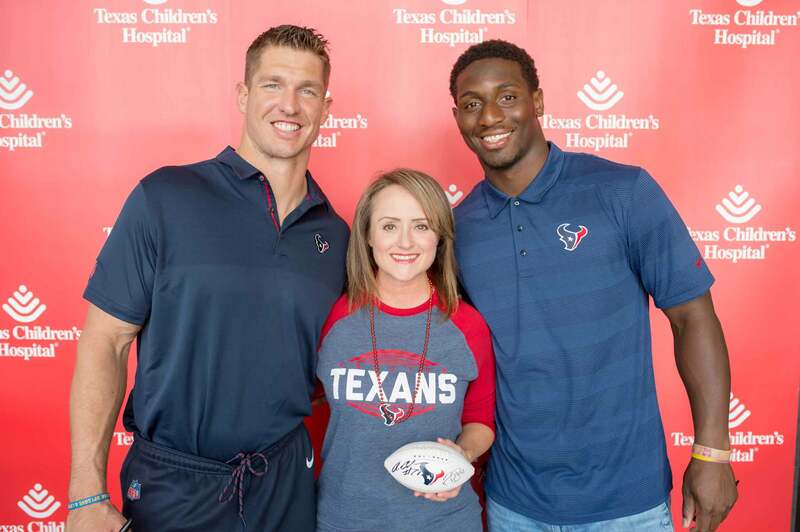 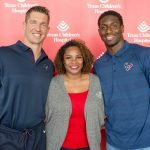 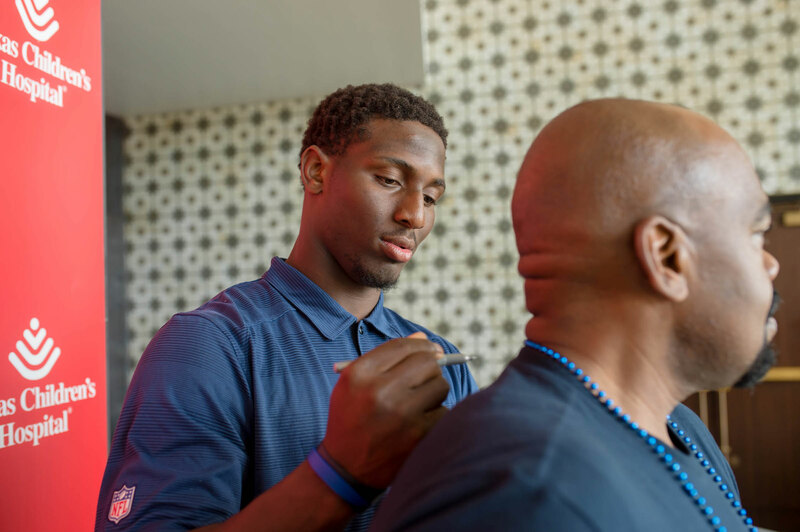 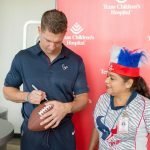 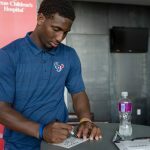 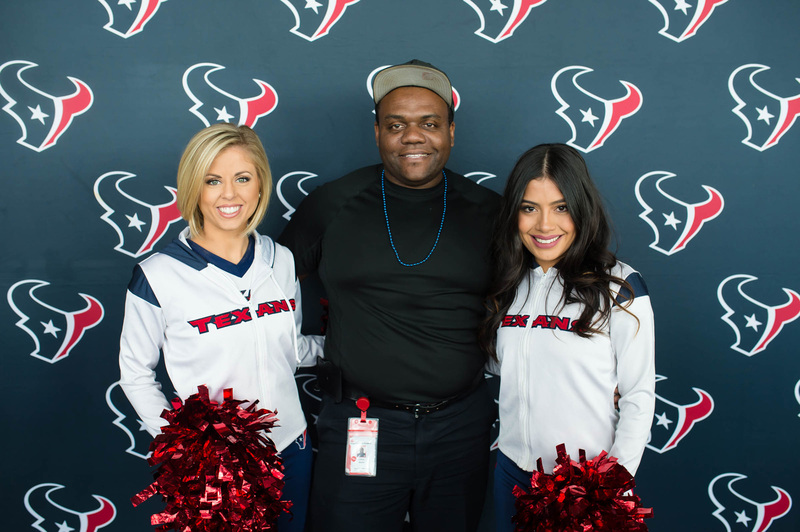 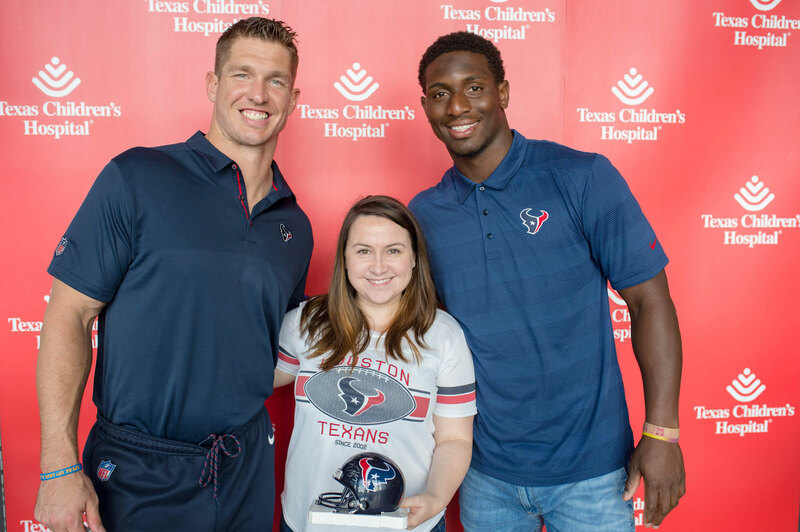 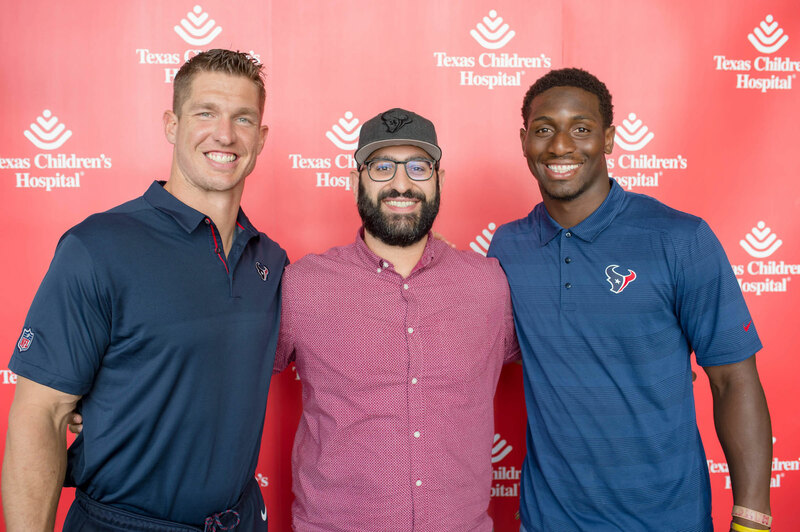 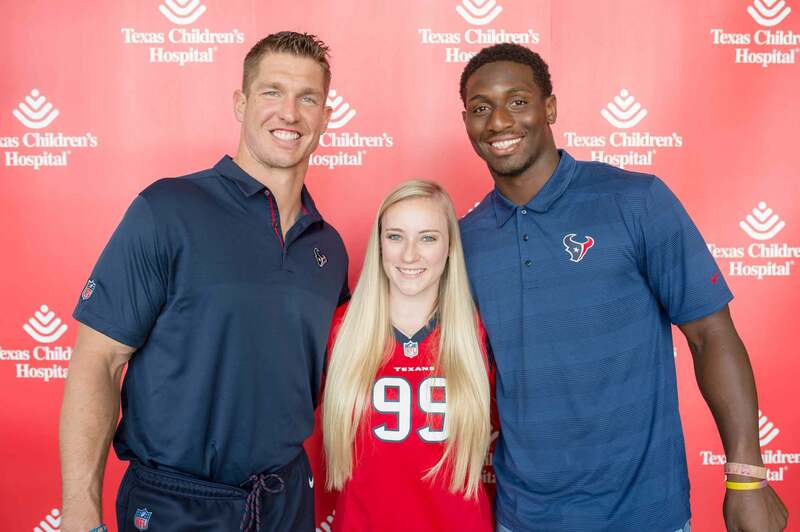 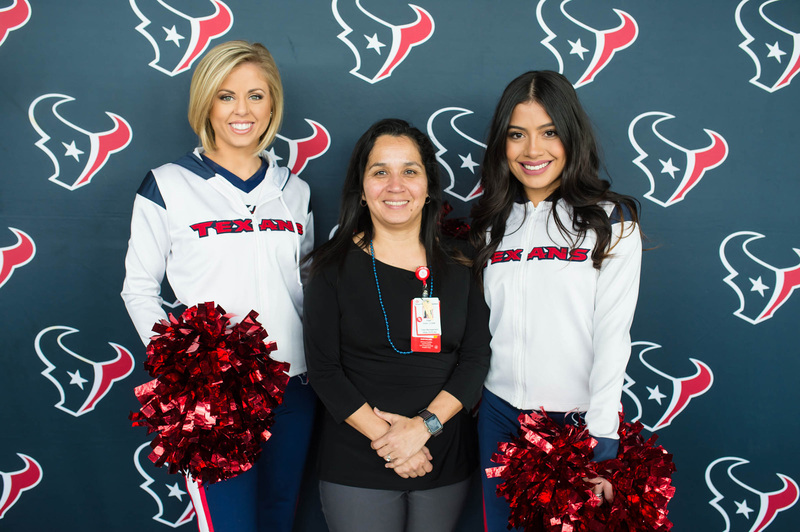 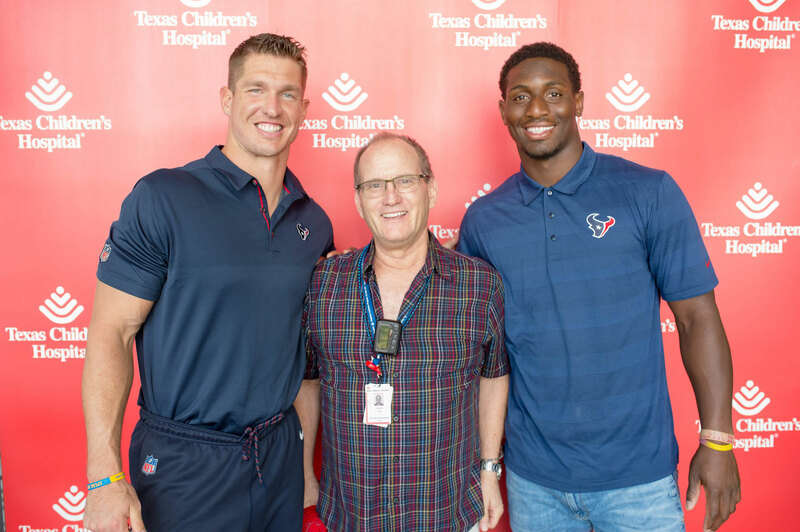 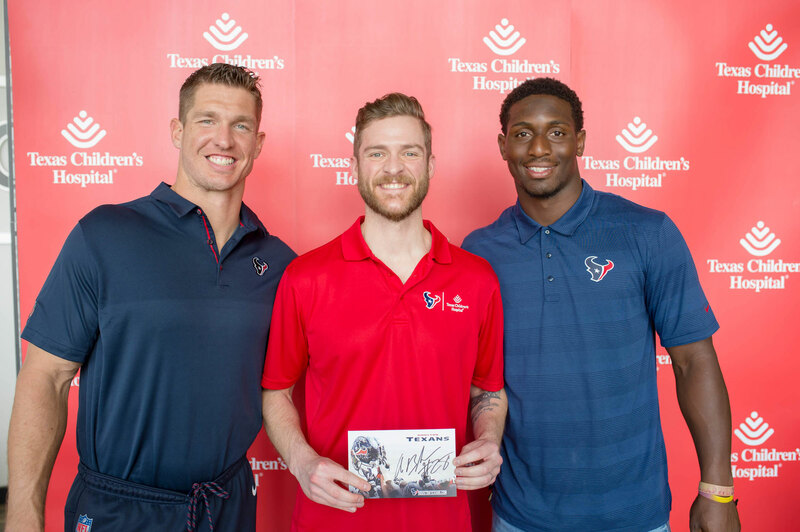 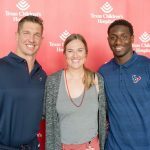 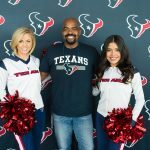 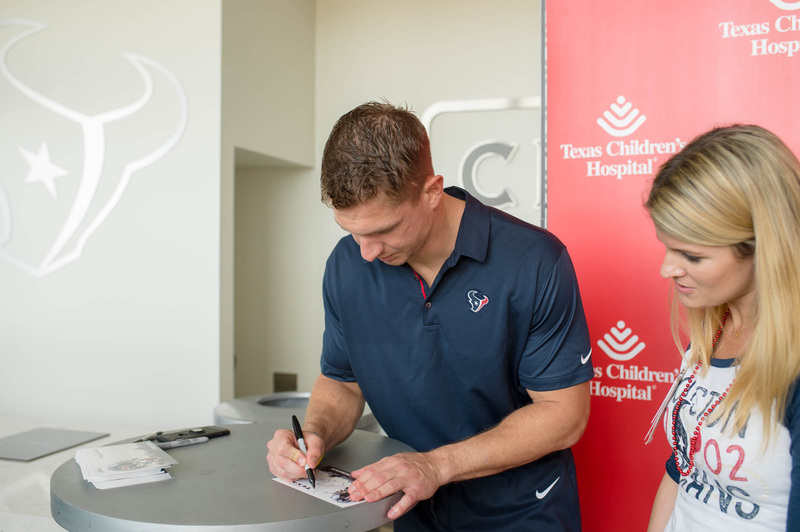 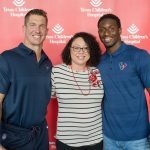 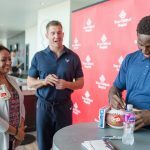 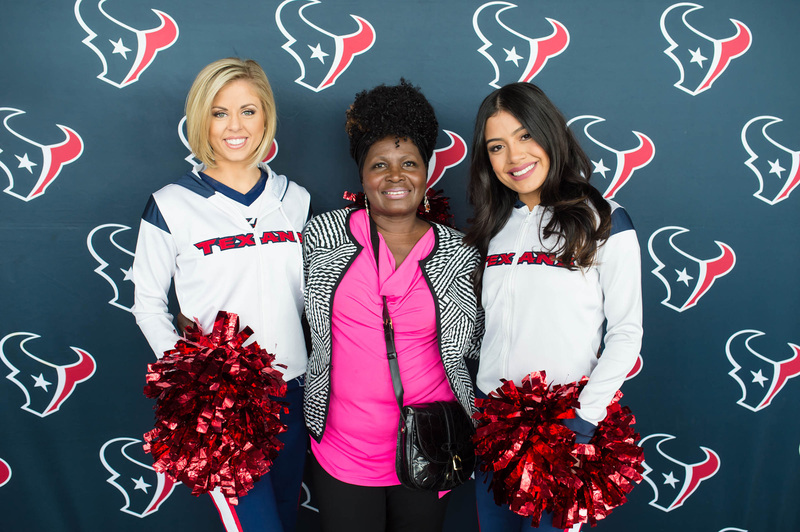 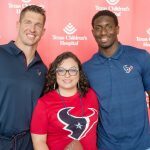 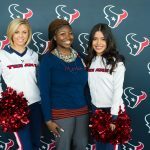 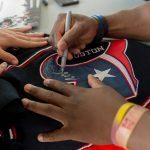 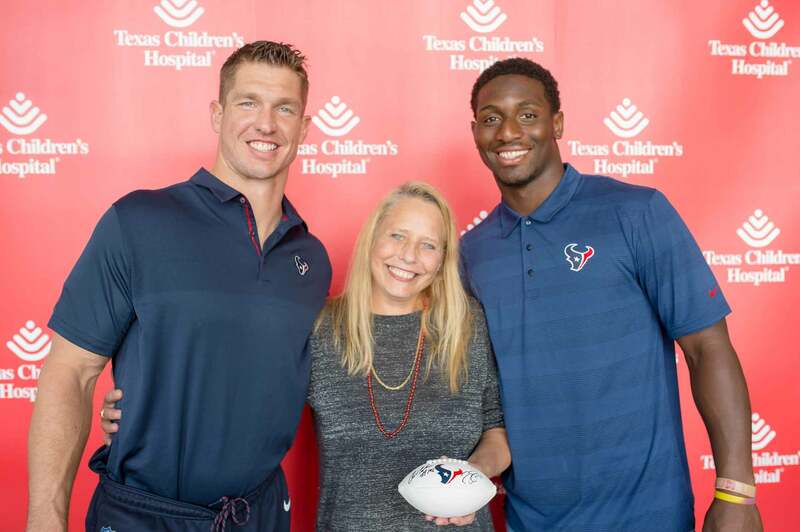 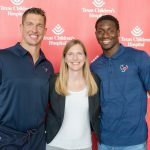 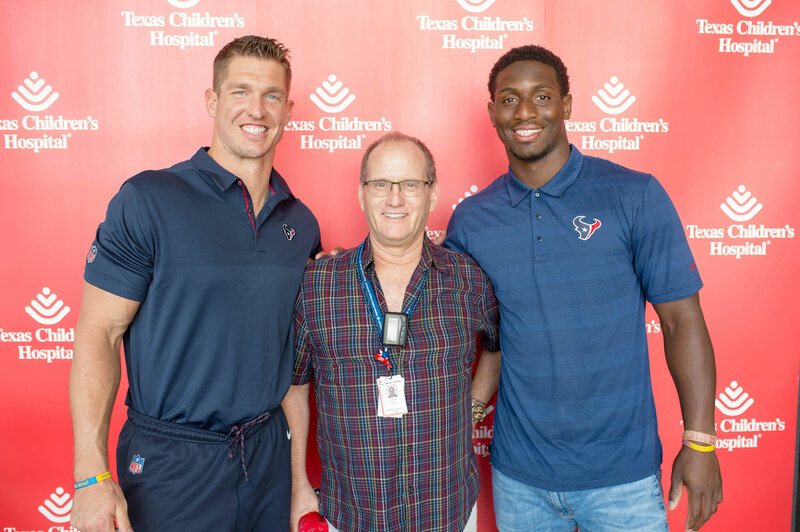 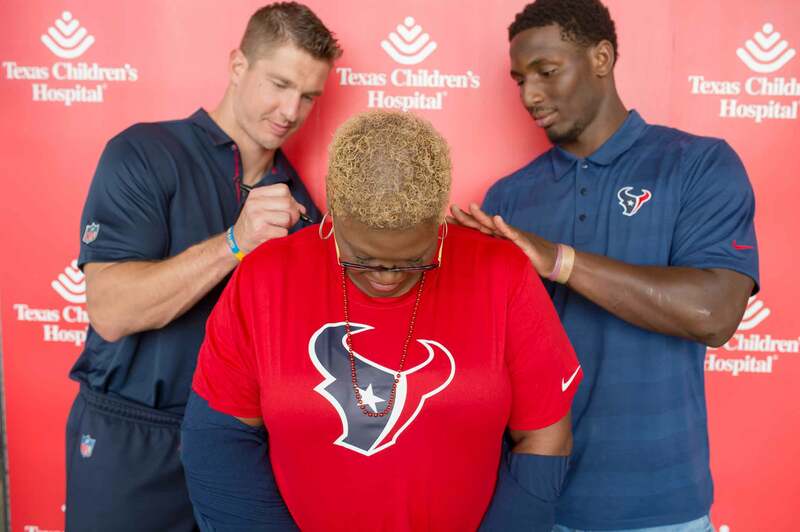 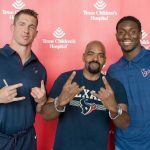 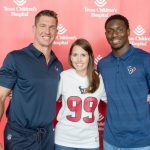 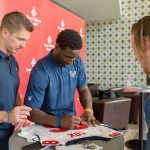 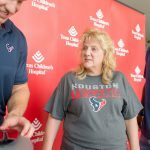 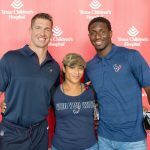 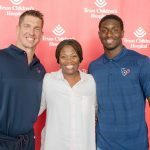 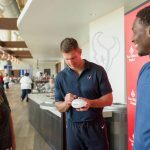 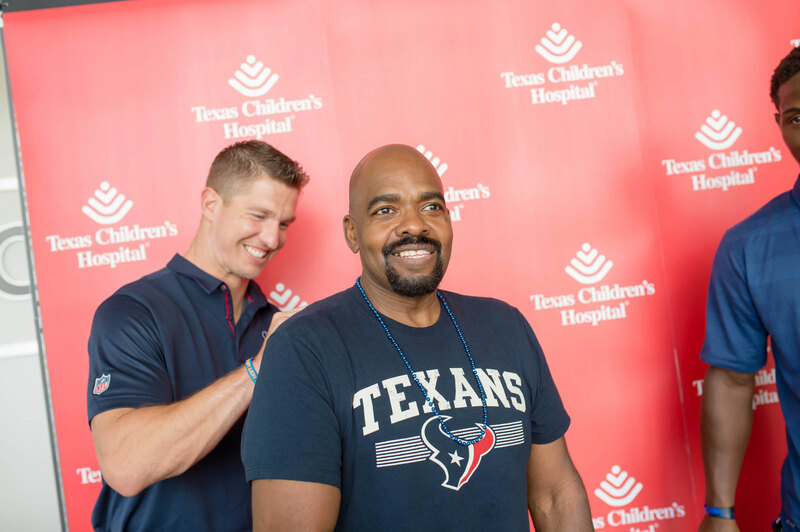 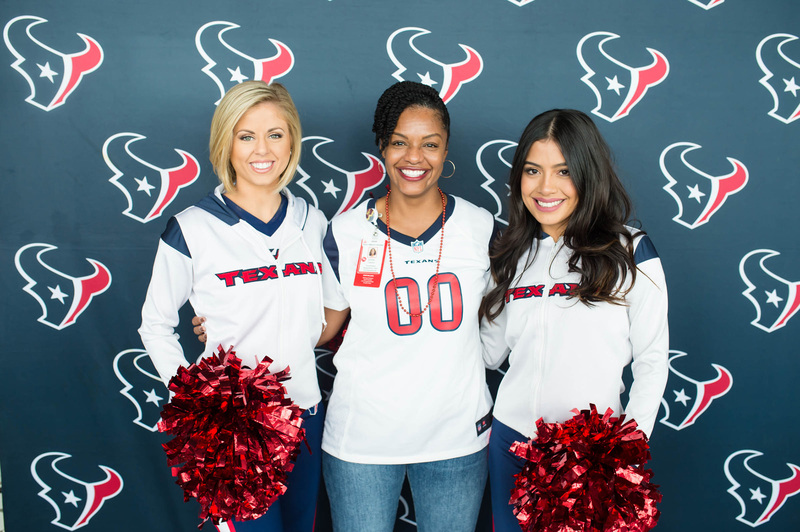 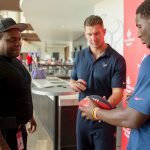 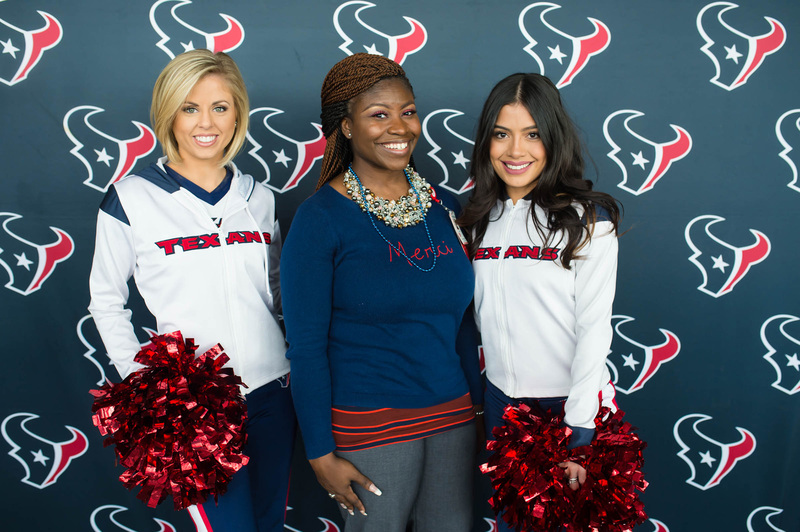 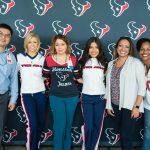 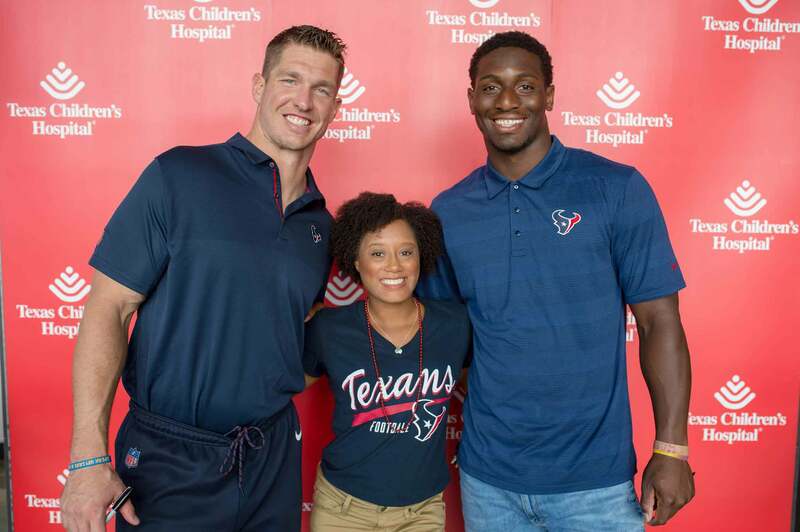 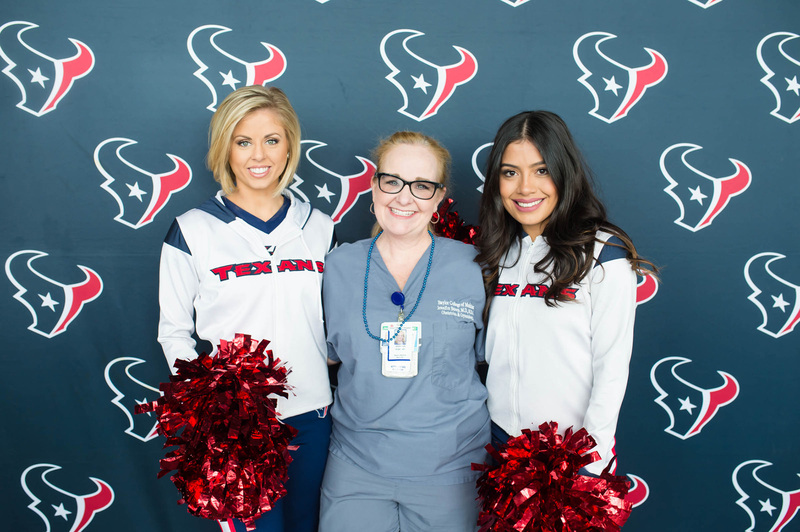 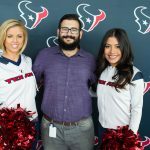 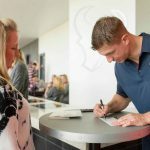 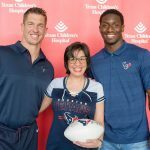 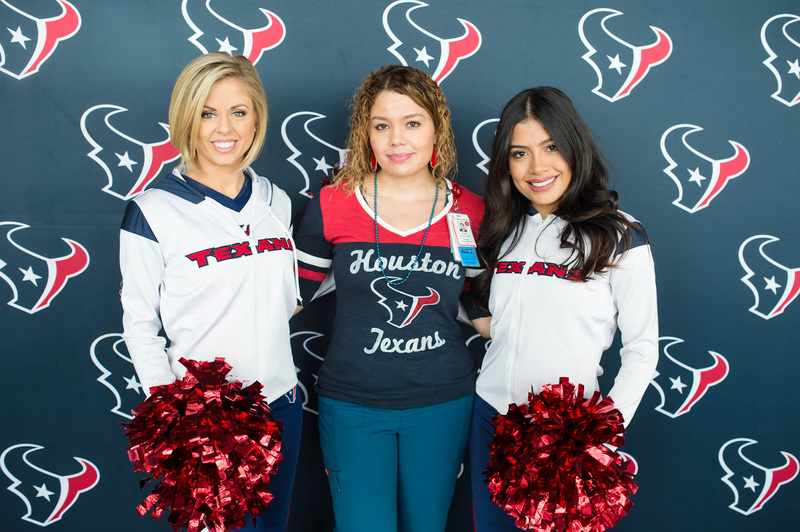 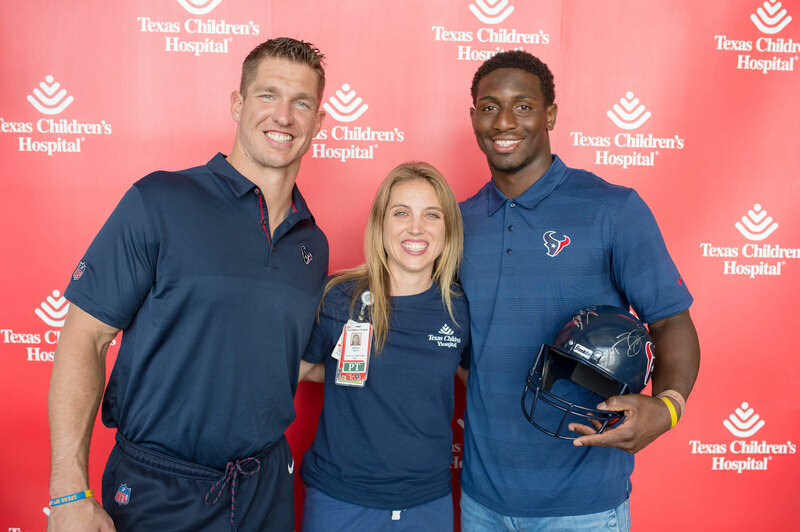 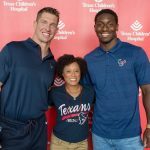 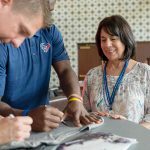 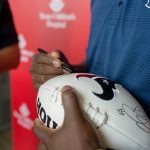 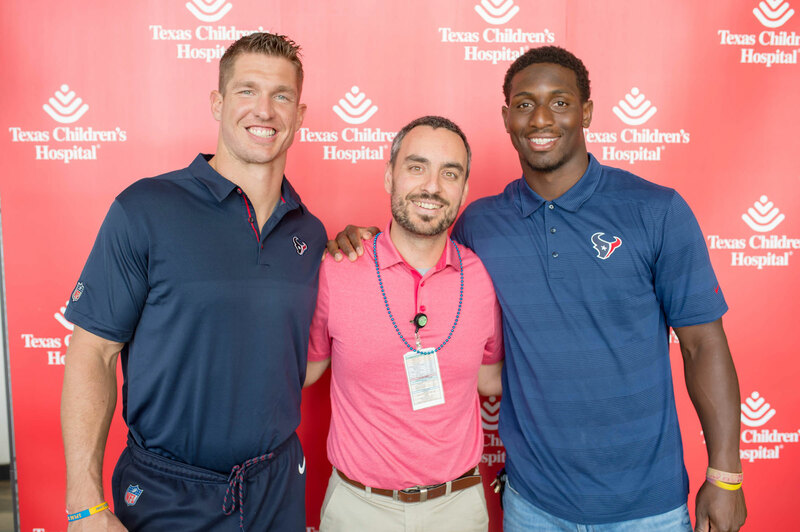 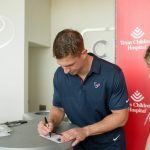 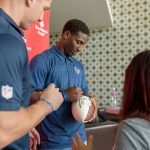 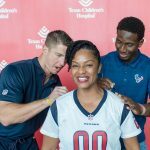 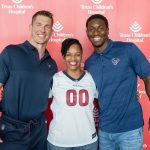 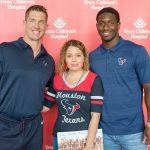 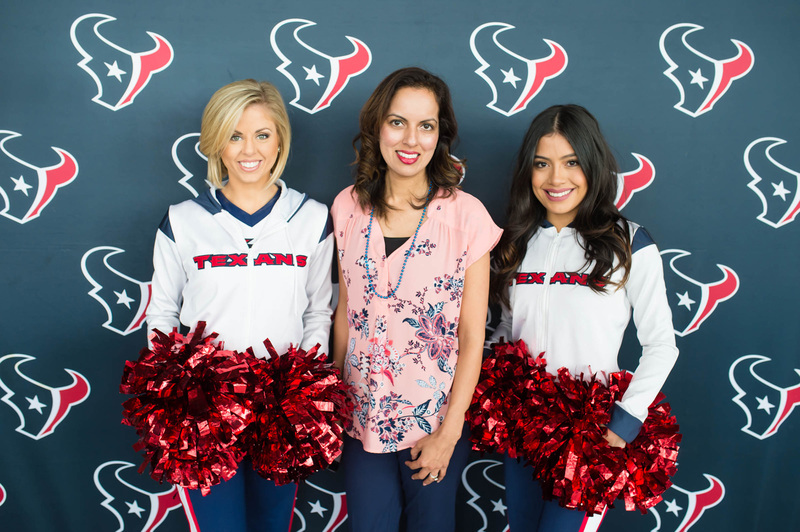 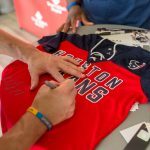 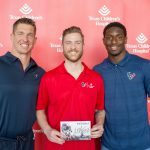 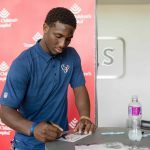 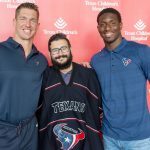 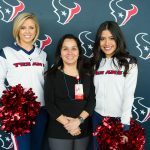 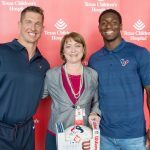 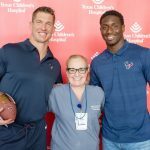 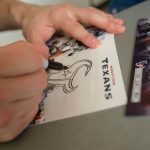 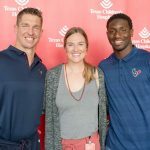 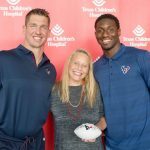 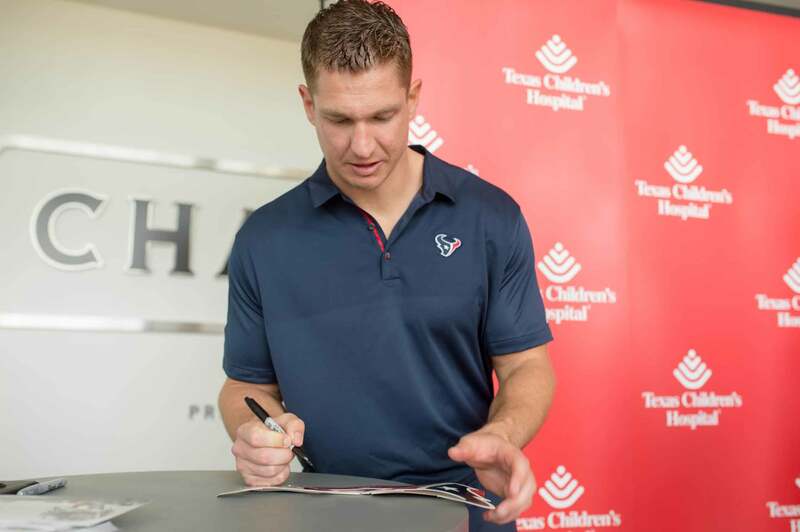 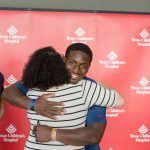 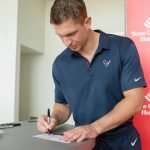 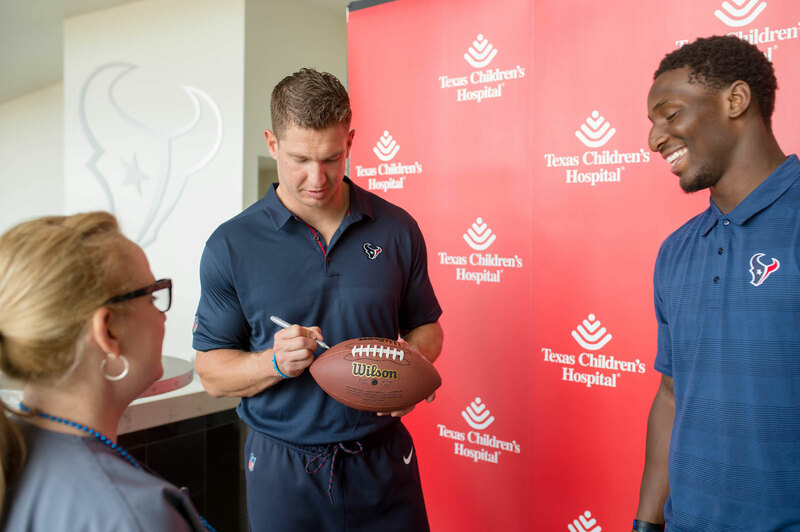 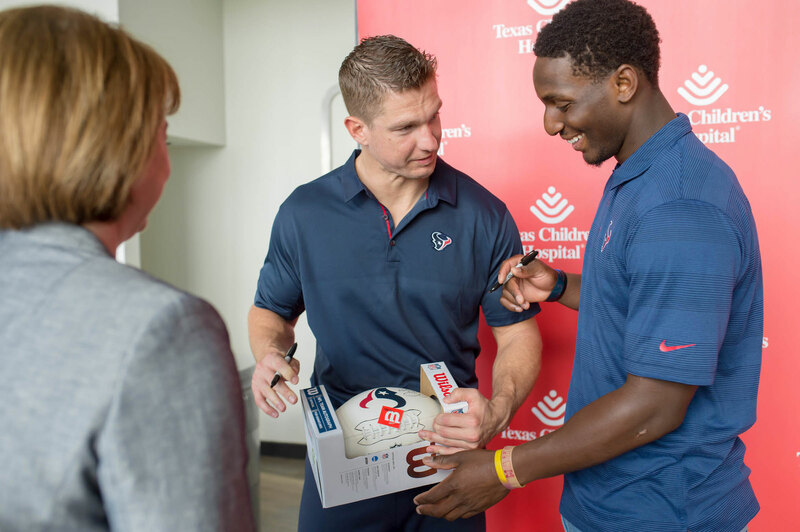 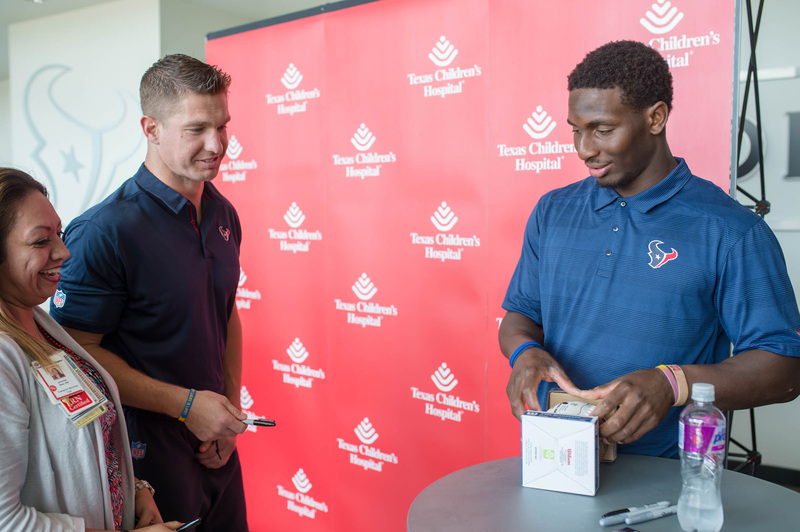 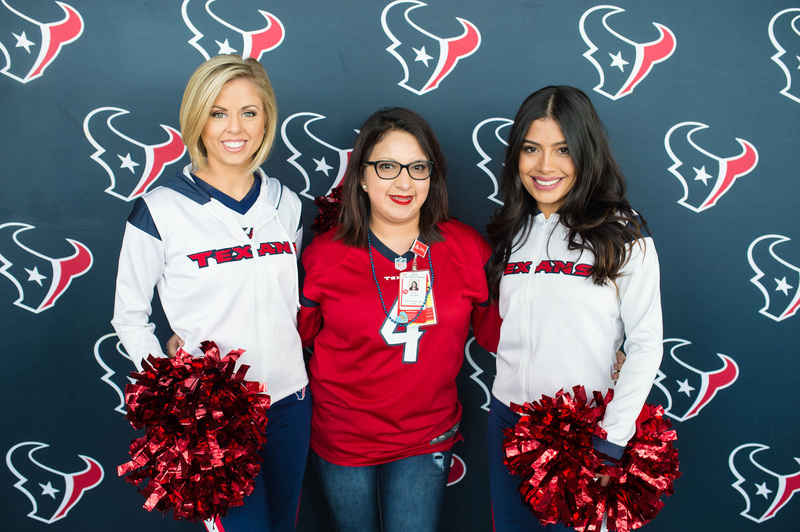 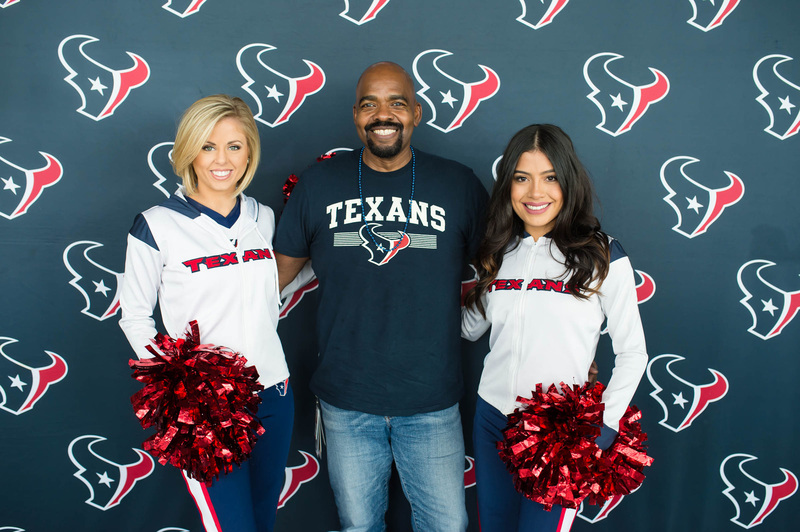 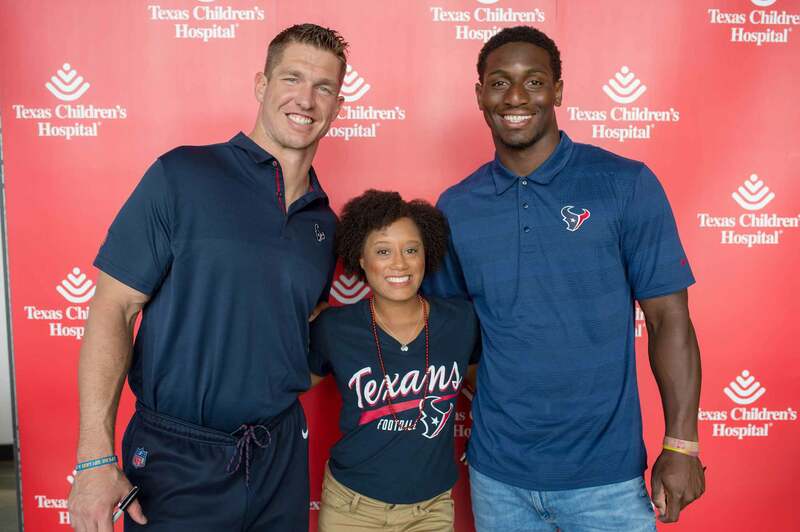 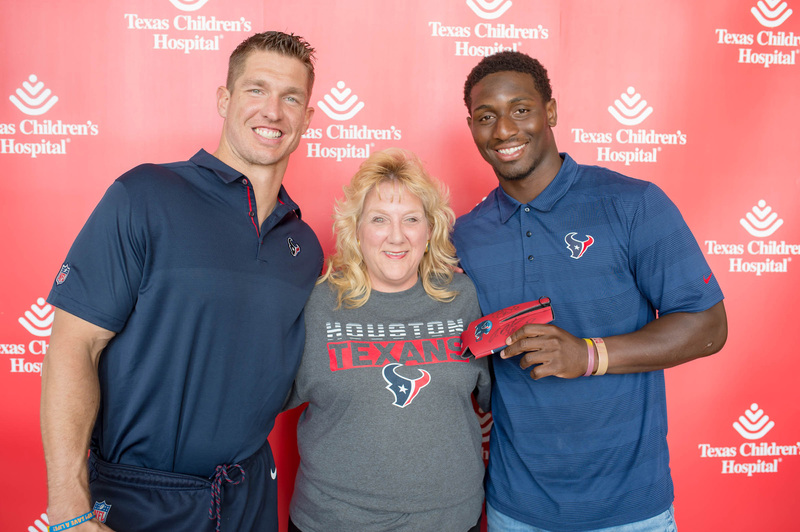 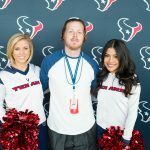 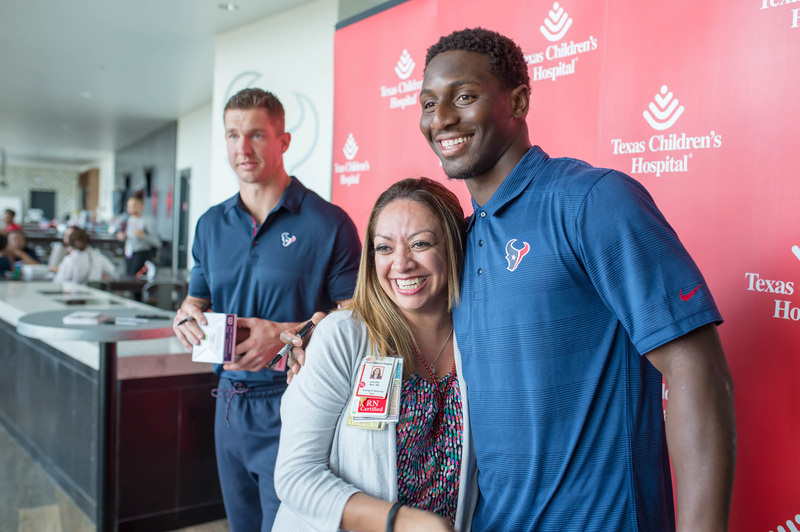 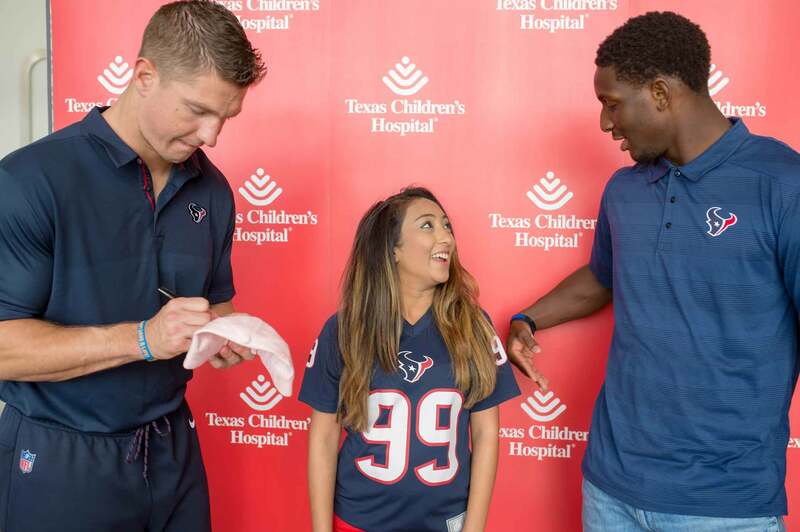 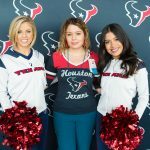 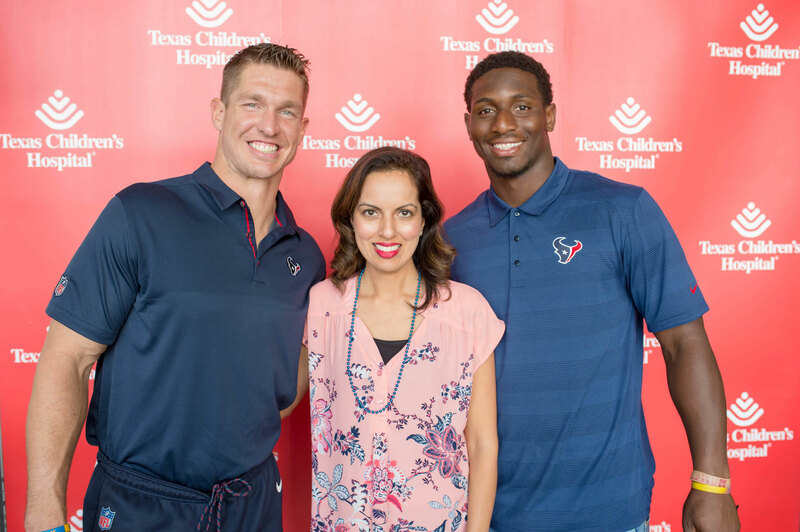 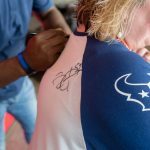 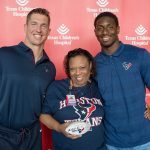 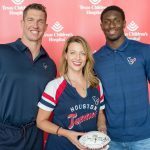 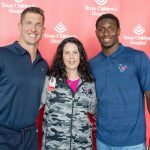 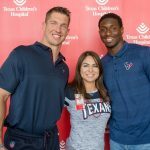 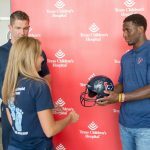 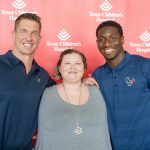 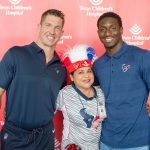 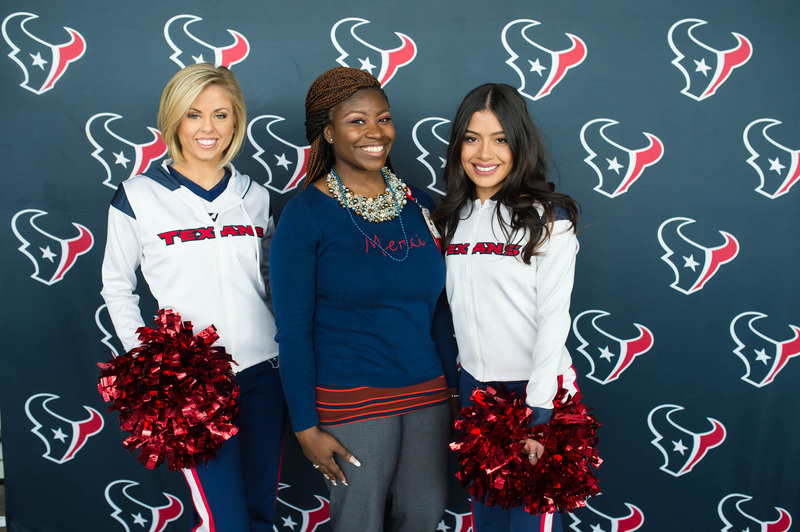 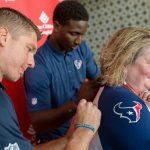 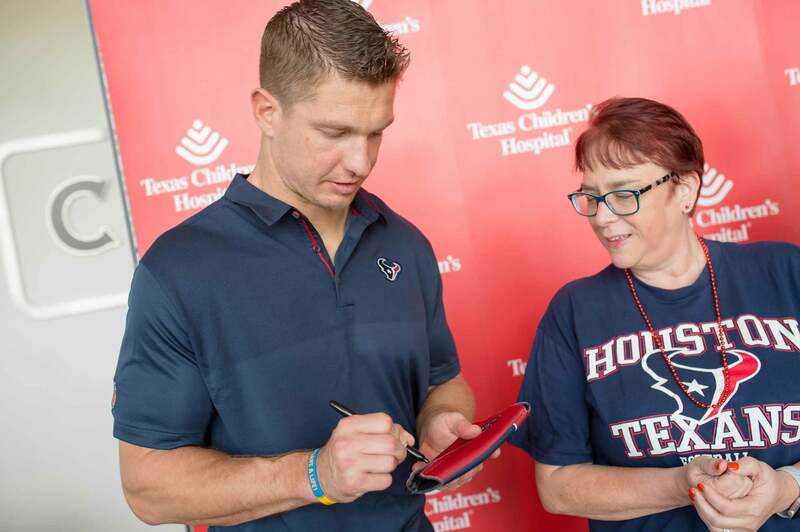 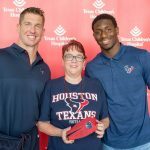 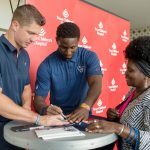 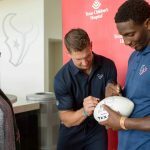 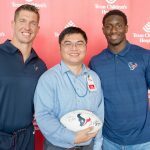 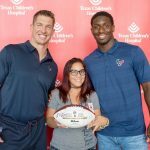 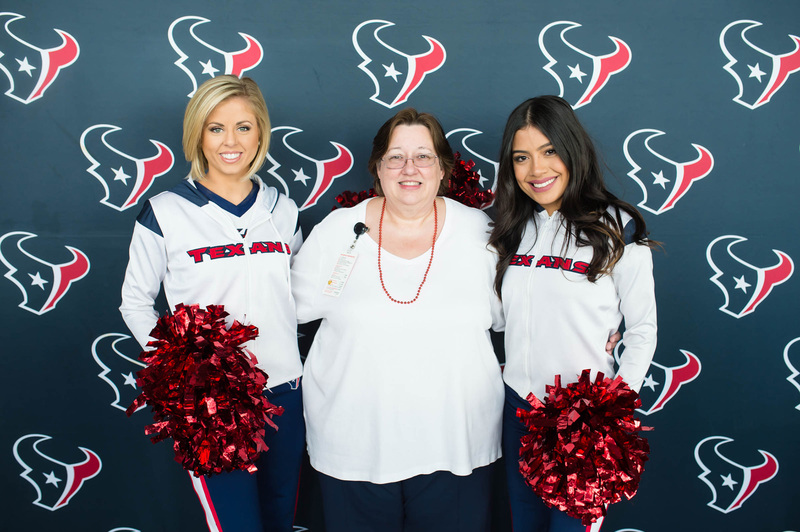 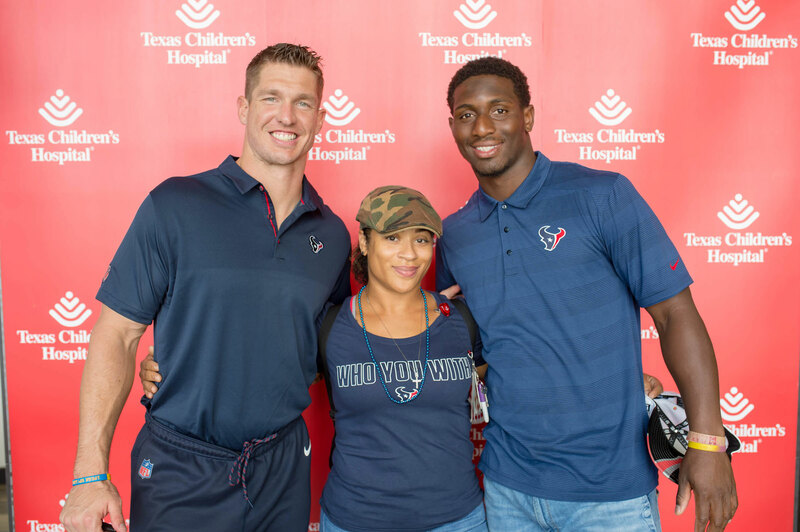 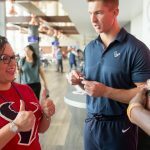 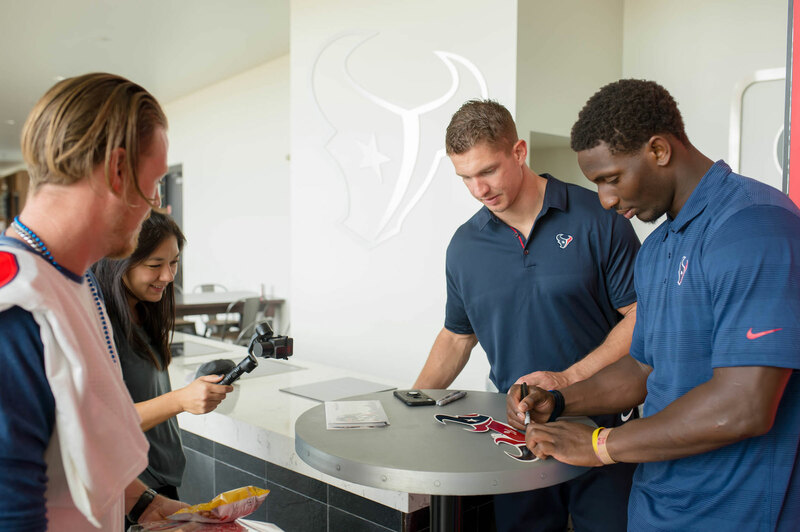 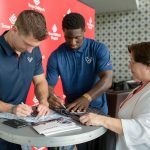 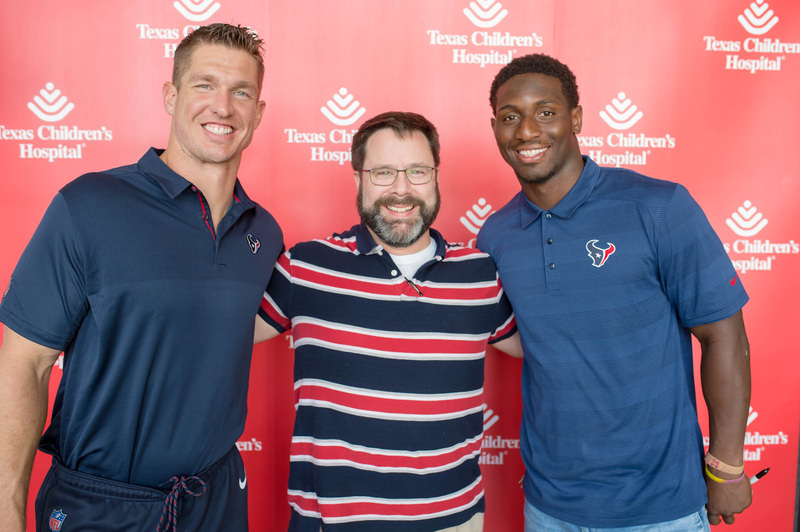 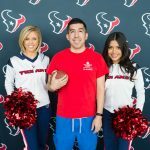 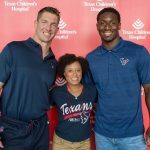 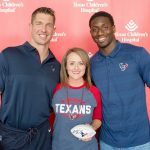 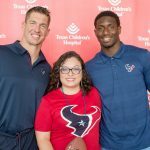 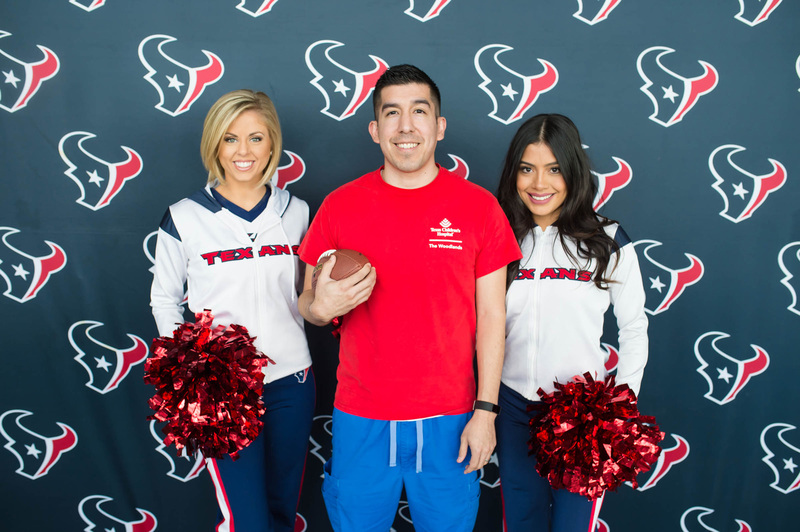 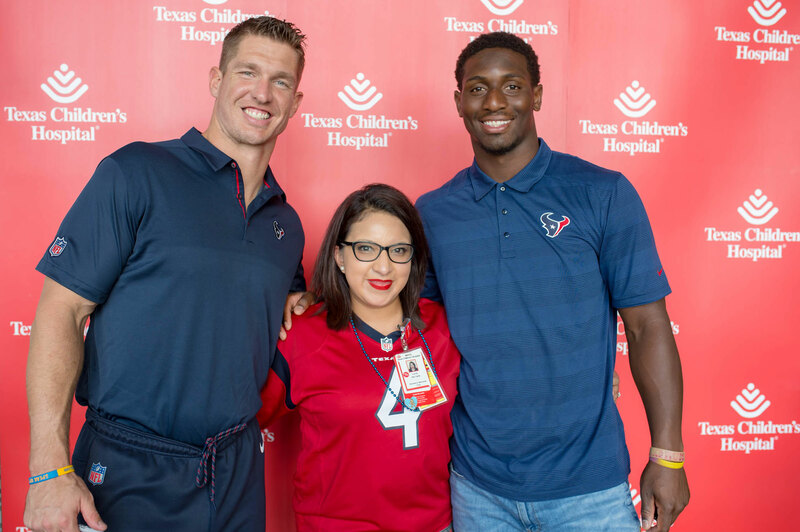 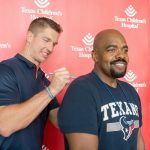 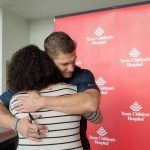 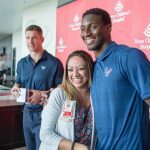 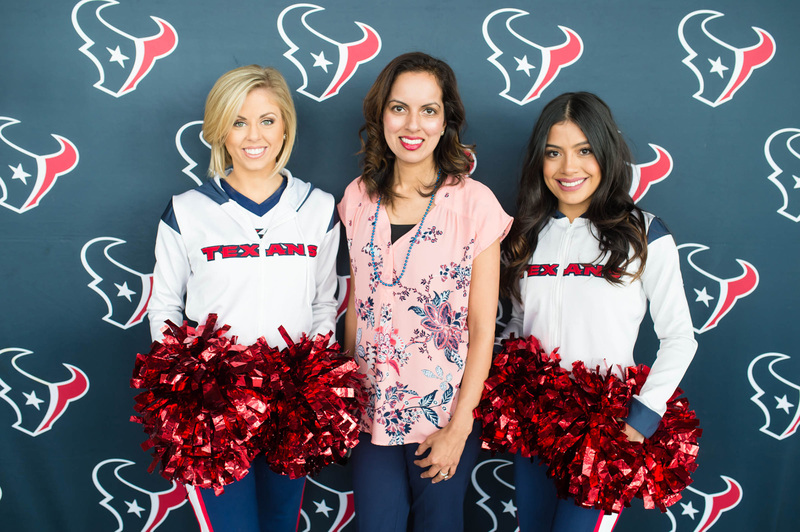 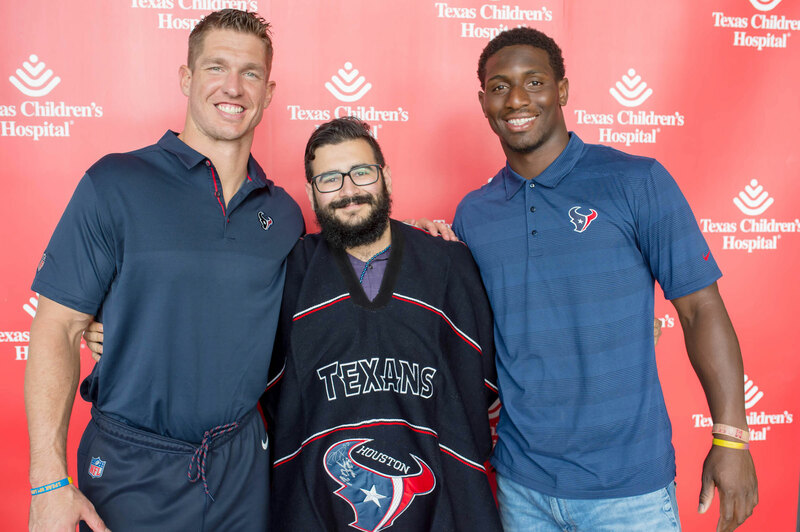 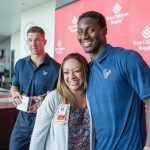 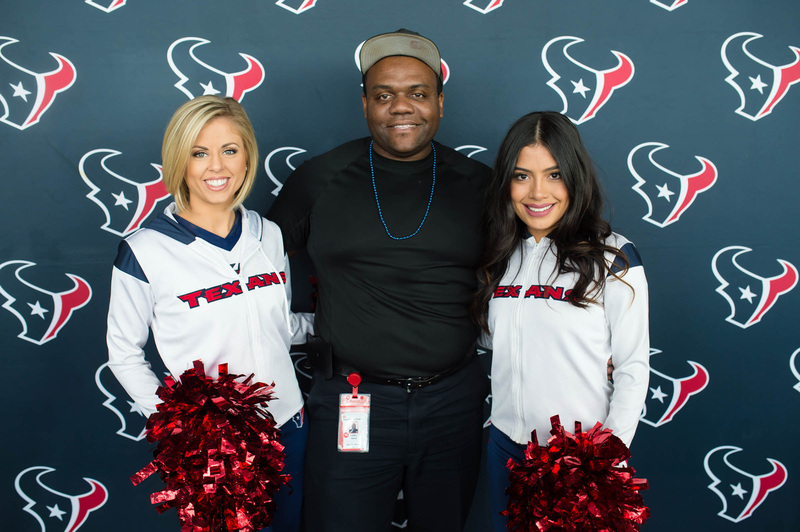 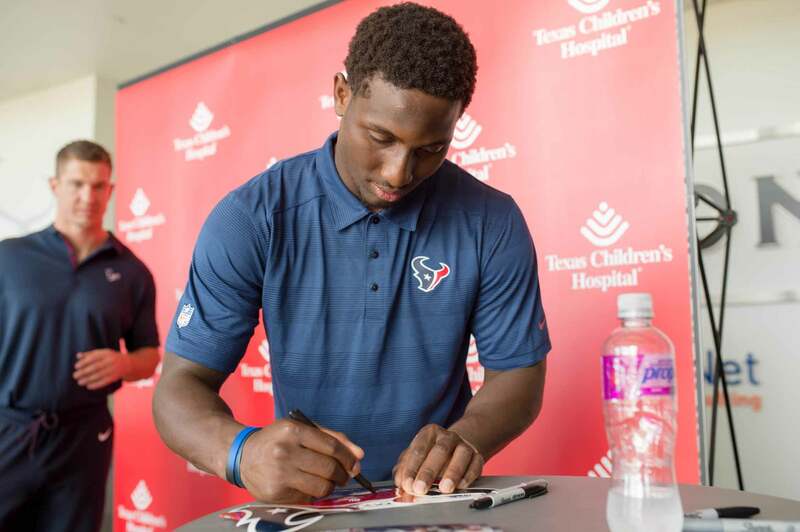 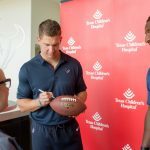 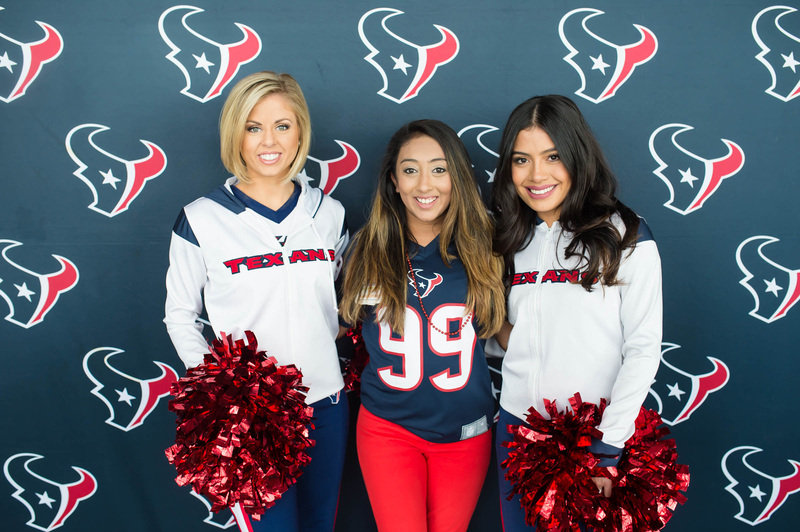 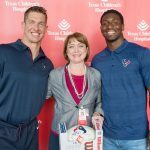 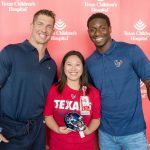 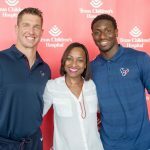 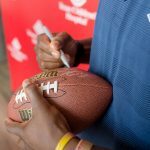 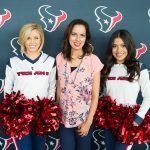 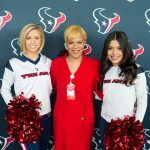 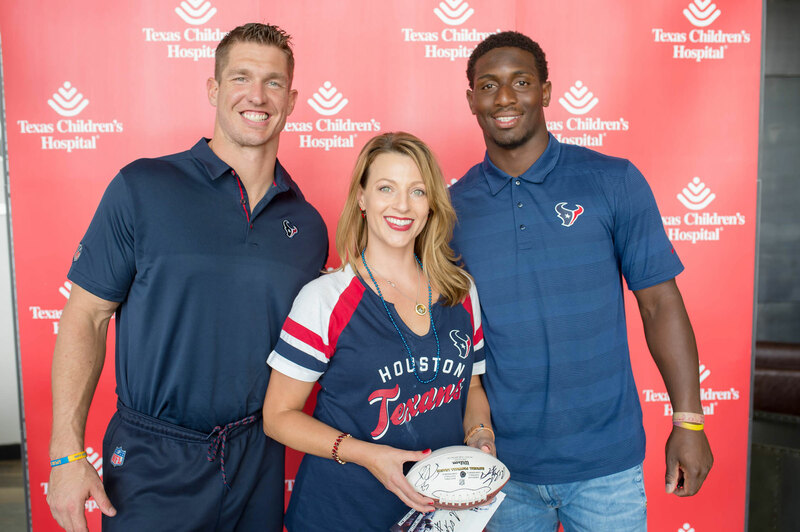 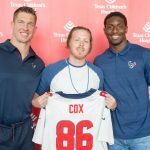 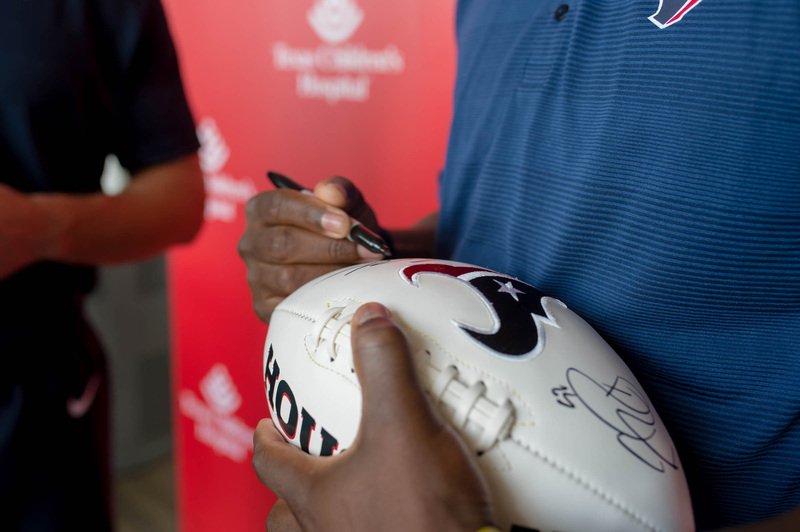 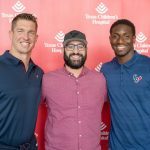 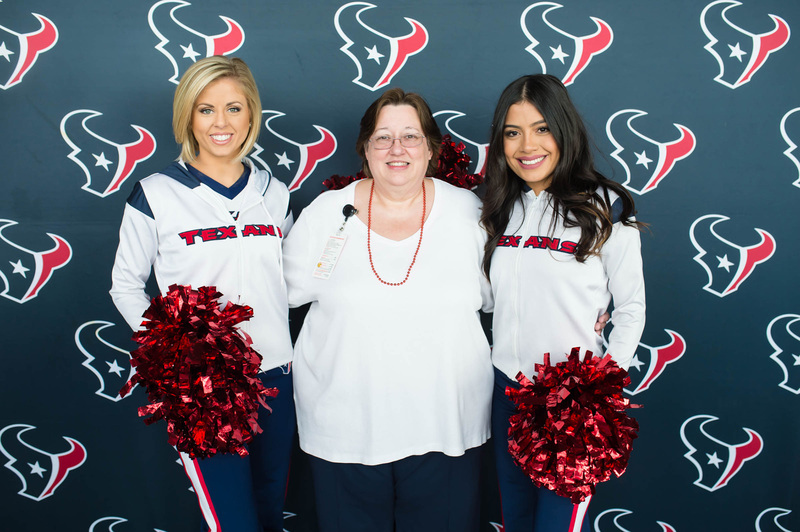 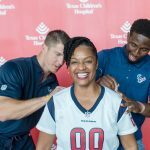 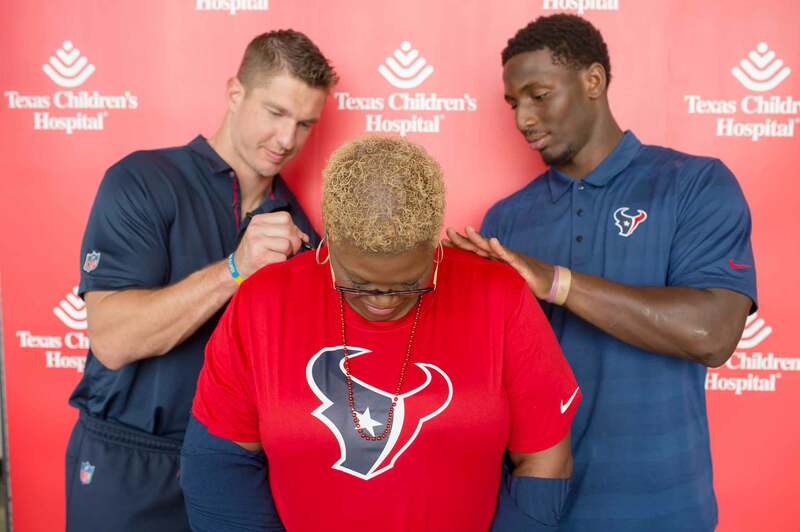 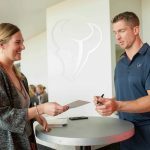 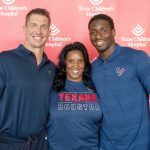 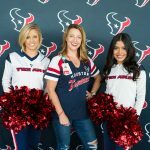 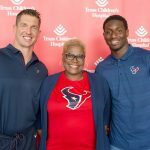 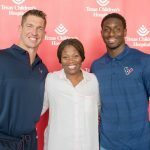 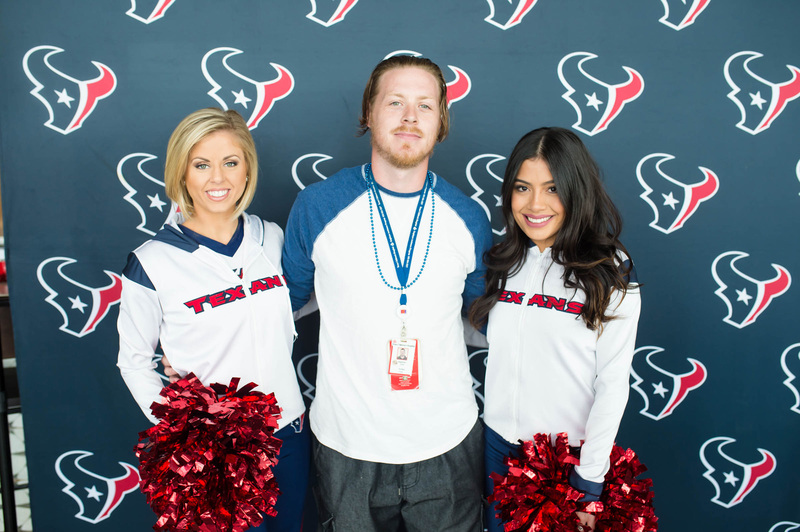 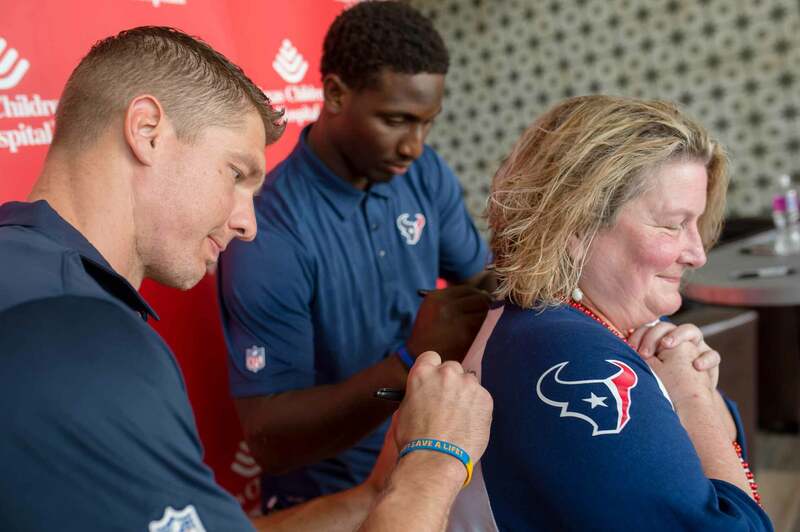 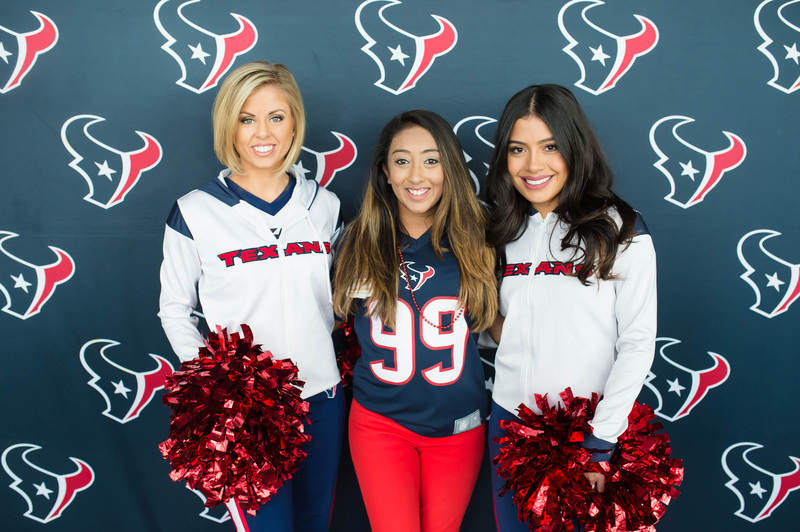 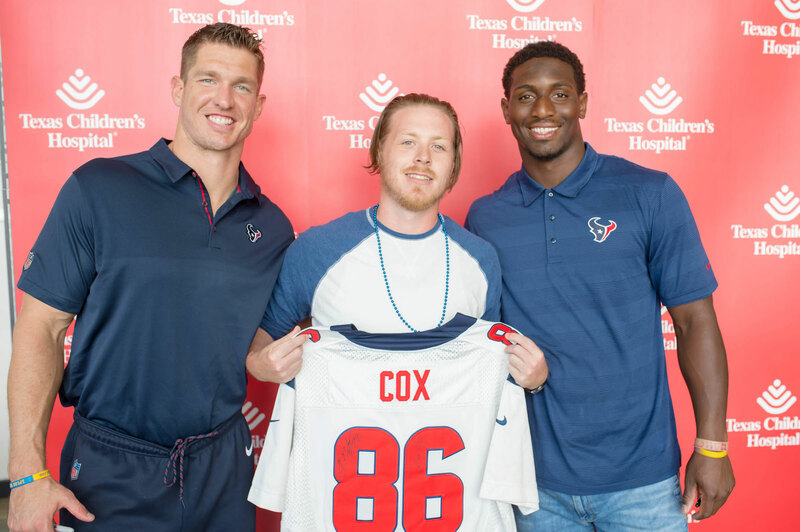 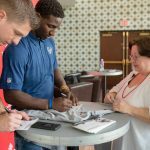 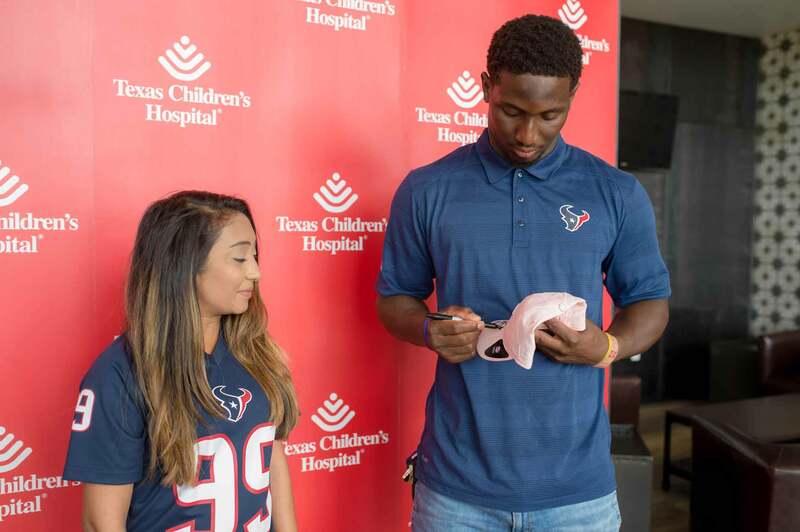 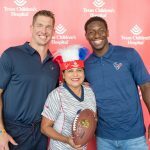 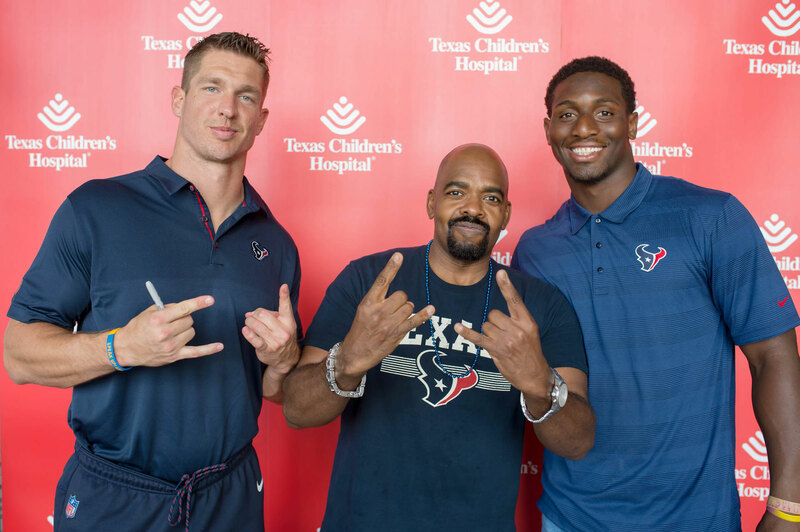 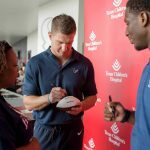 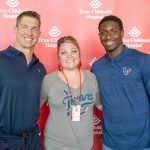 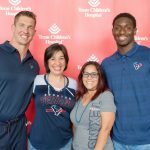 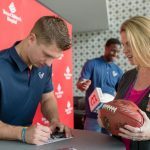 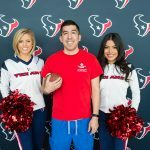 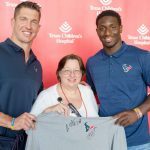 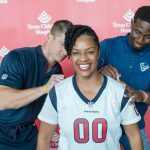 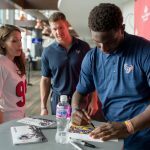 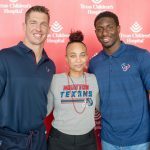 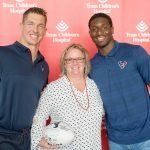 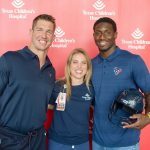 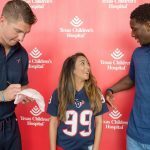 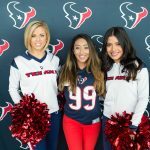 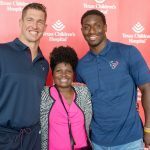 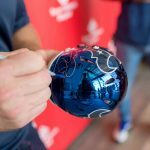 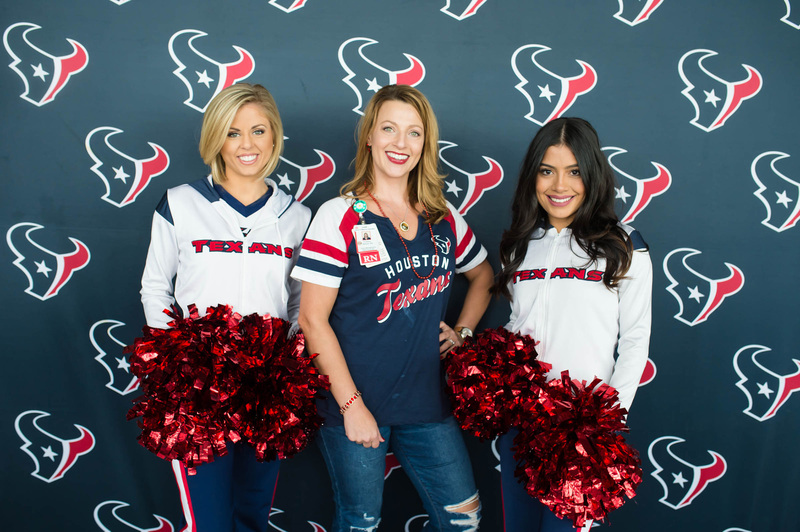 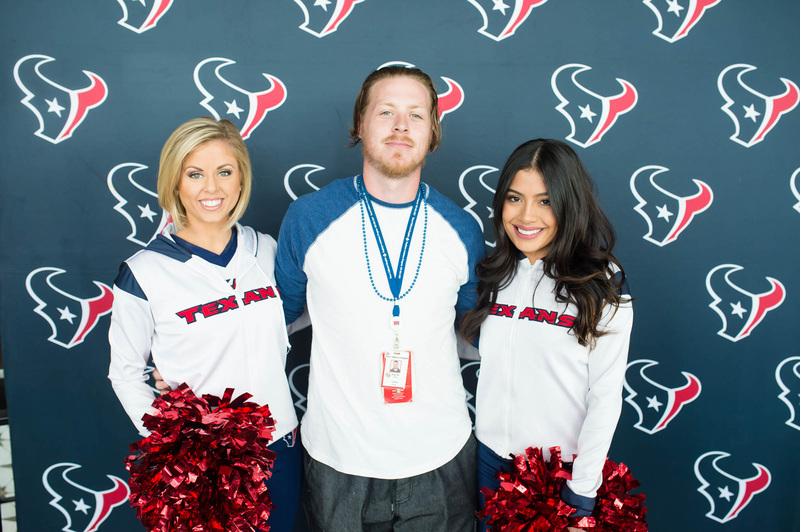 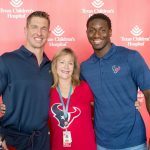 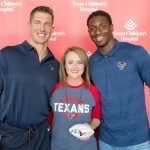 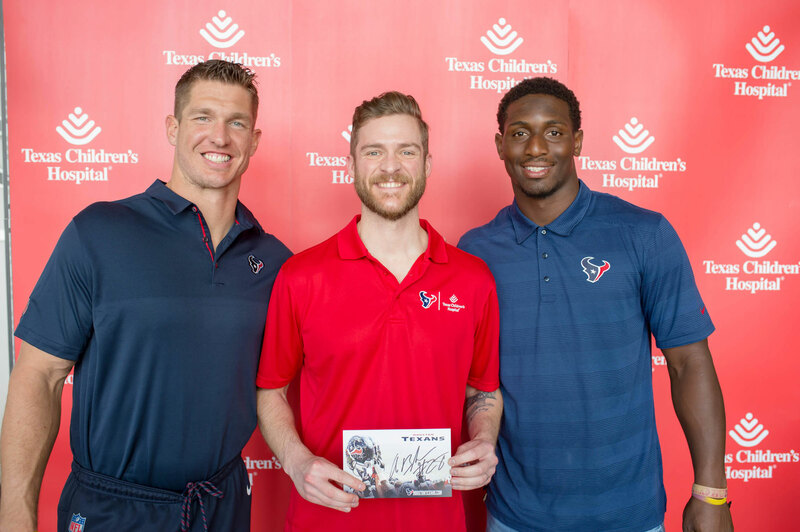 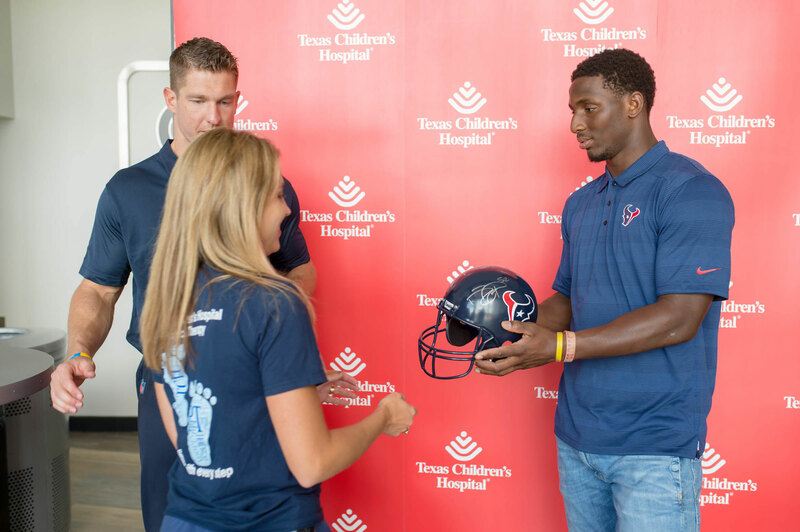 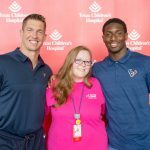 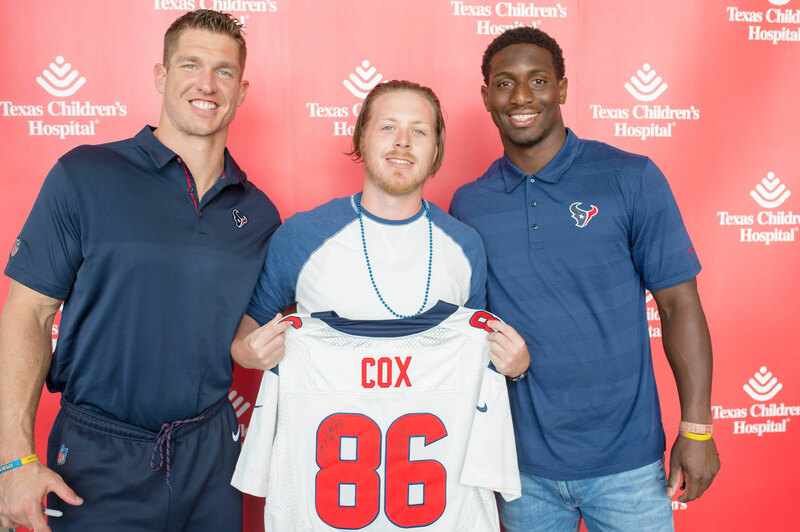 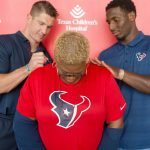 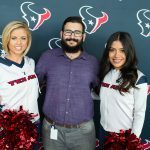 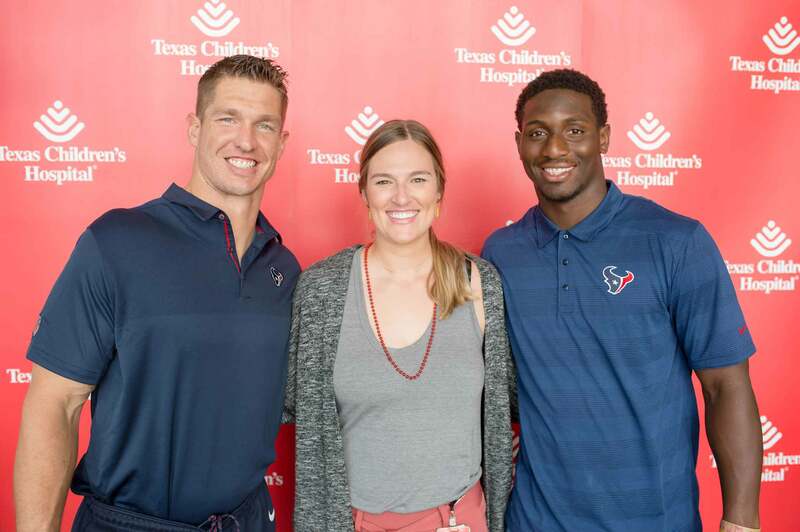 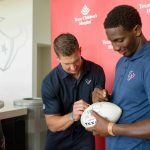 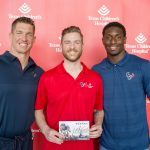 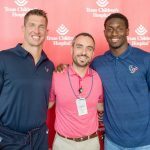 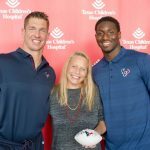 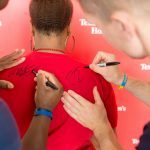 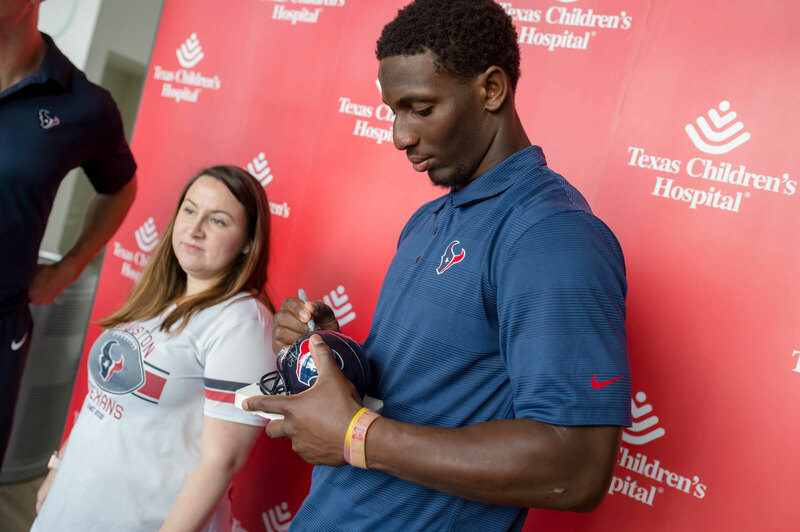 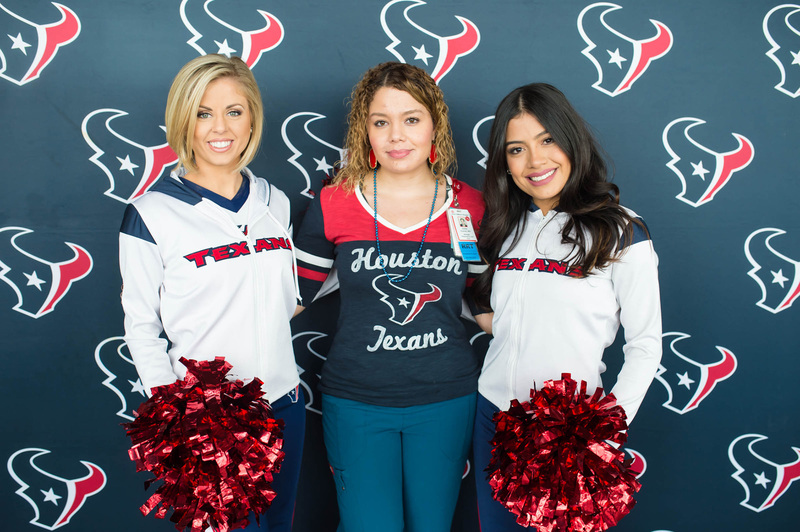 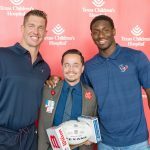 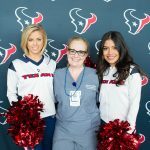 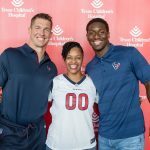 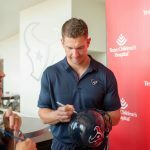 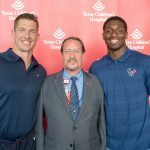 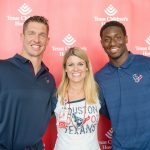 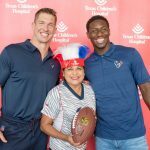 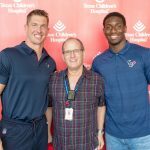 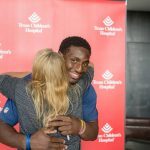 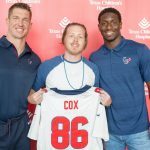 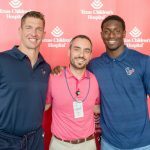 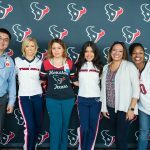 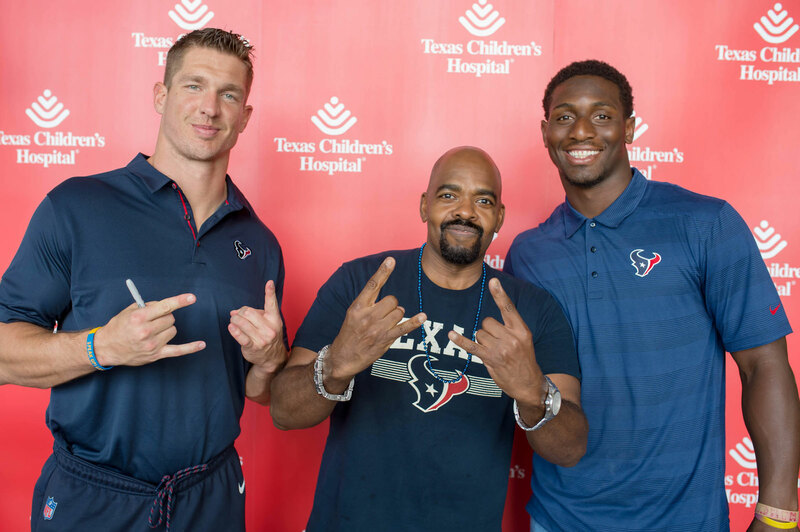 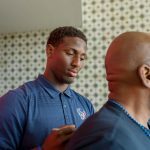 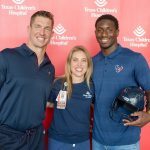 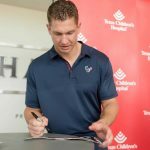 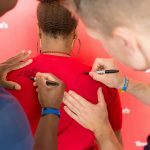 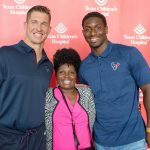 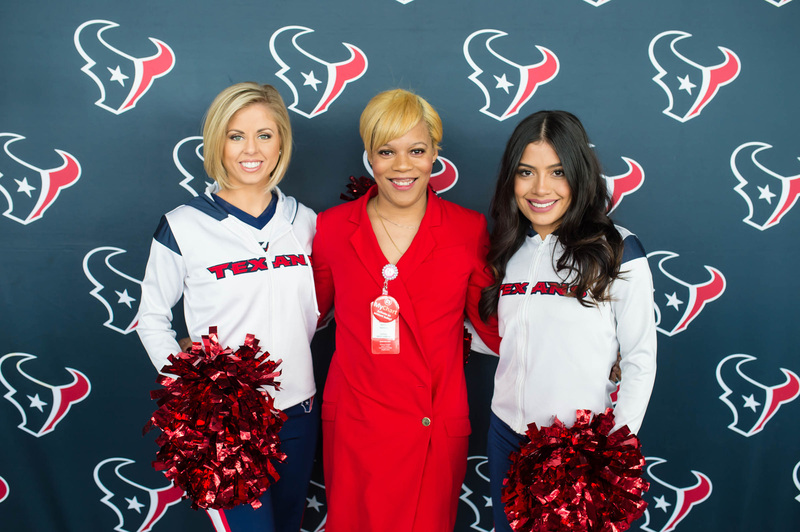 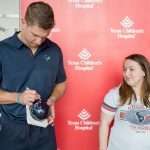 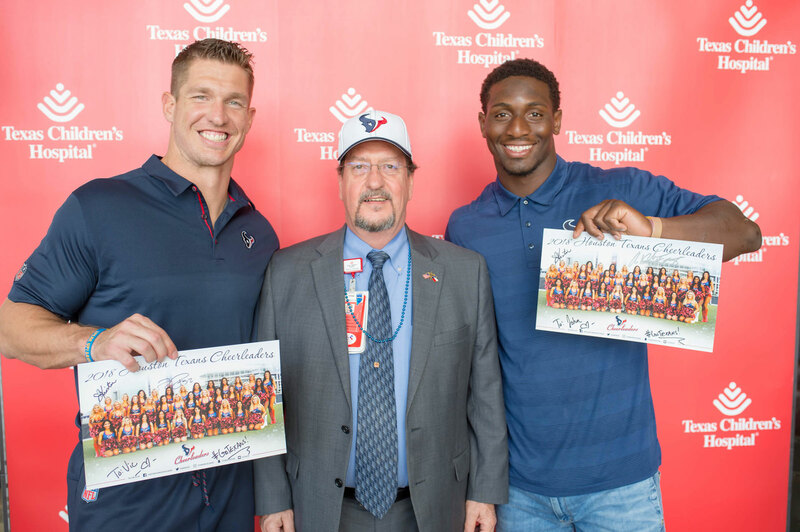 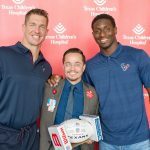 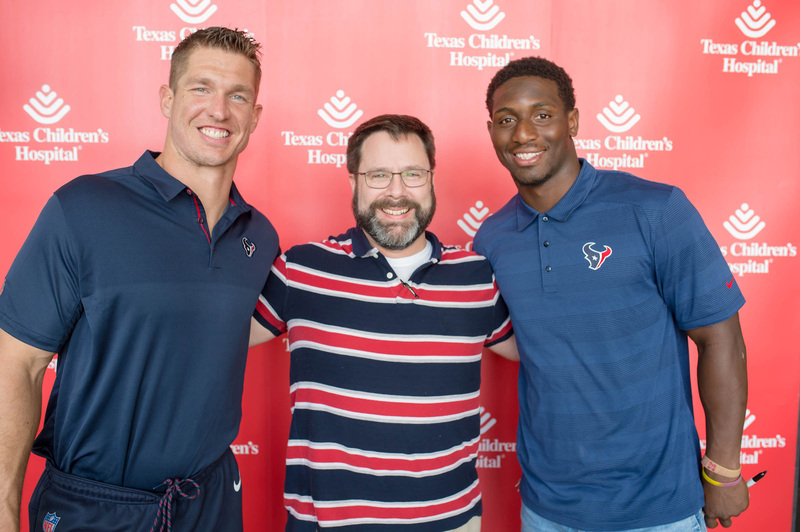 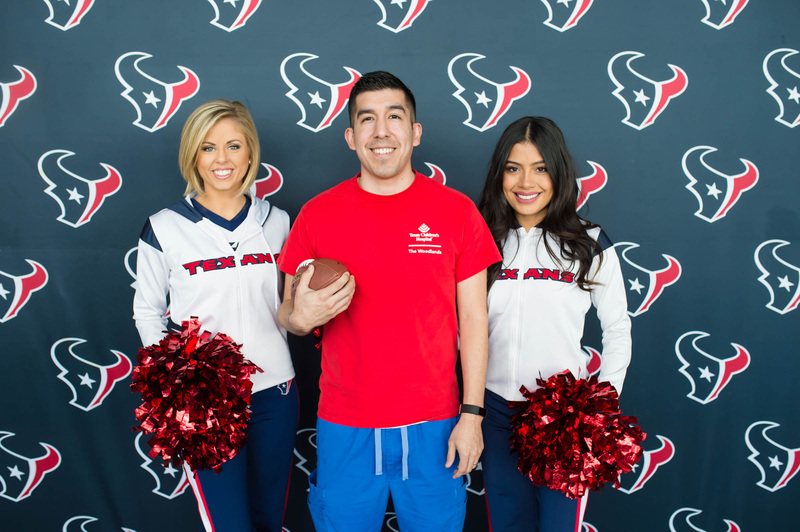 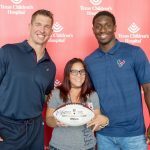 Pictures of you with Peters and Blue, as well as some of your shots with Texans cheerleaders, can be found below and are organized as they were taken. 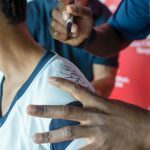 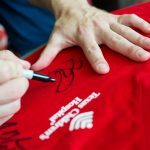 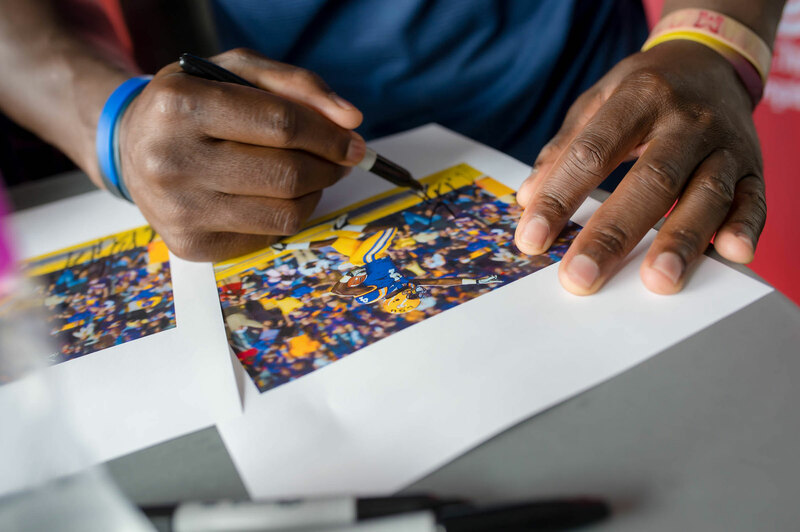 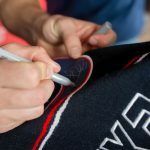 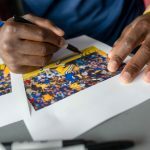 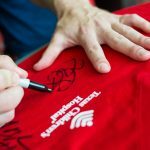 Therefore, if you were in the first group that attended the autograph session, those photos will be at the top of the batch. 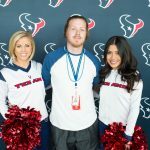 If you were in the second group, they will be at the bottom. 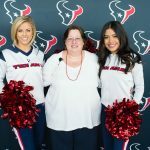 To download your photo/s, click on the photo to enlarge it and then click on the download button at the bottom left hand side of the image. 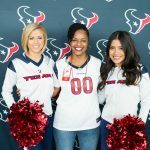 Go Texans and Go One Amazing Team!